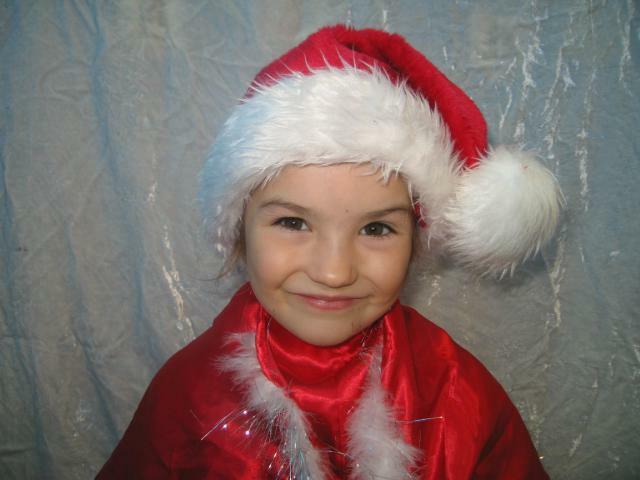 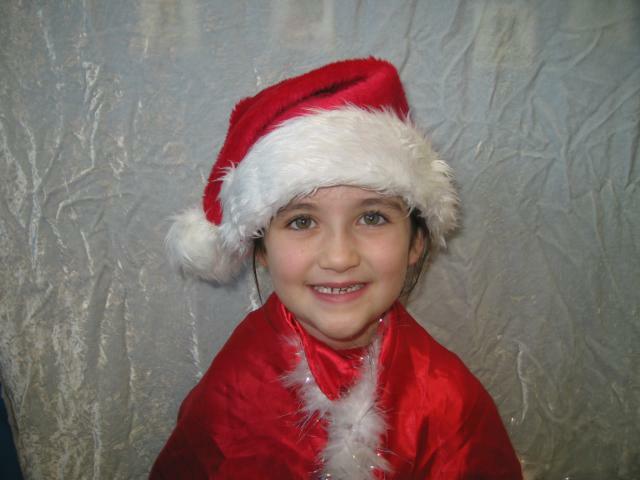 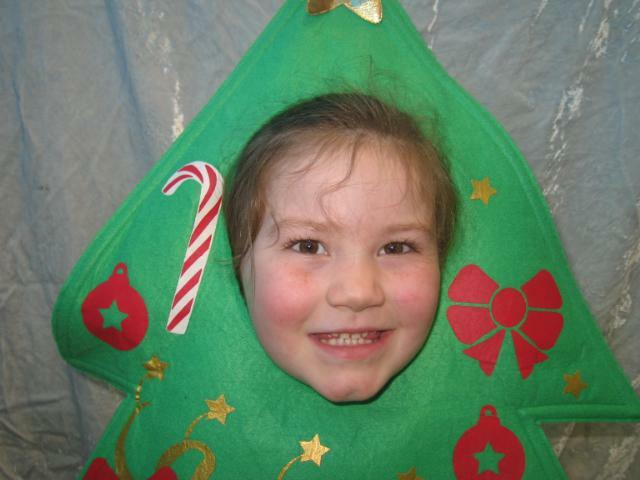 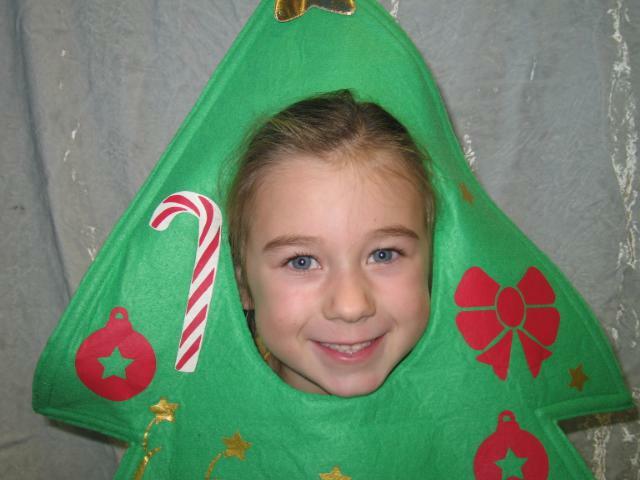 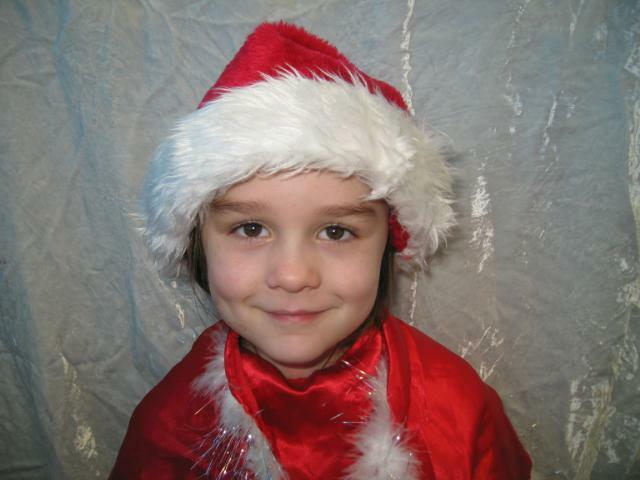 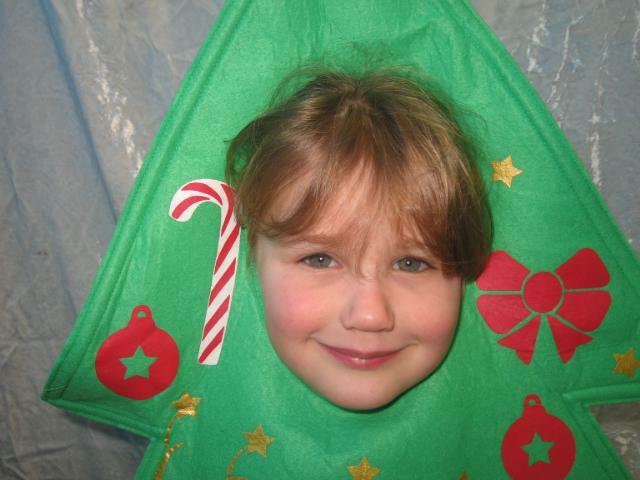 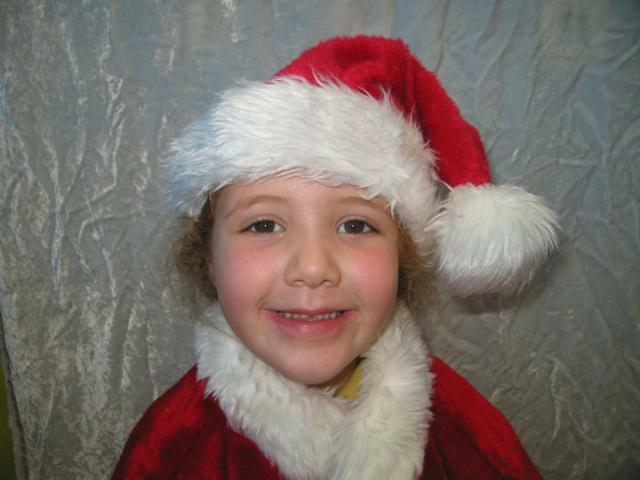 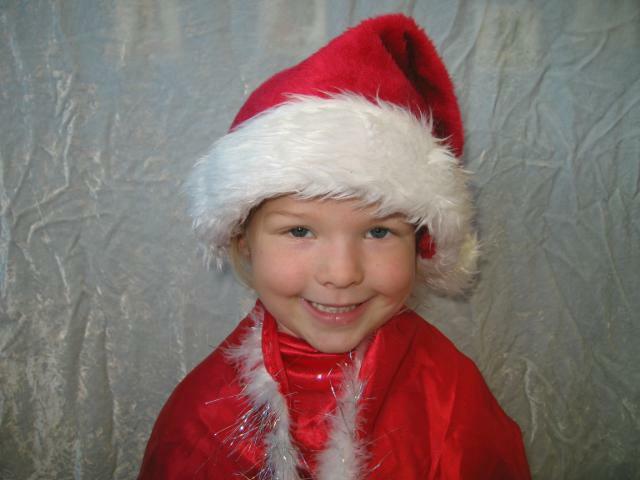 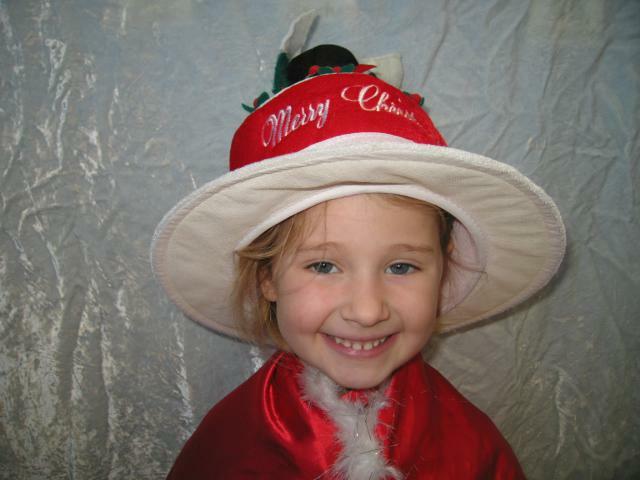 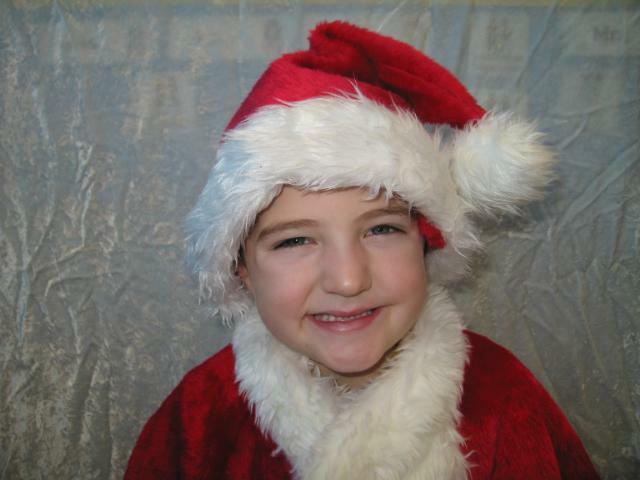 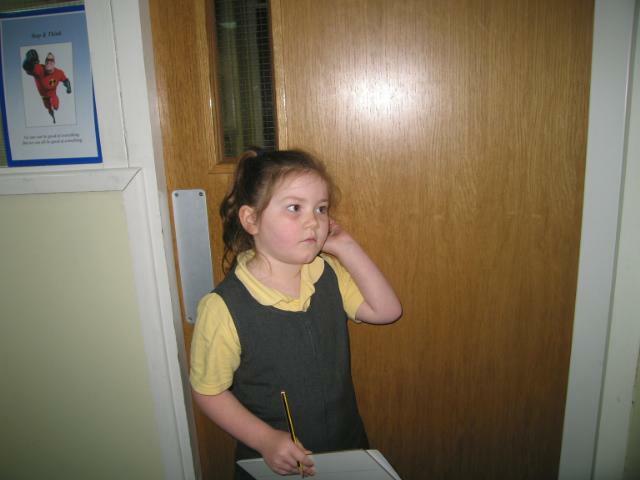 Autumn - Who am I? 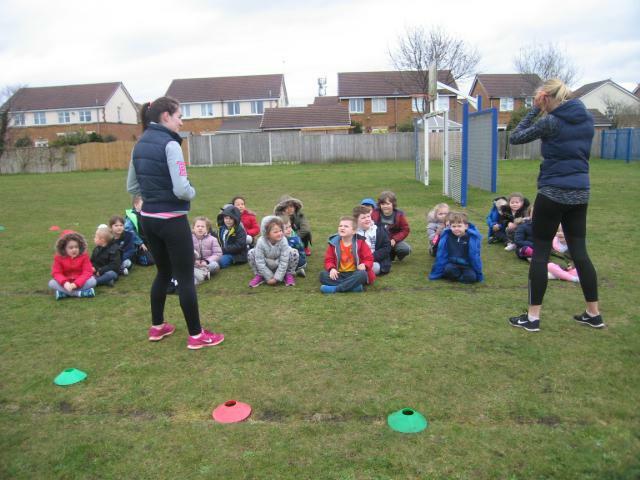 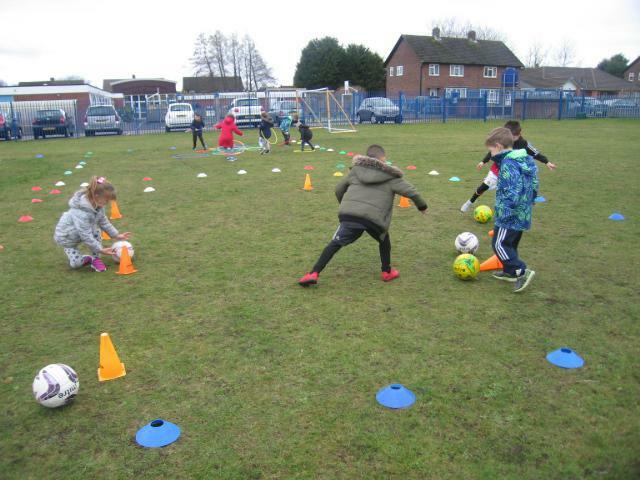 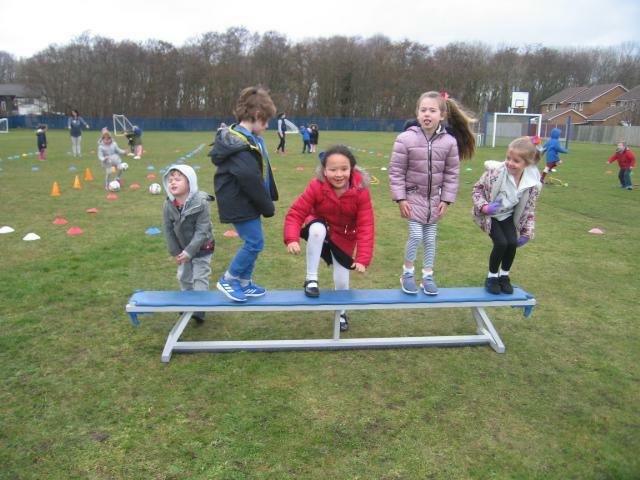 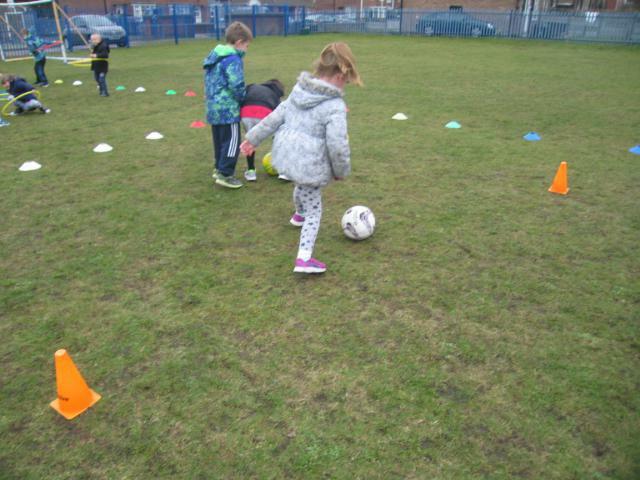 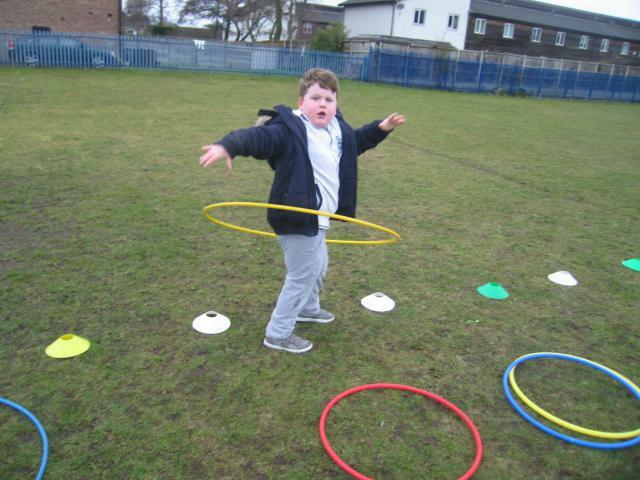 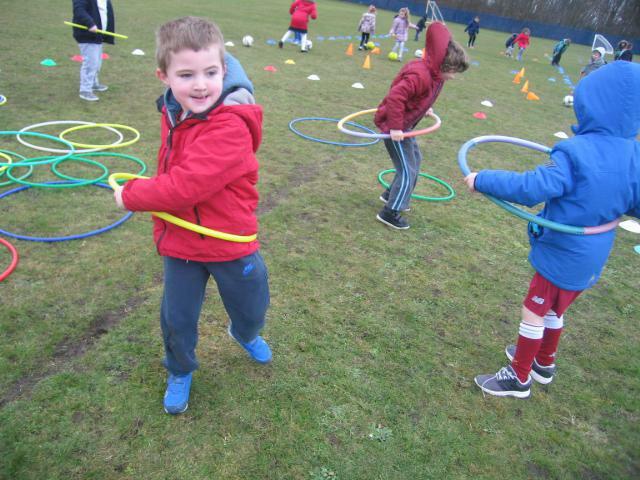 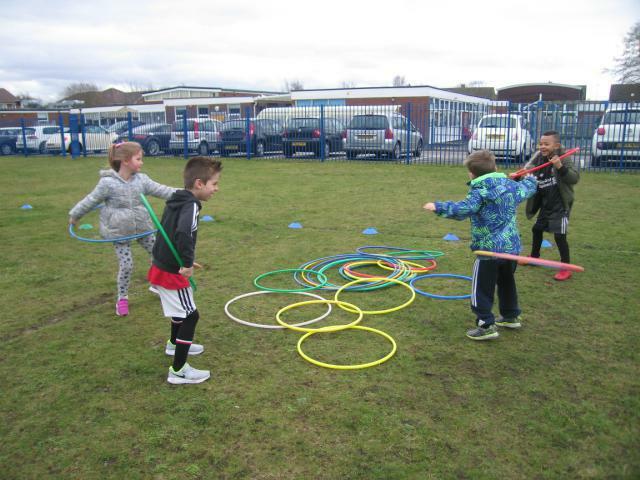 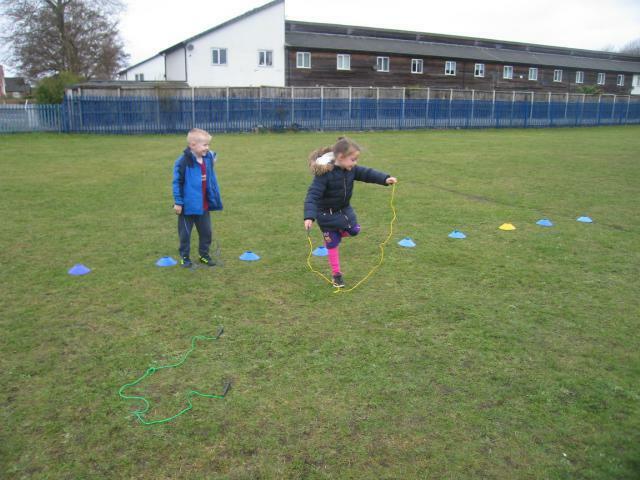 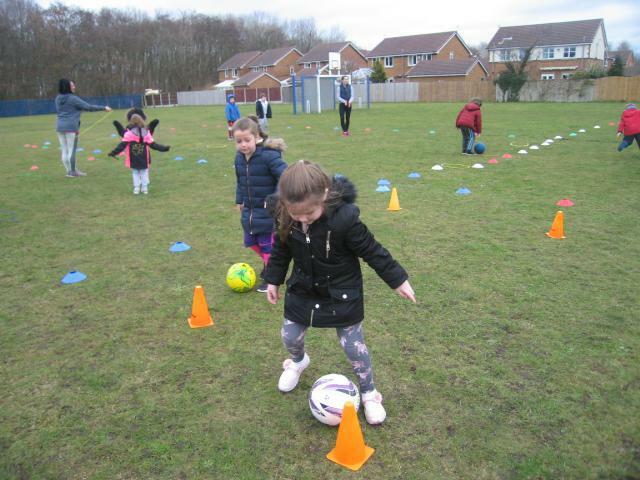 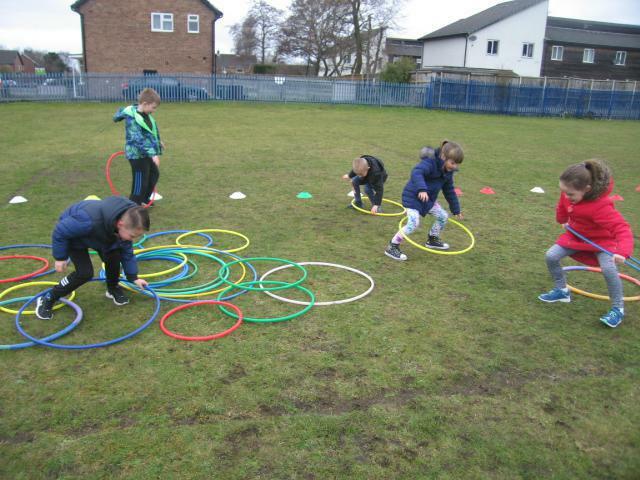 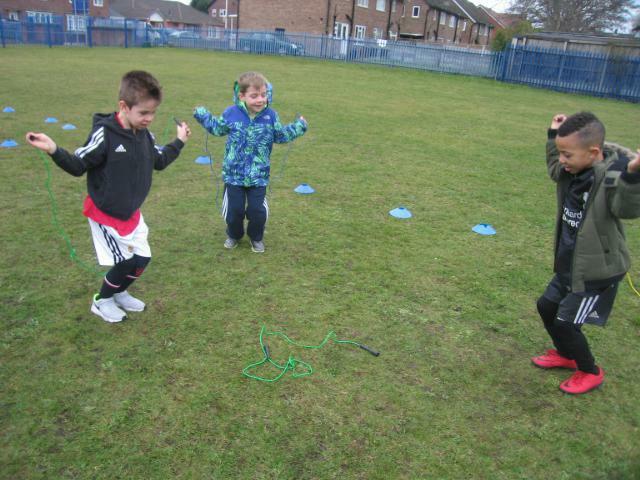 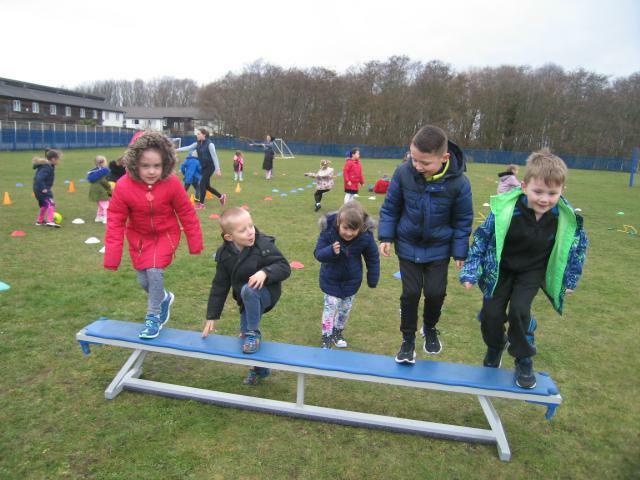 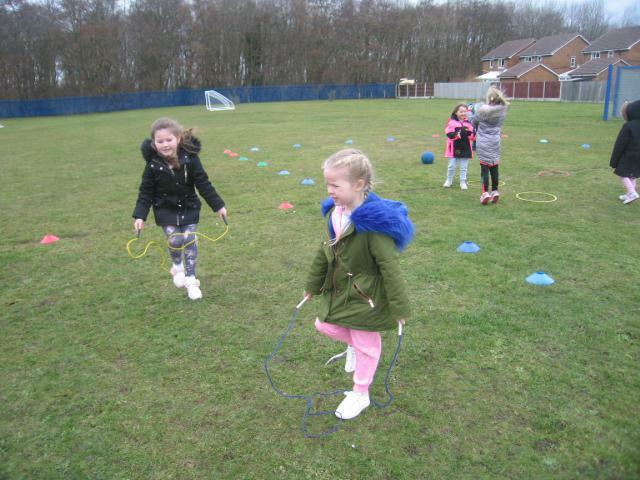 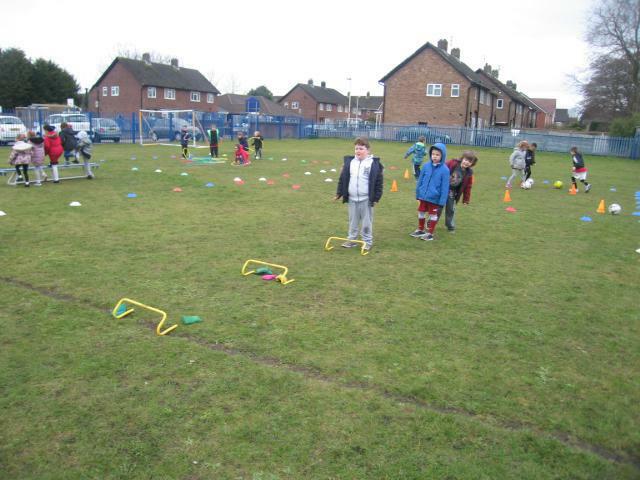 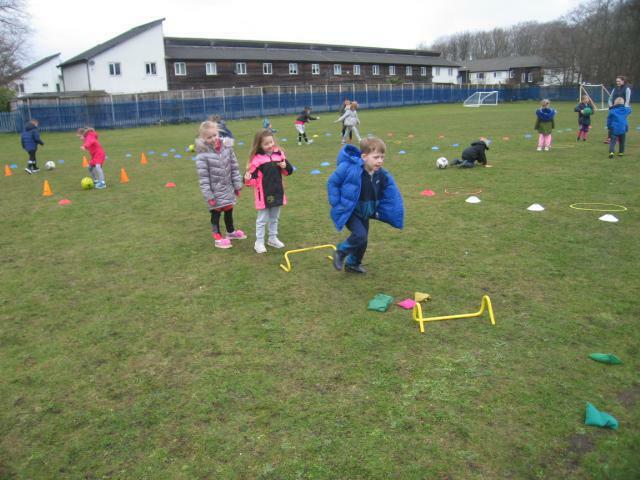 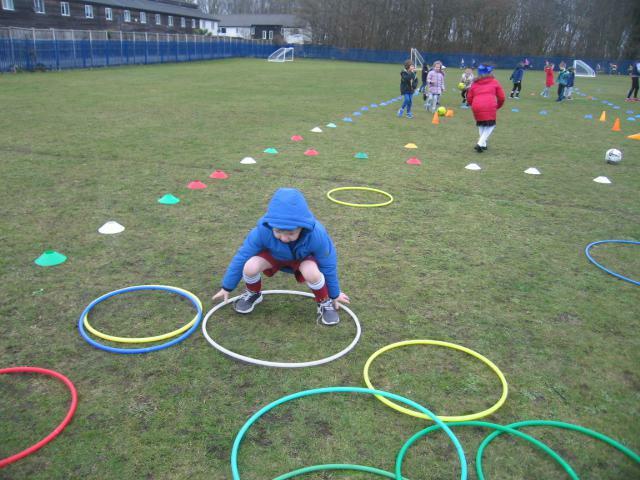 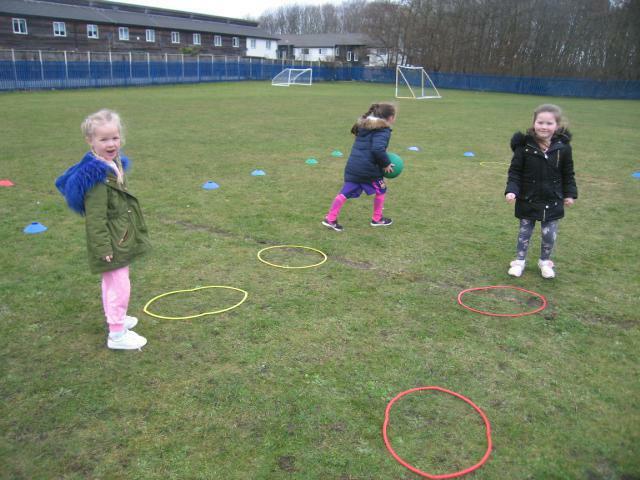 Sports Relief 2018 - Year 1 keep fit for a good cause. 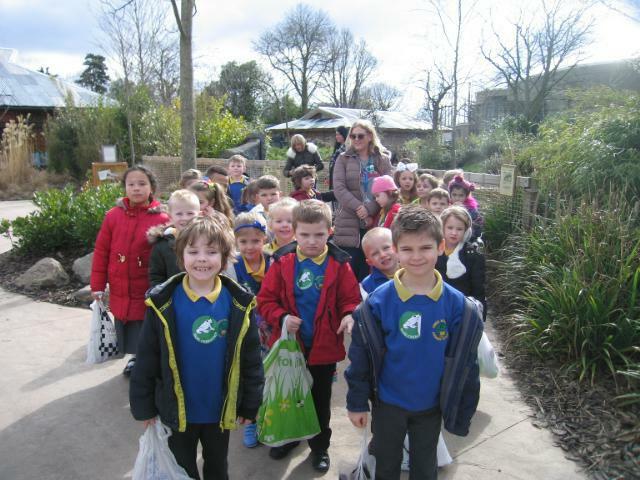 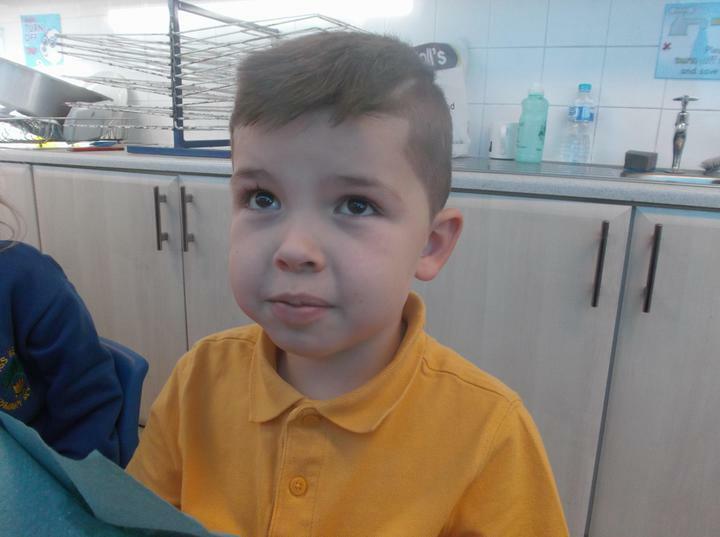 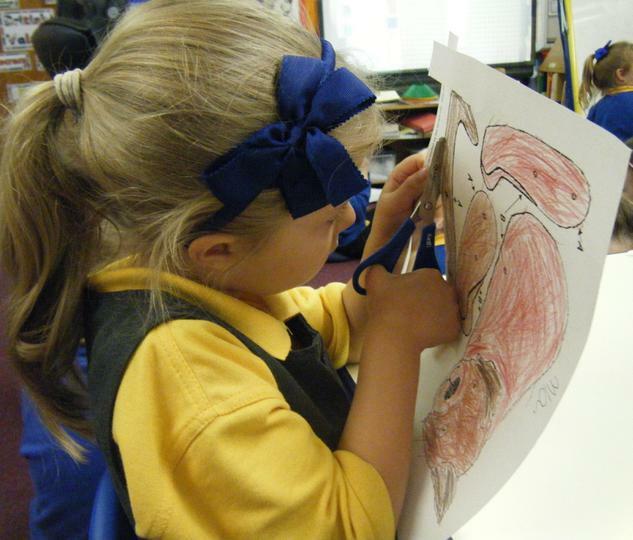 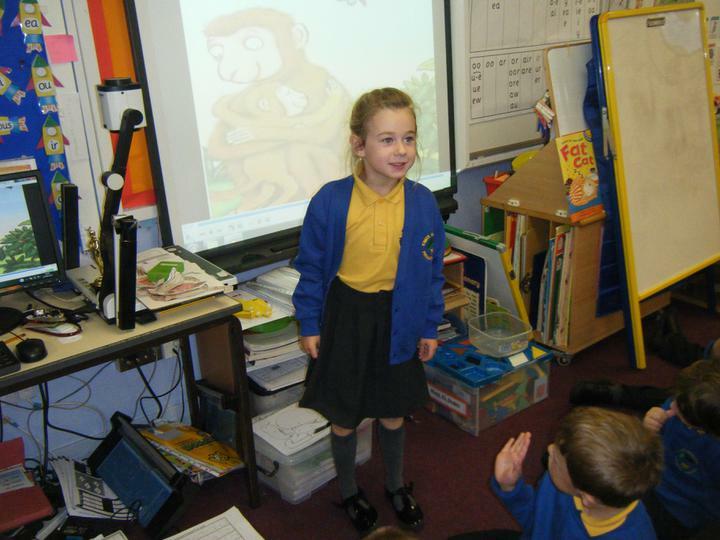 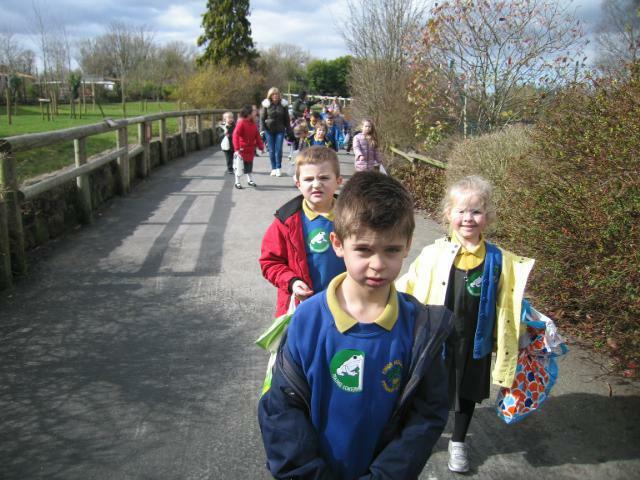 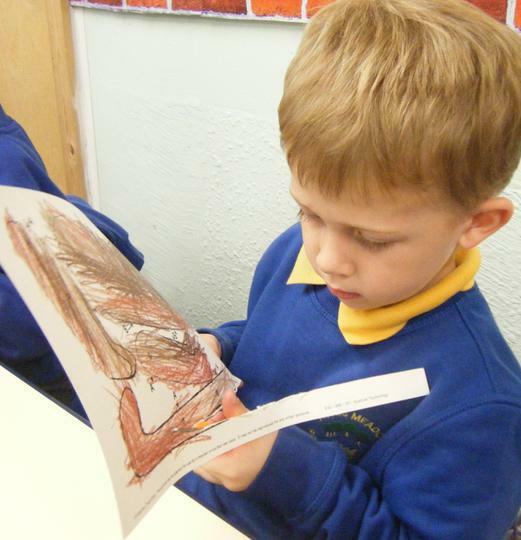 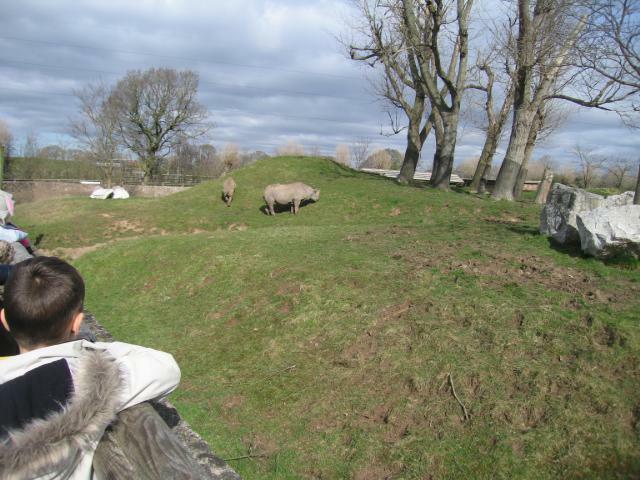 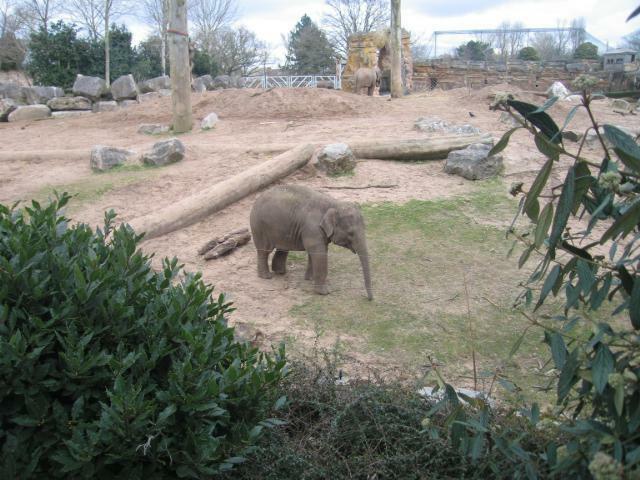 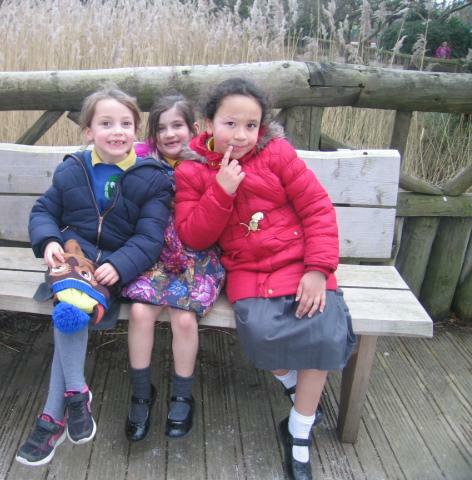 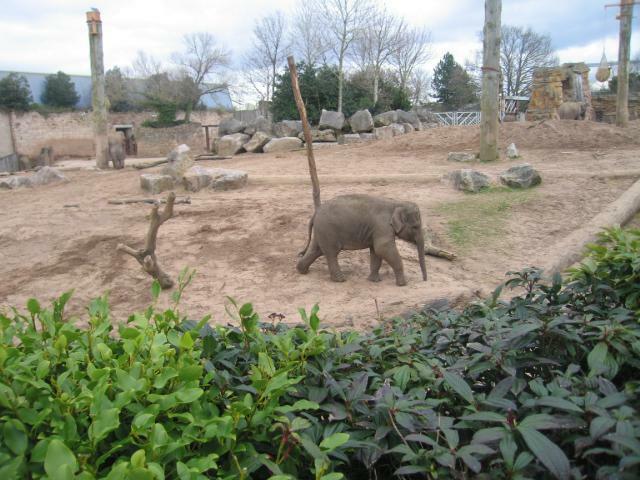 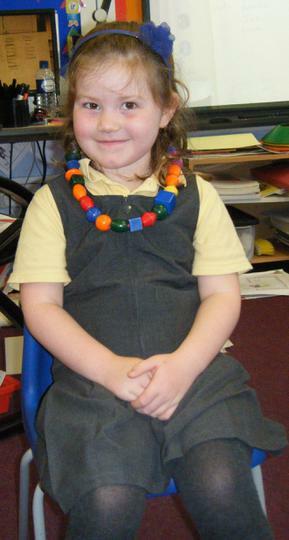 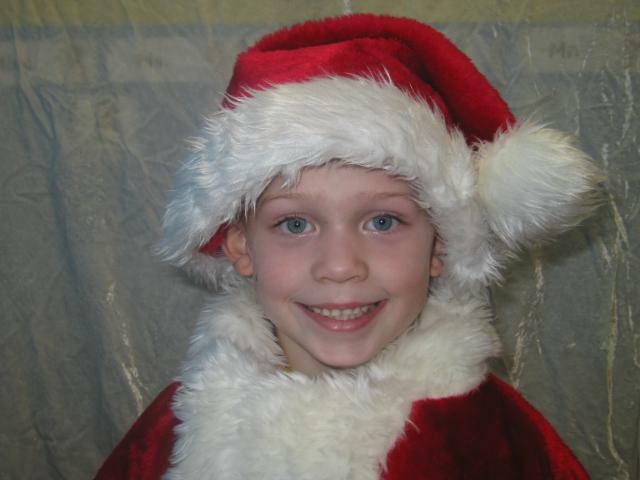 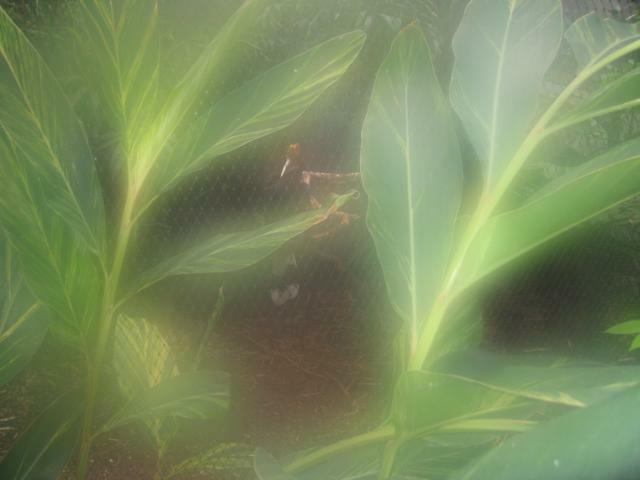 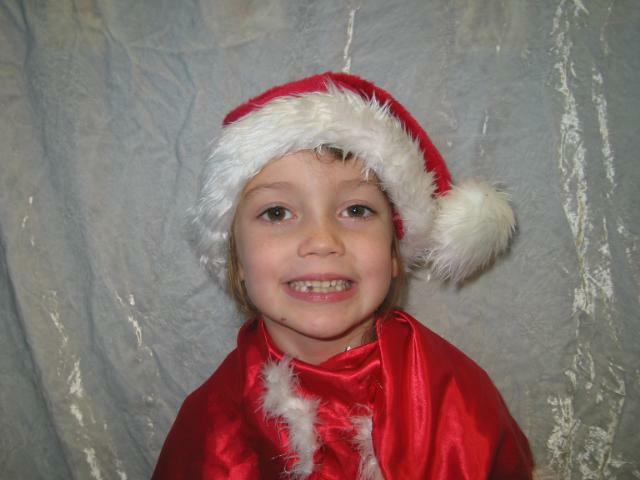 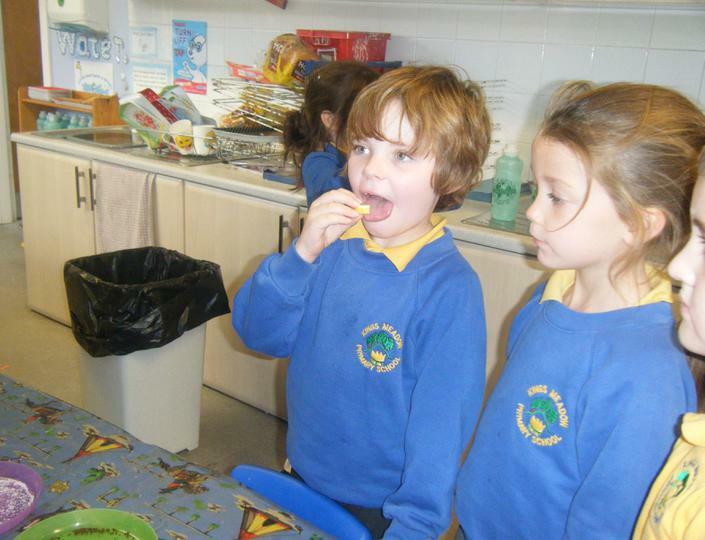 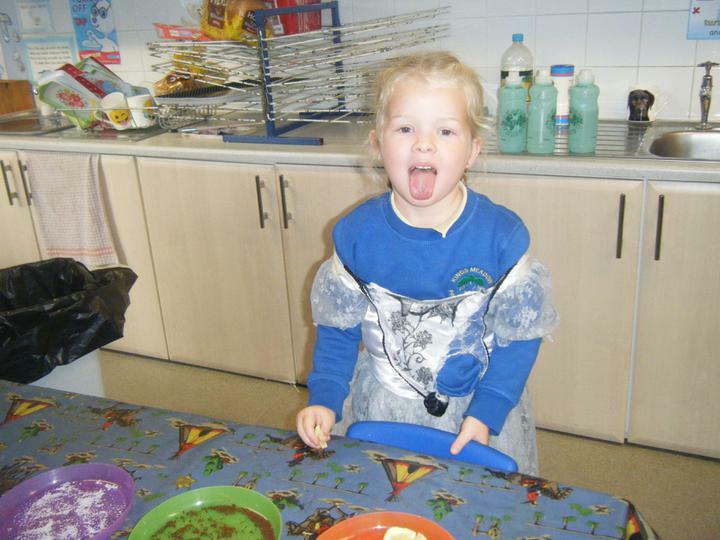 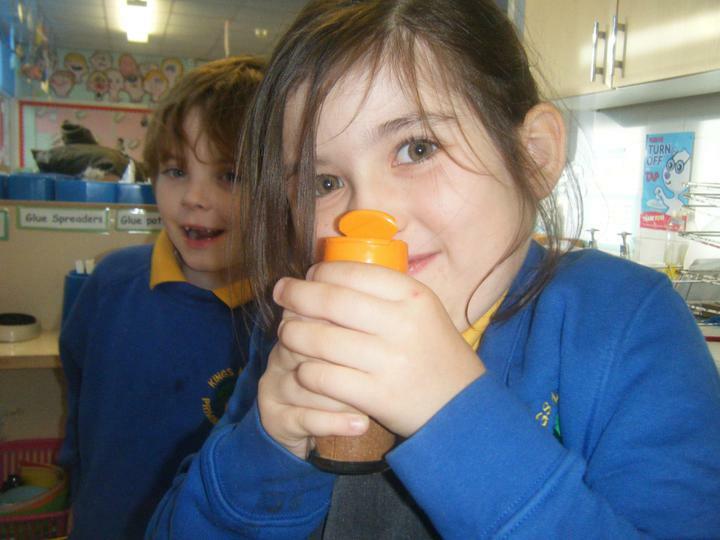 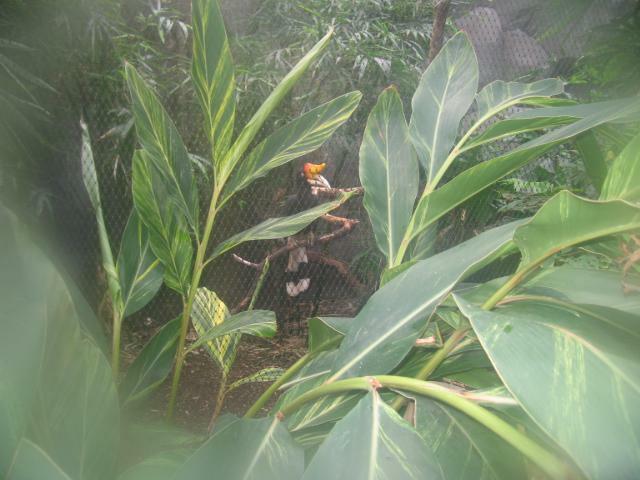 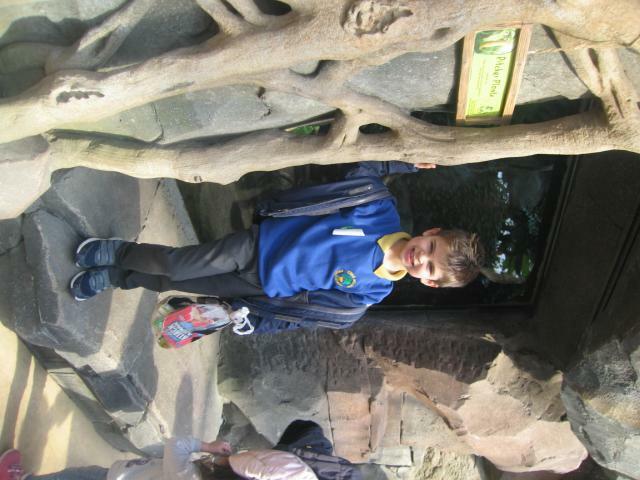 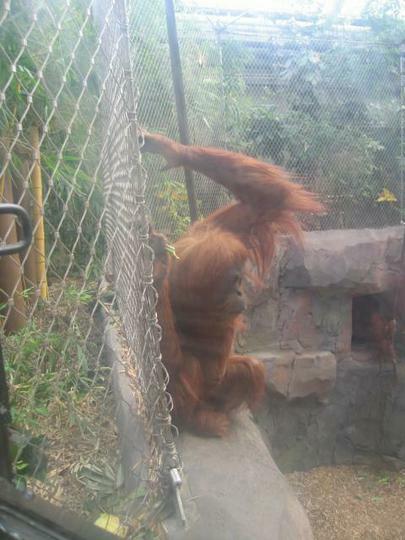 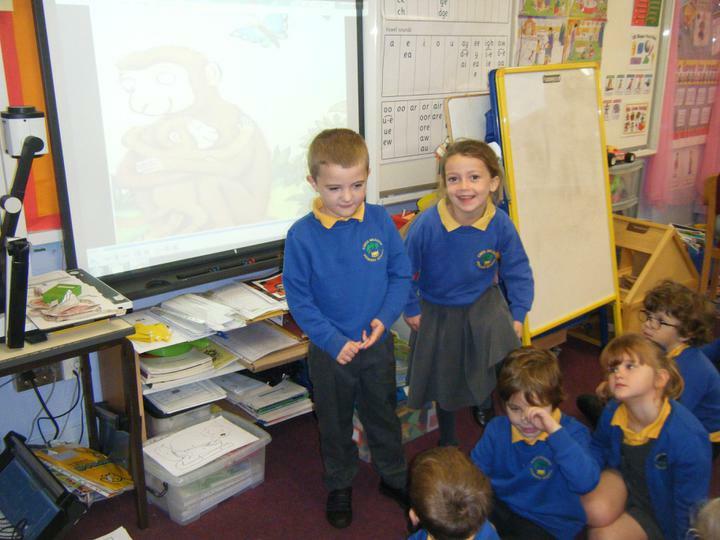 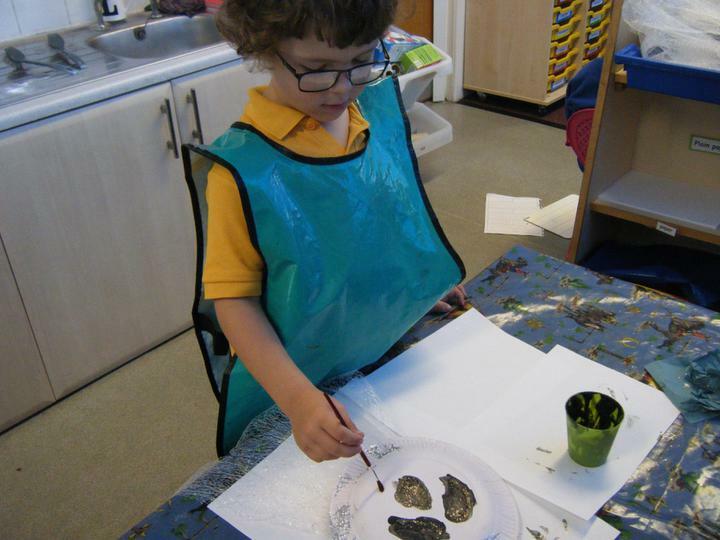 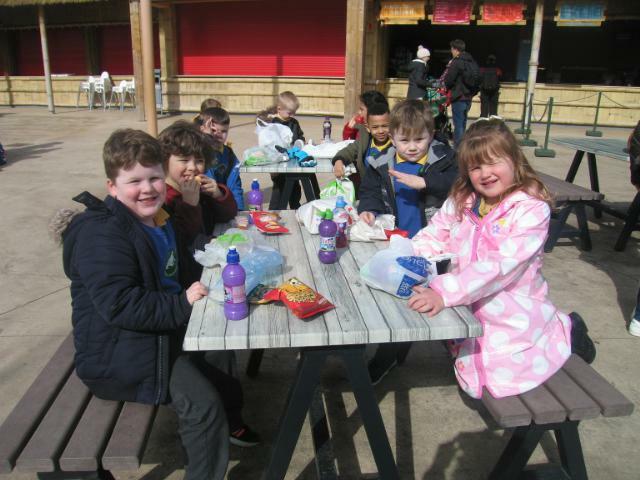 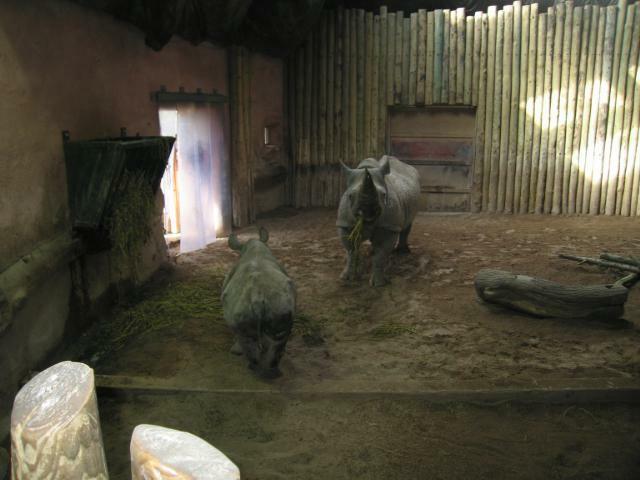 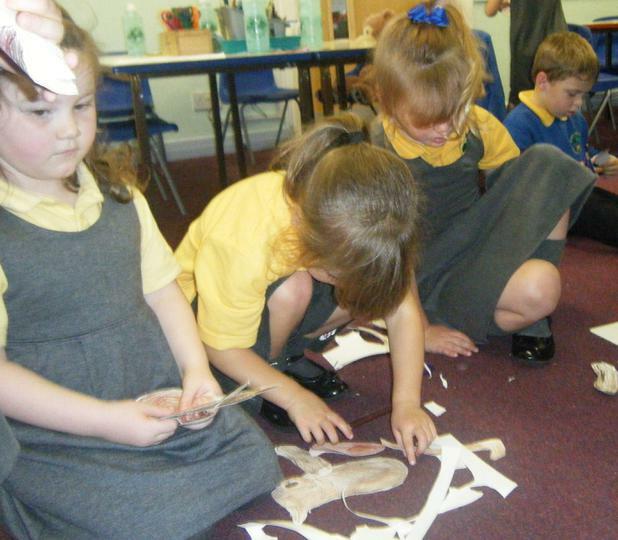 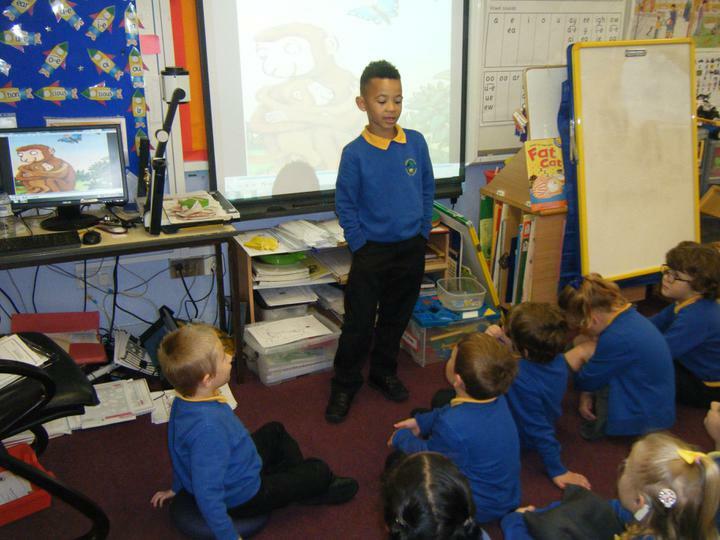 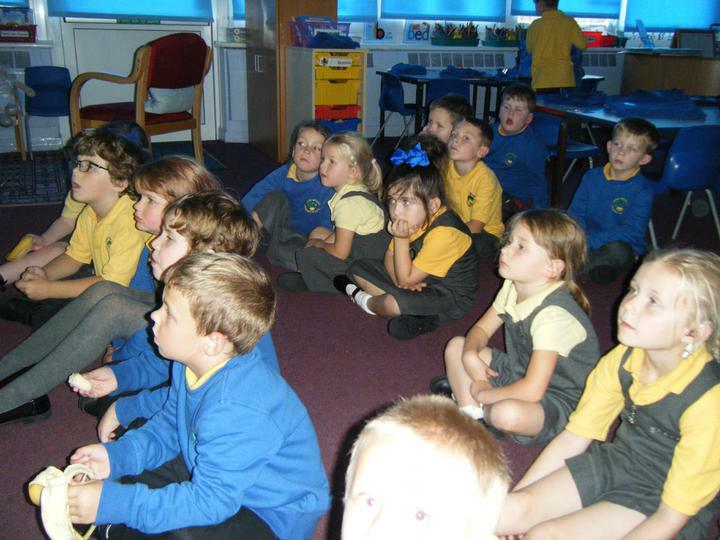 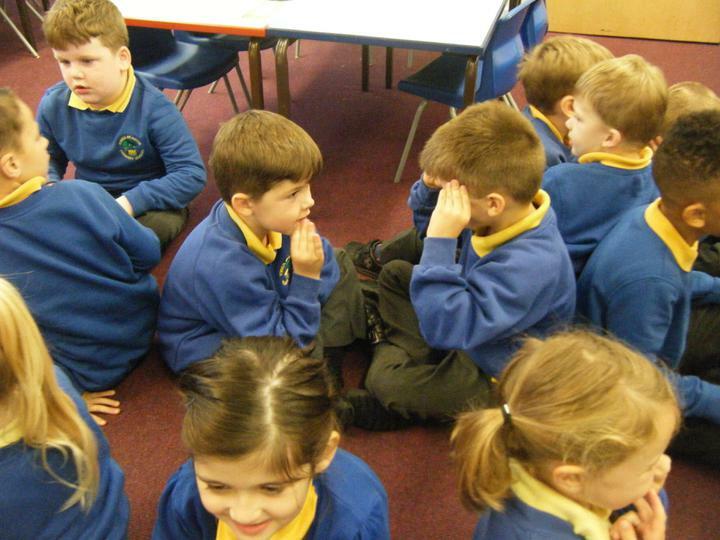 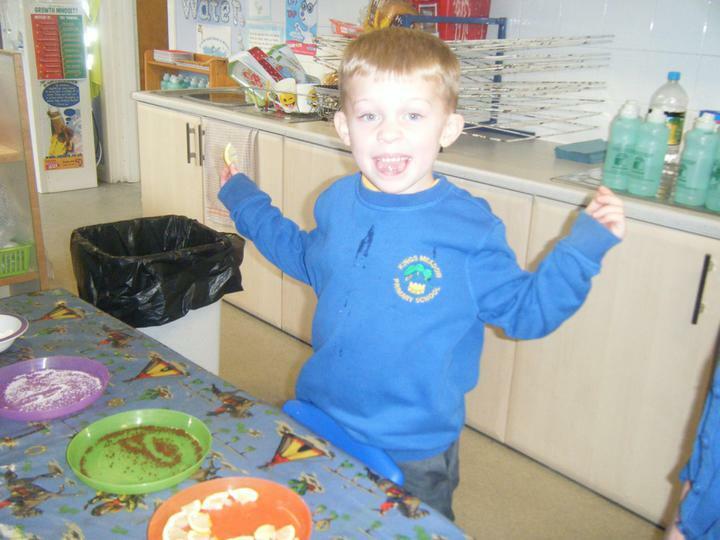 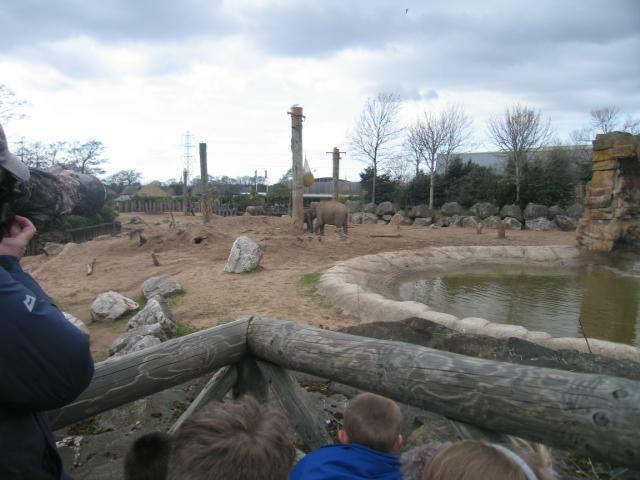 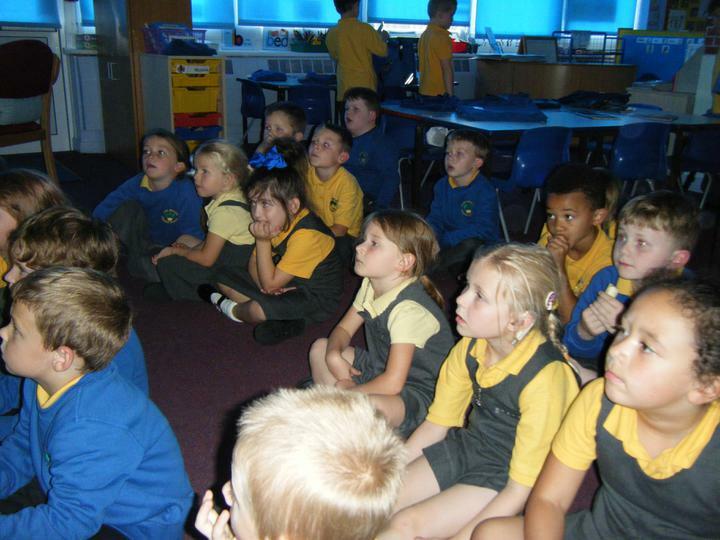 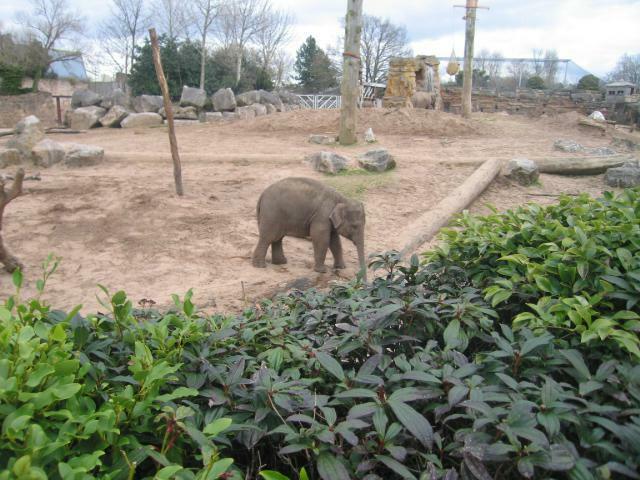 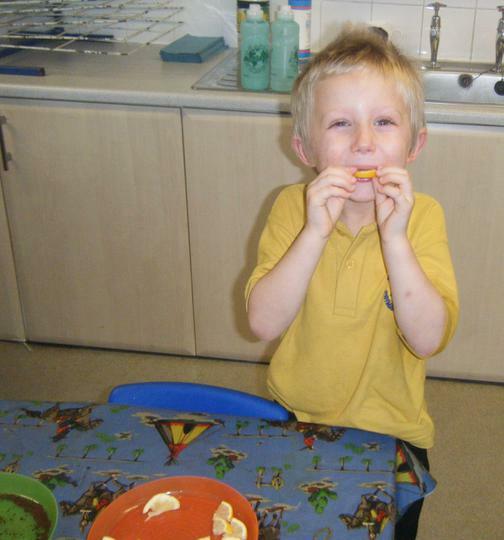 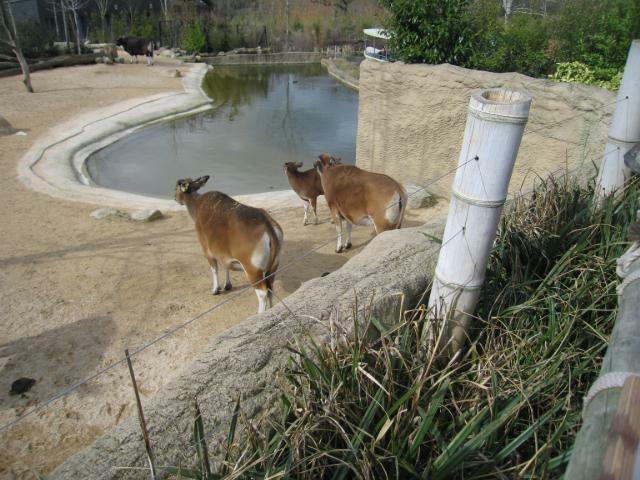 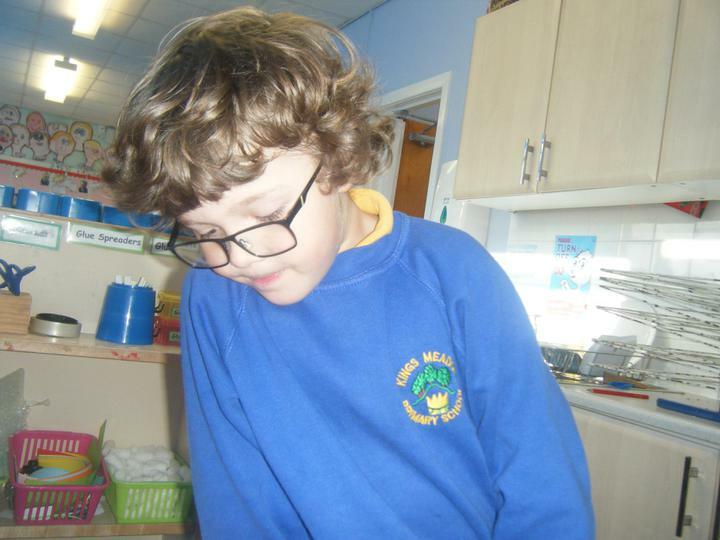 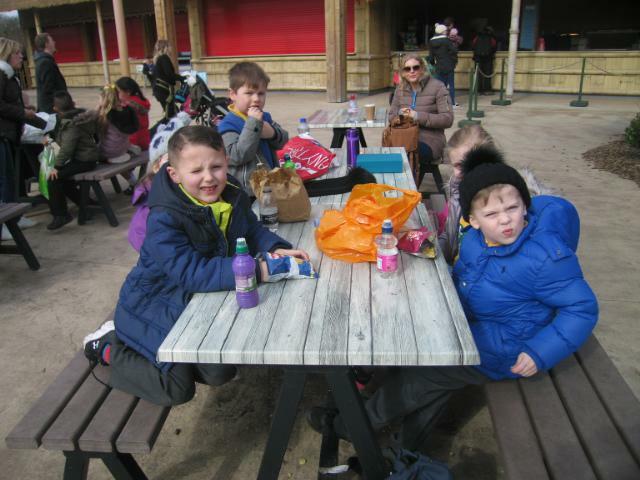 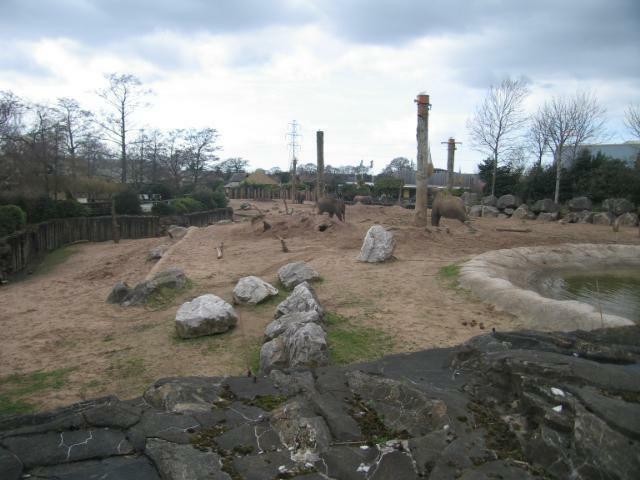 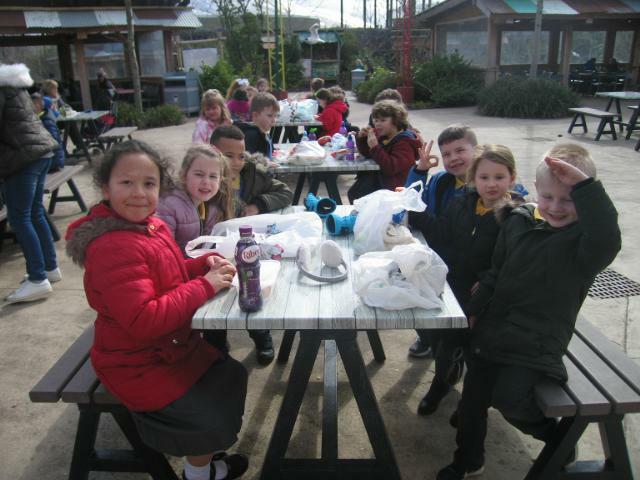 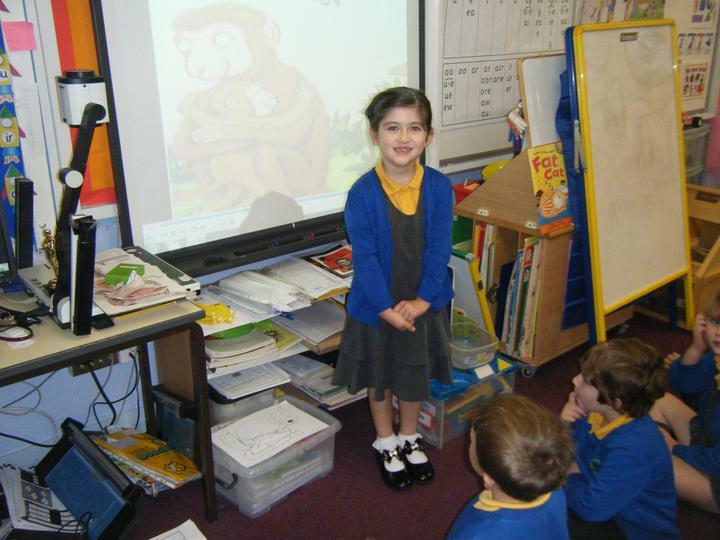 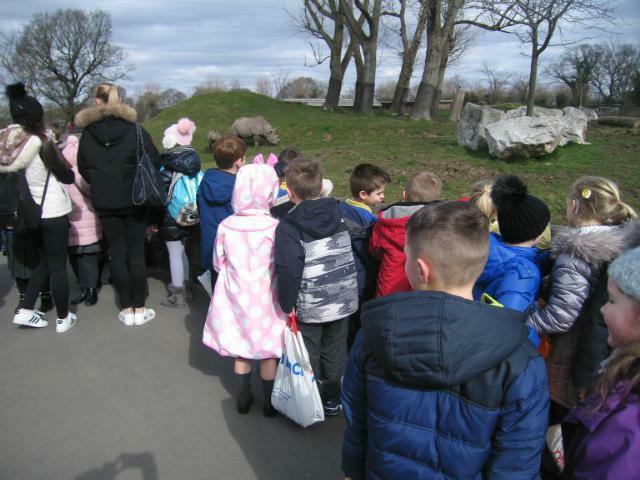 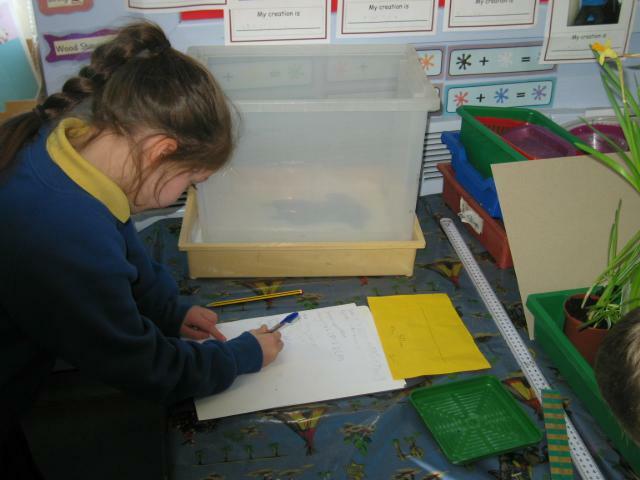 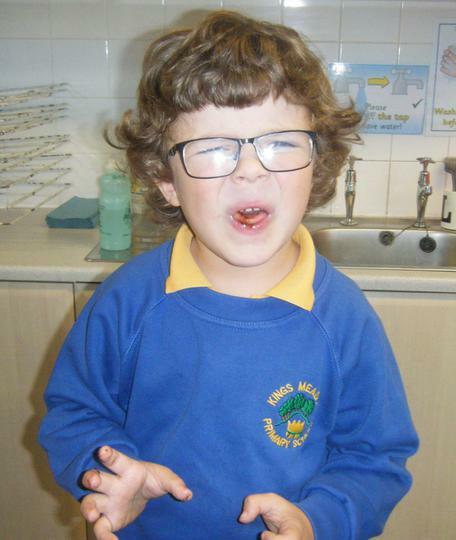 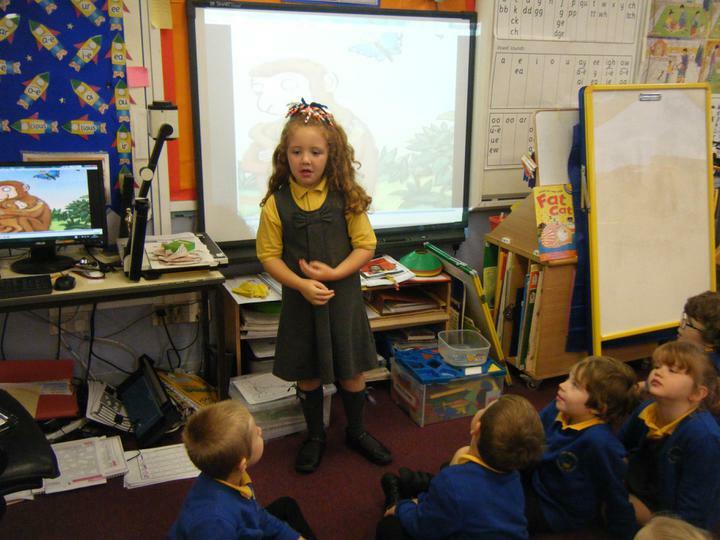 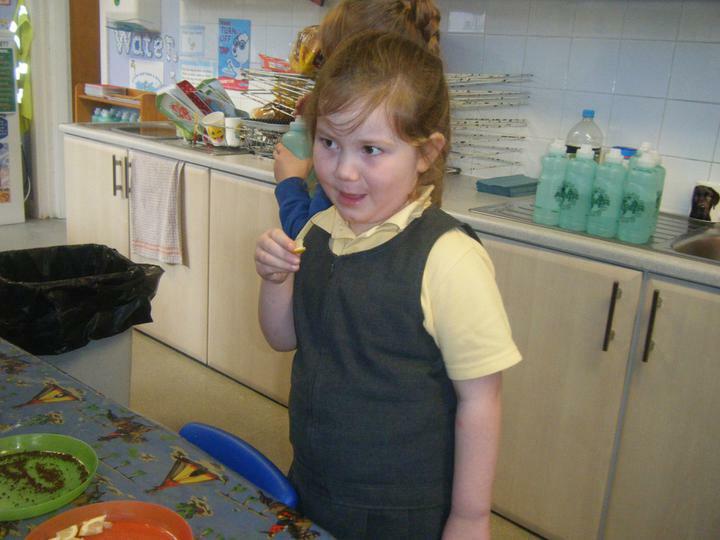 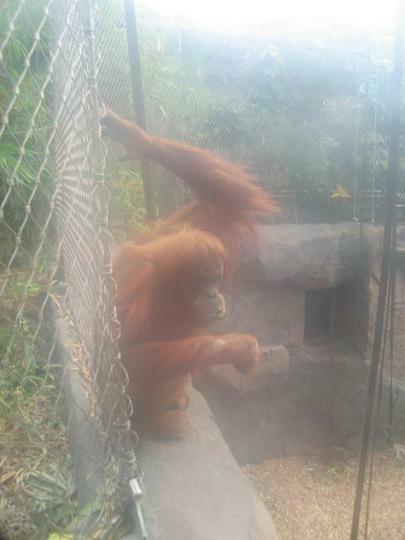 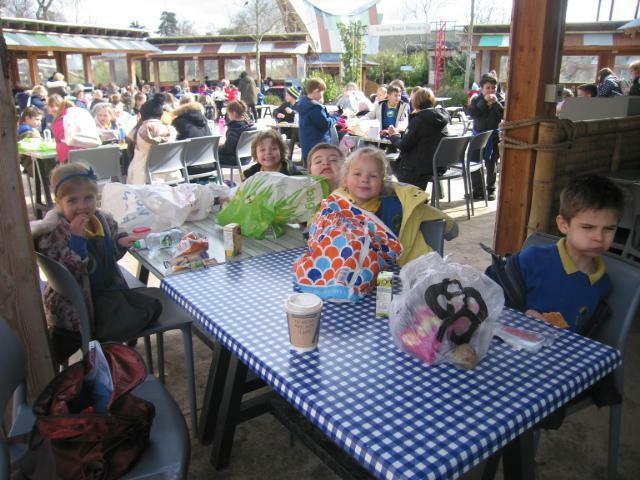 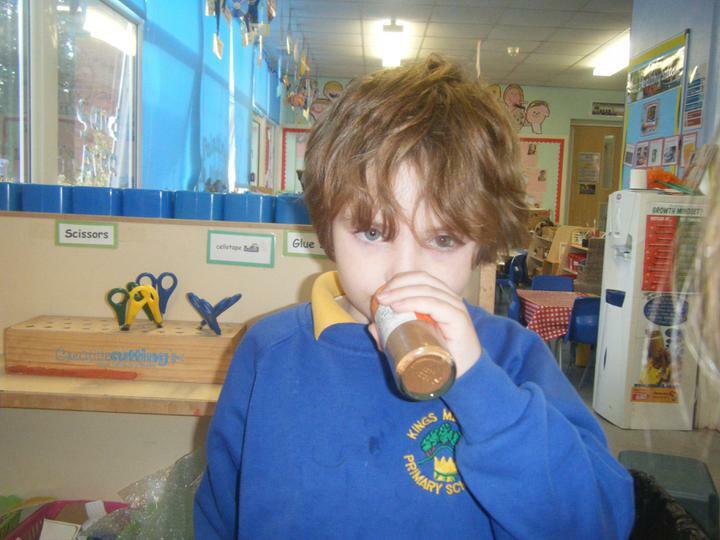 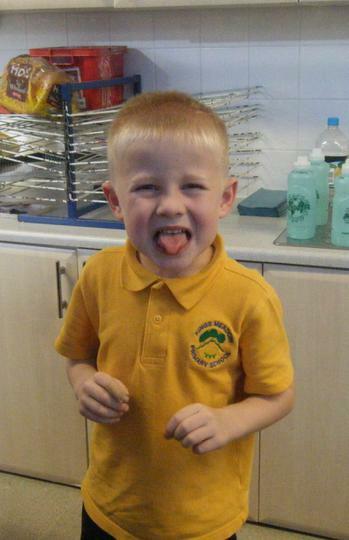 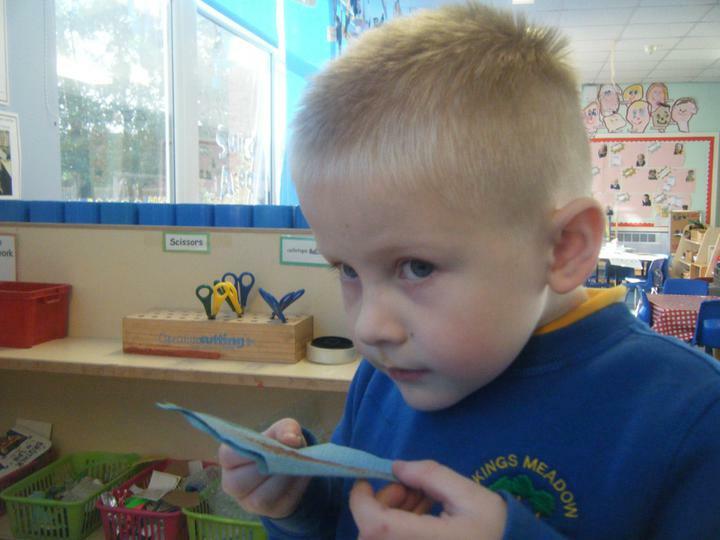 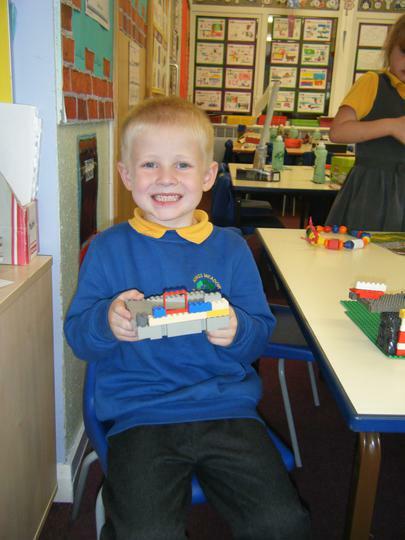 Year 1 visit Chester Zoo to look at the Jungle animals. 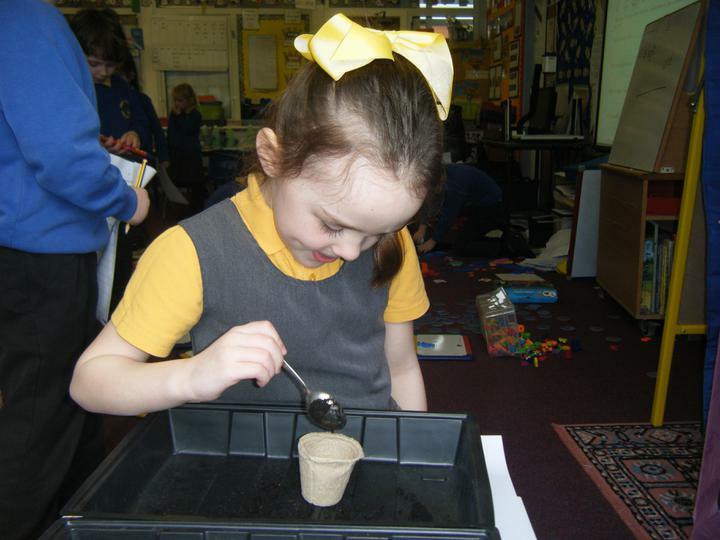 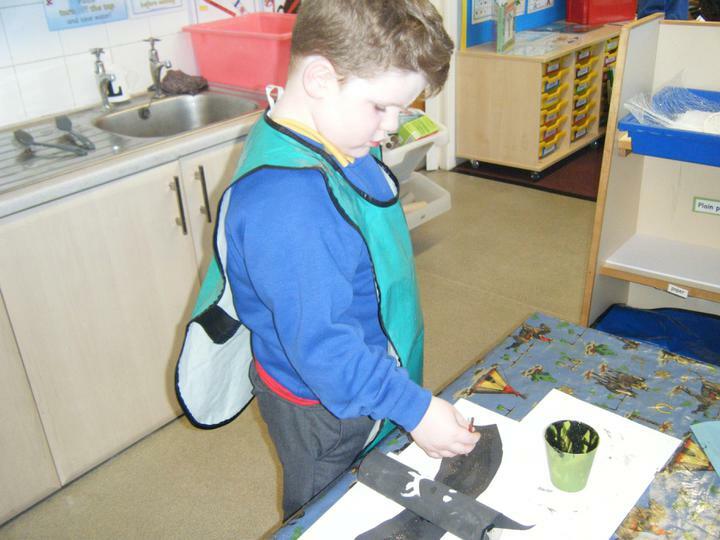 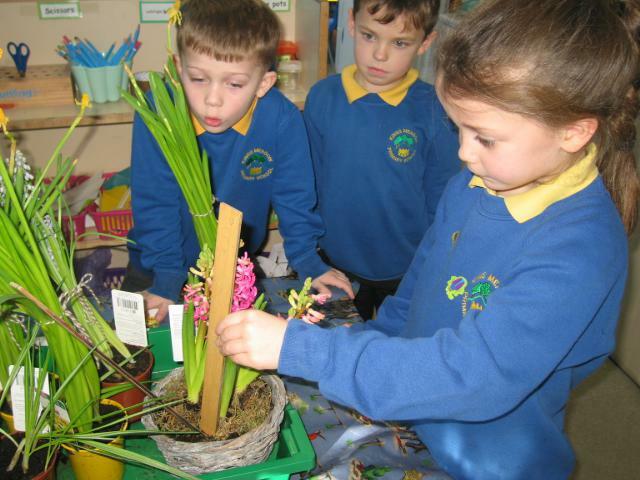 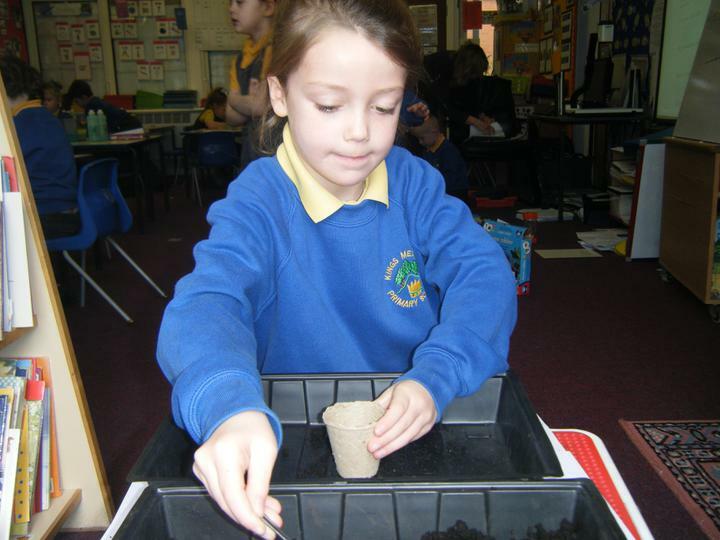 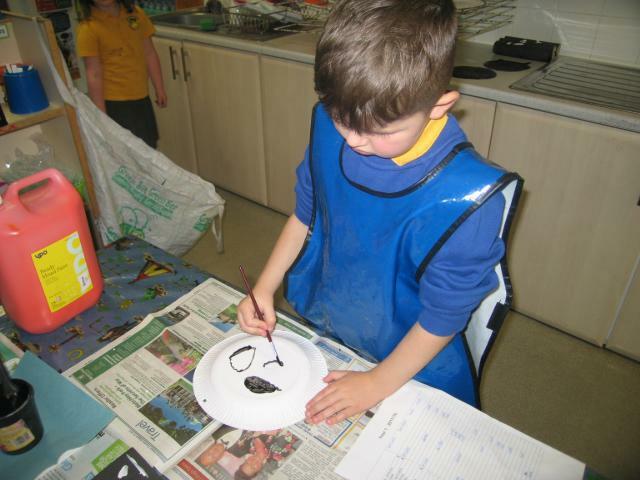 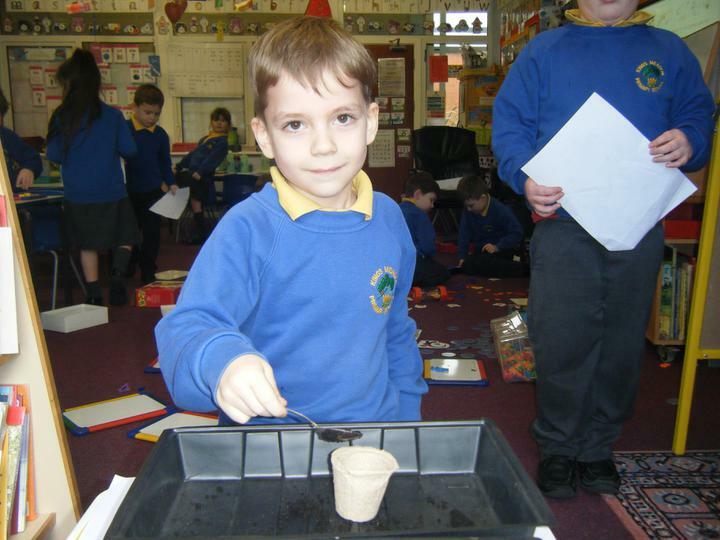 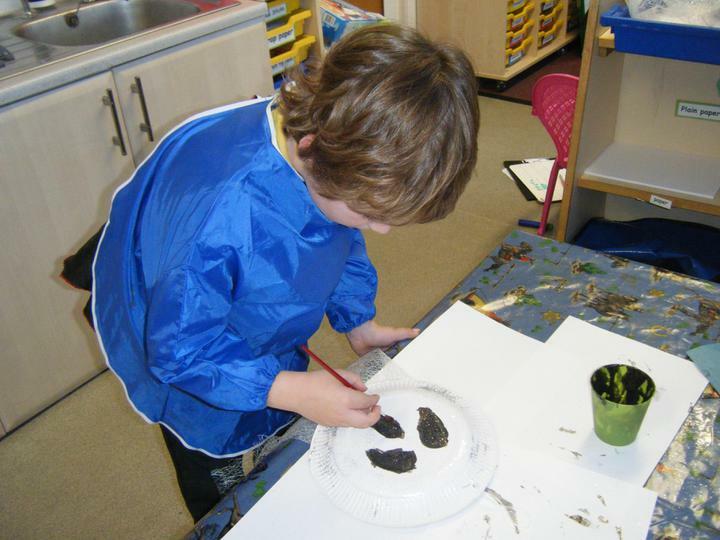 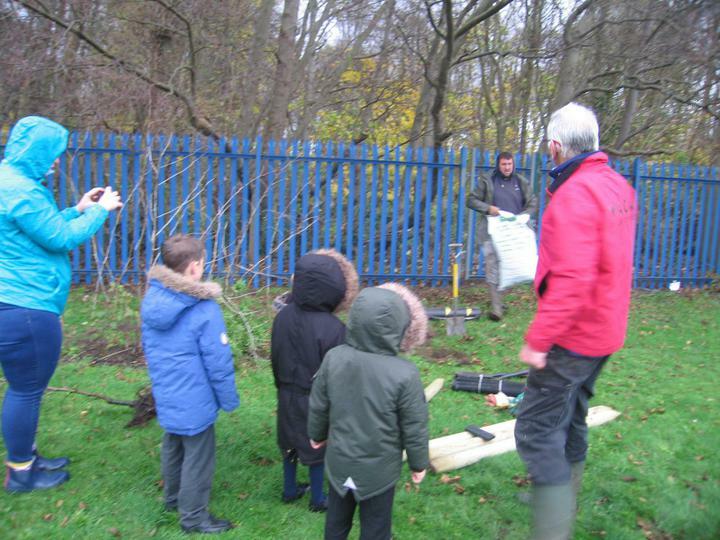 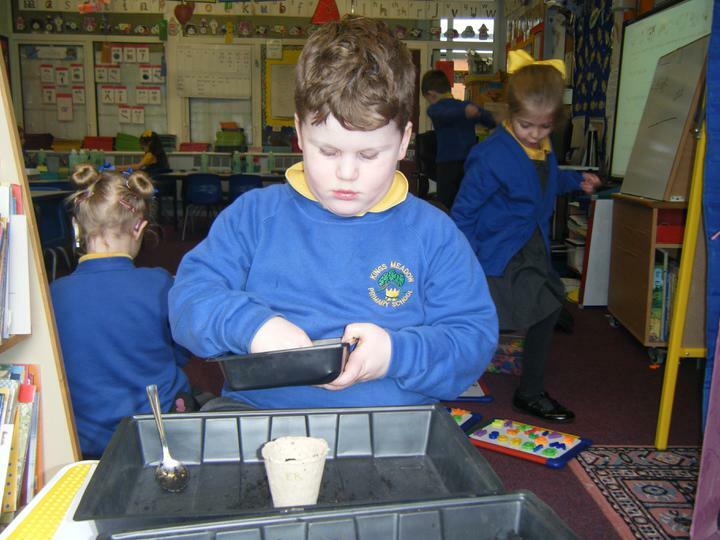 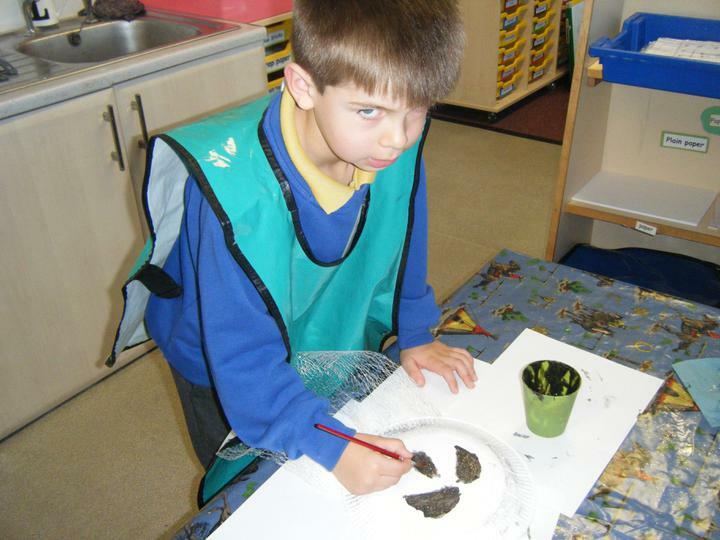 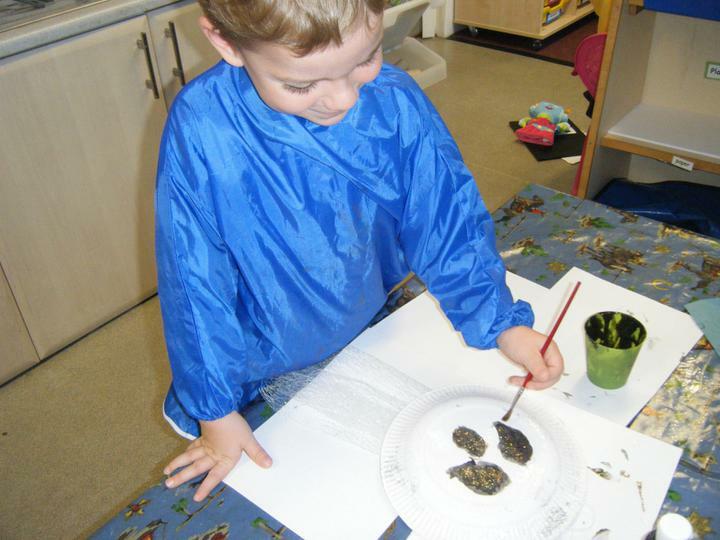 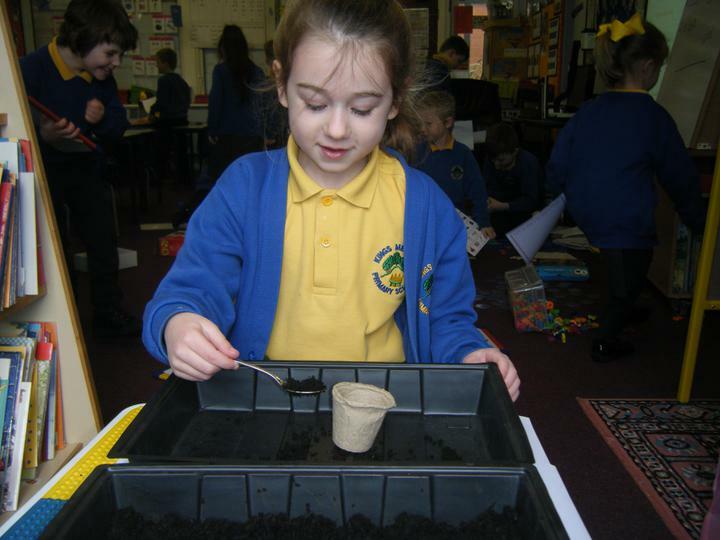 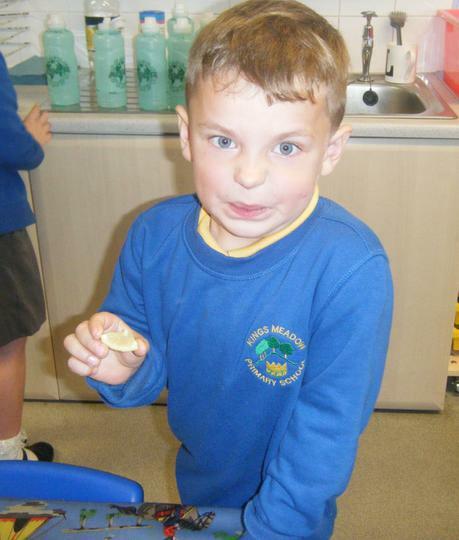 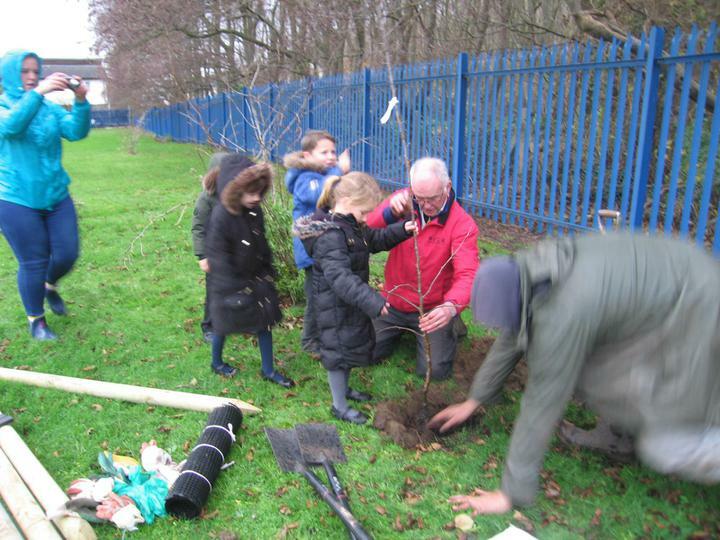 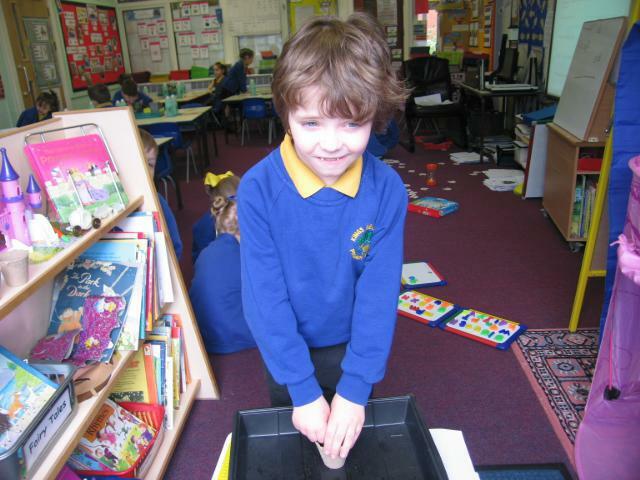 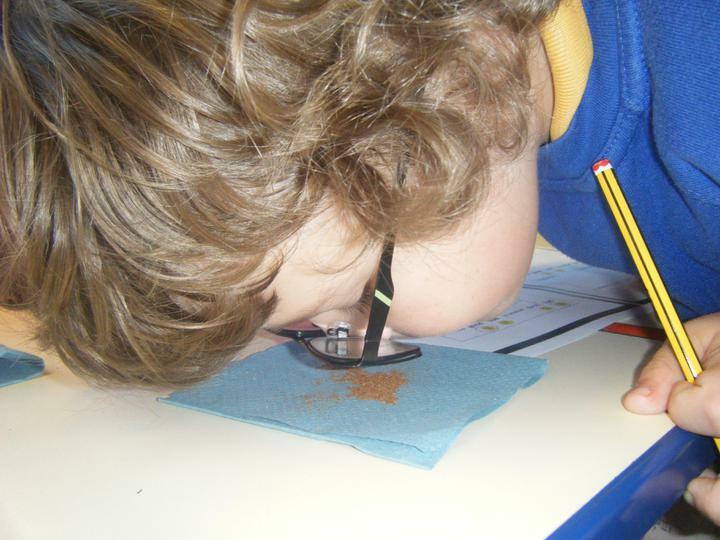 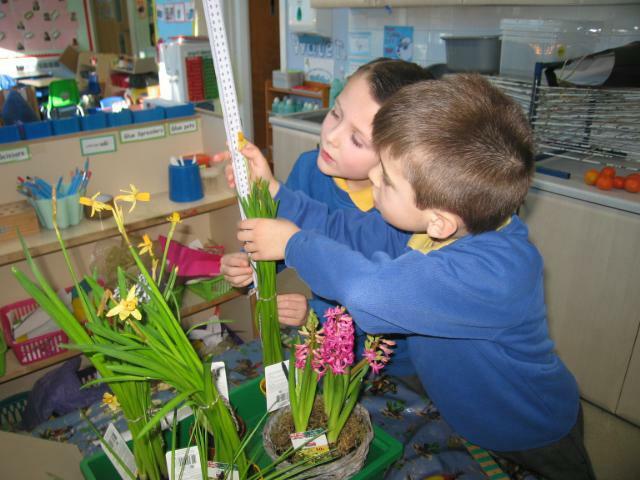 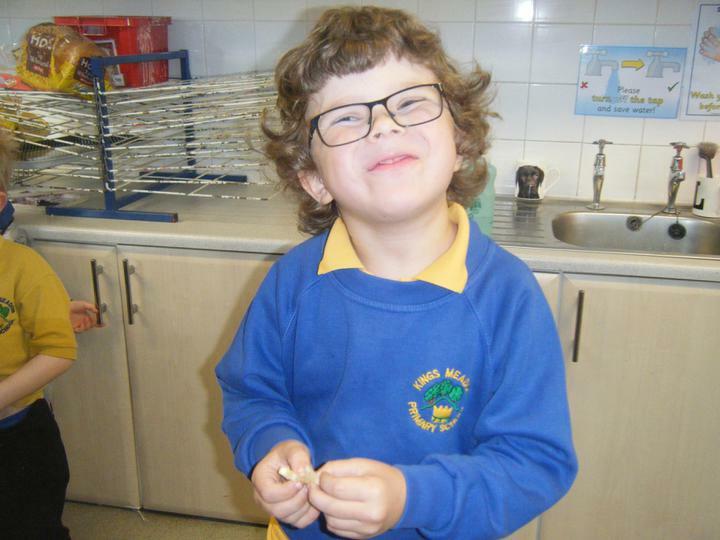 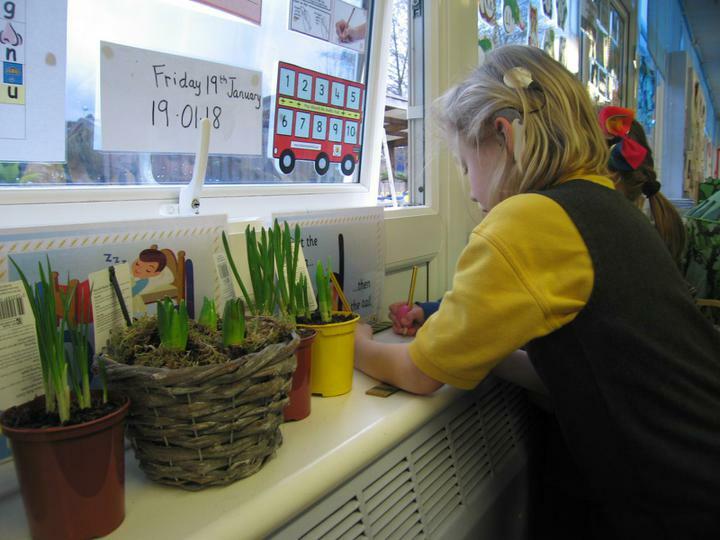 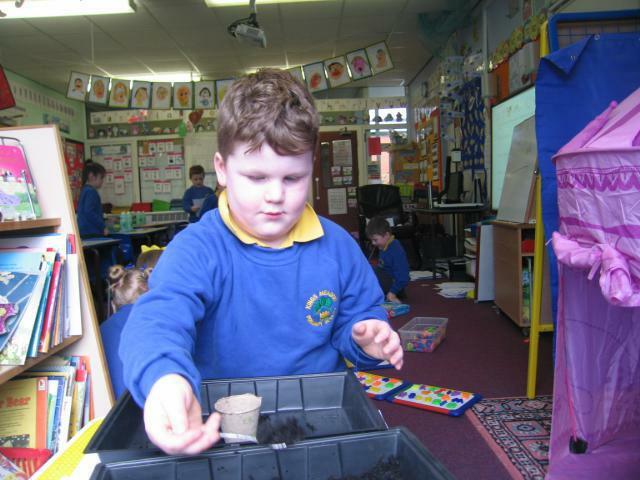 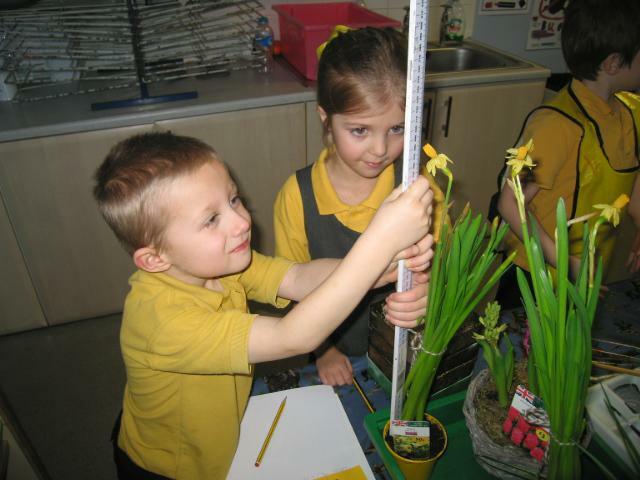 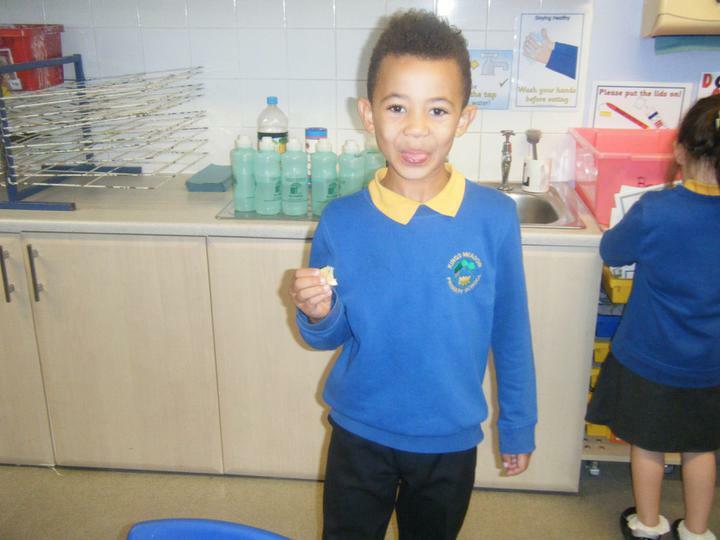 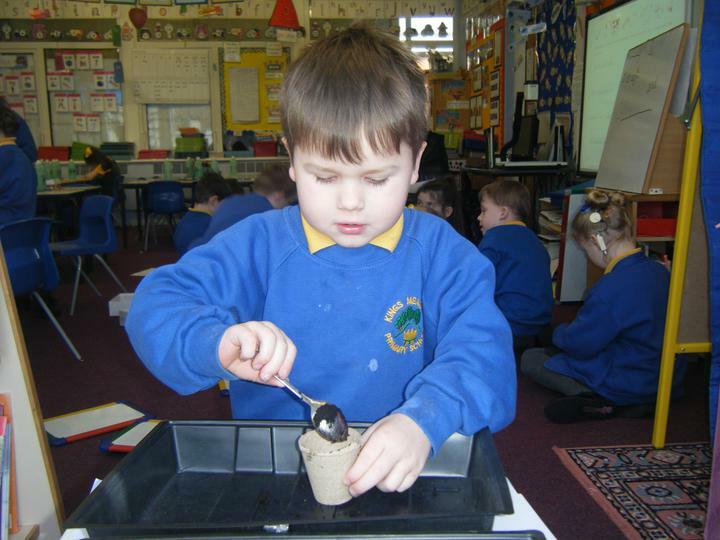 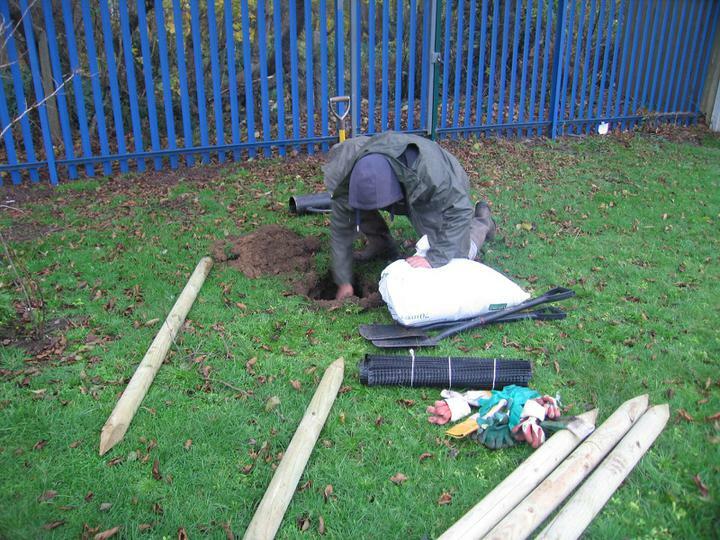 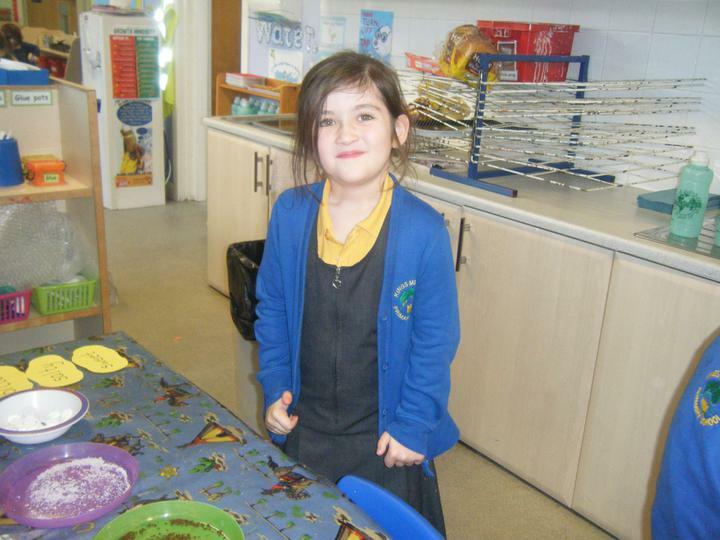 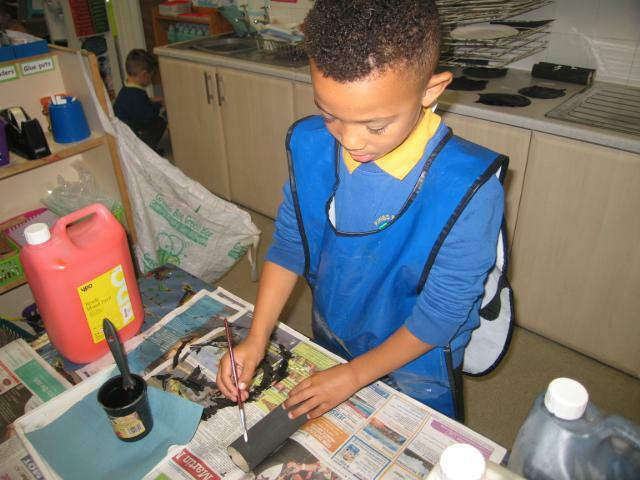 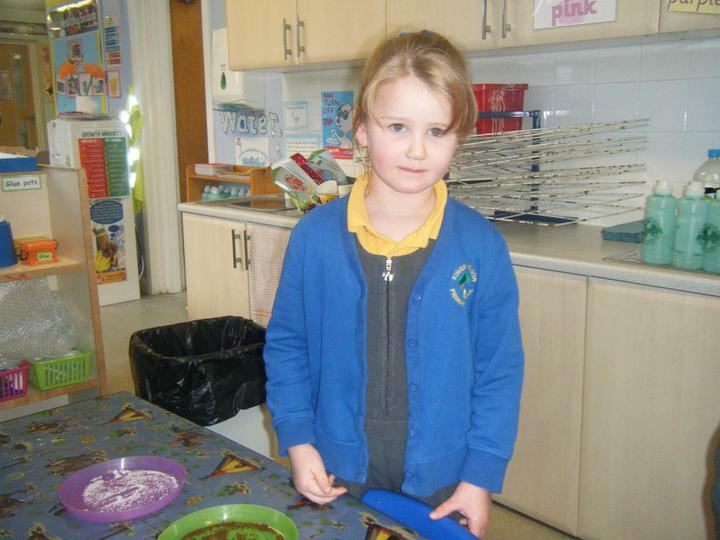 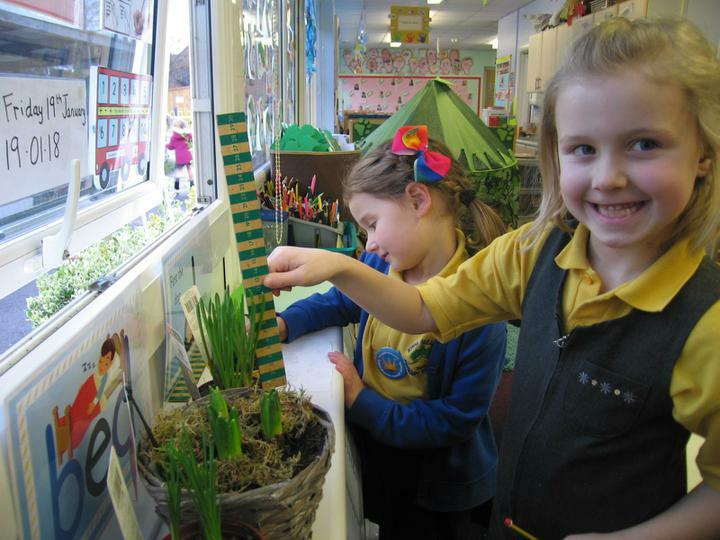 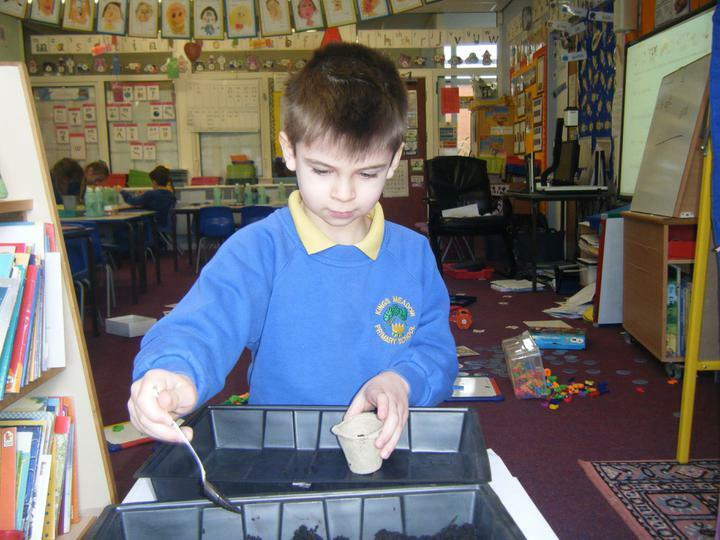 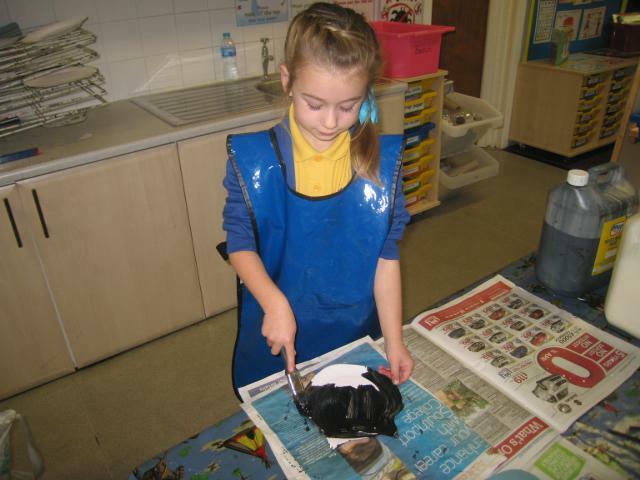 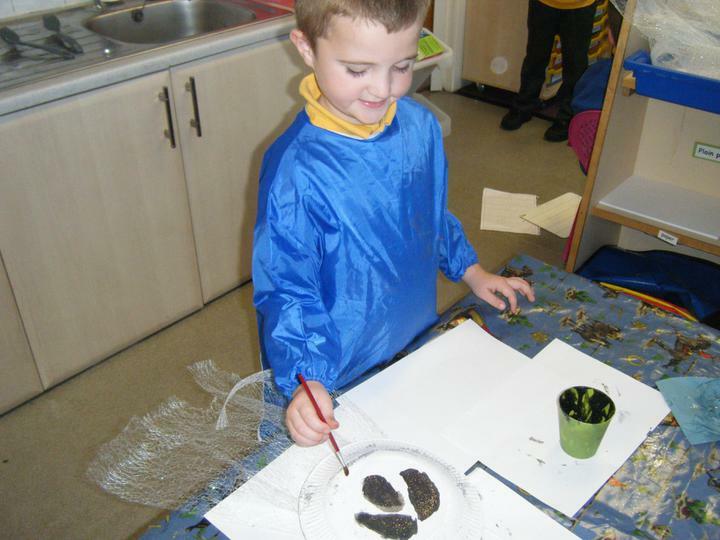 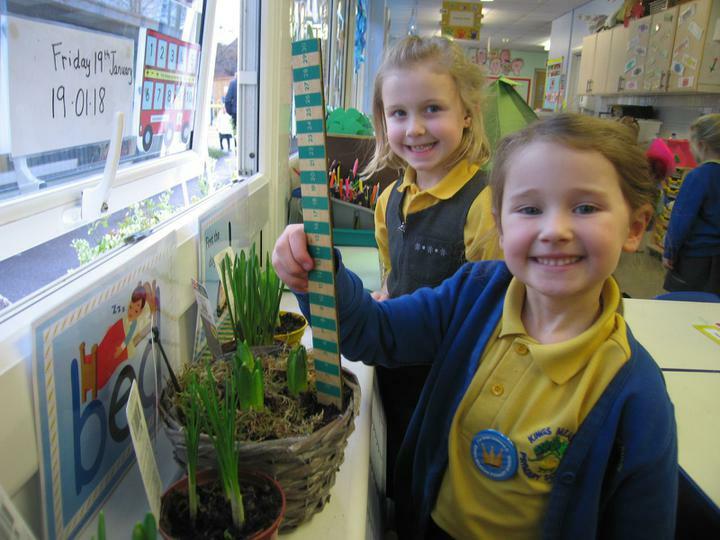 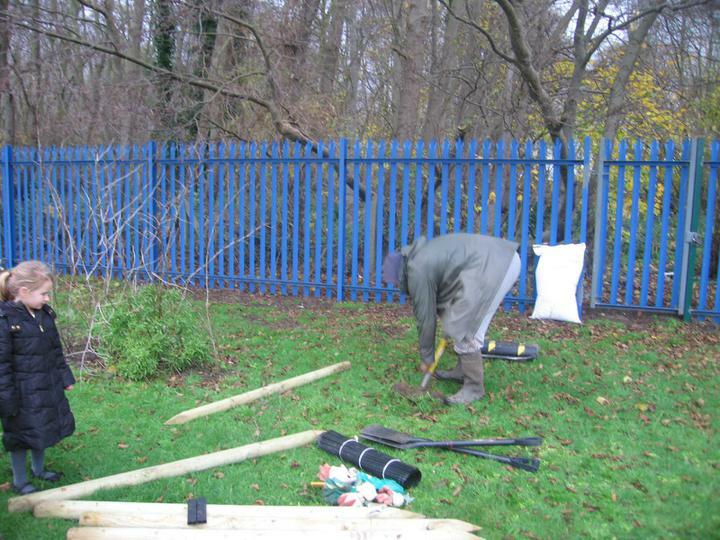 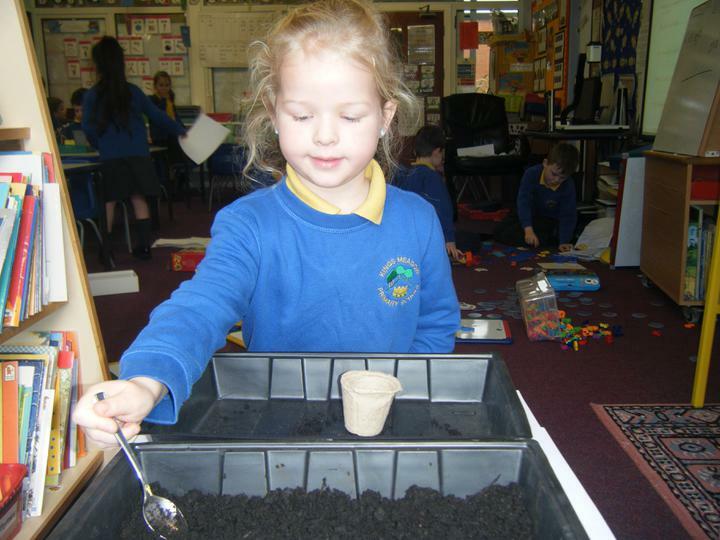 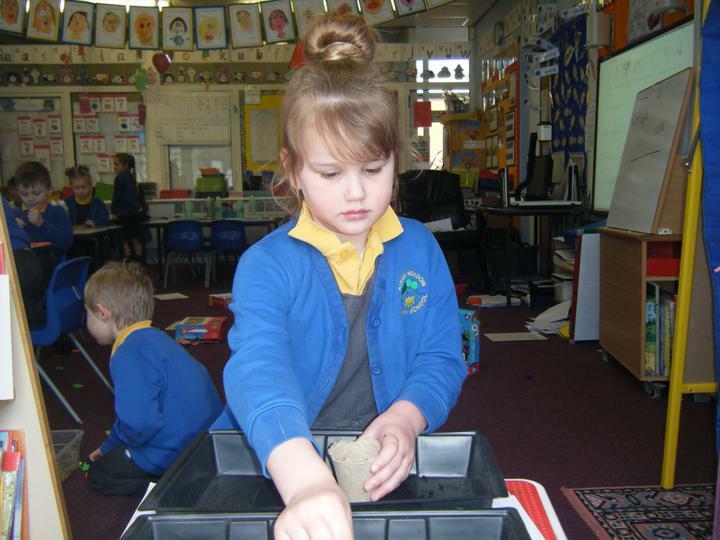 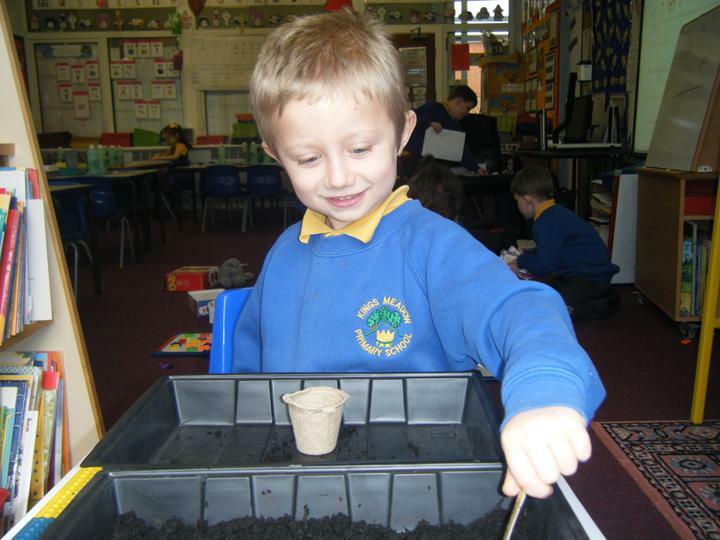 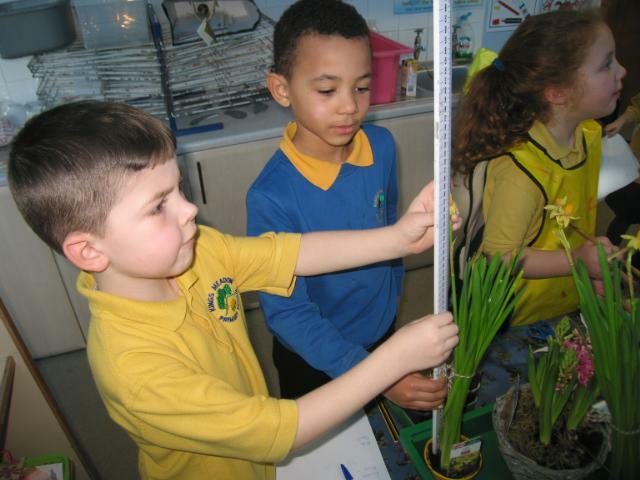 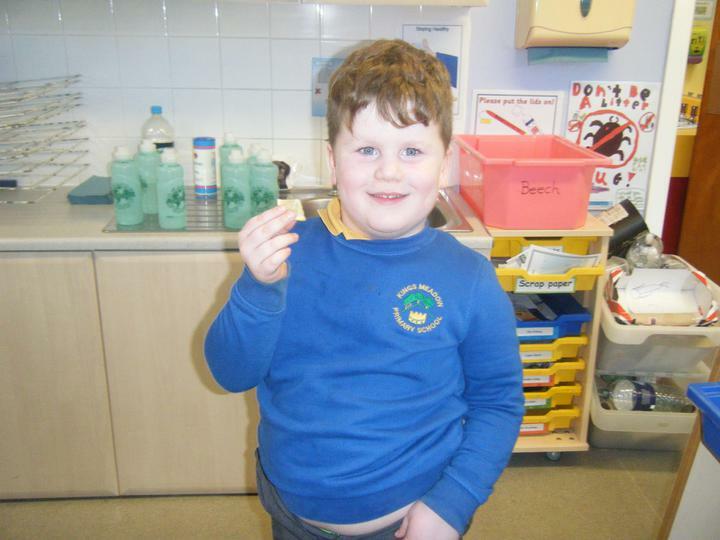 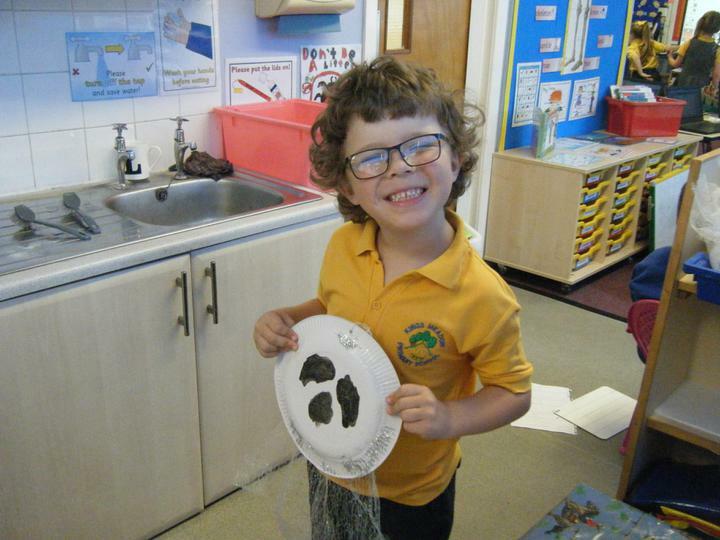 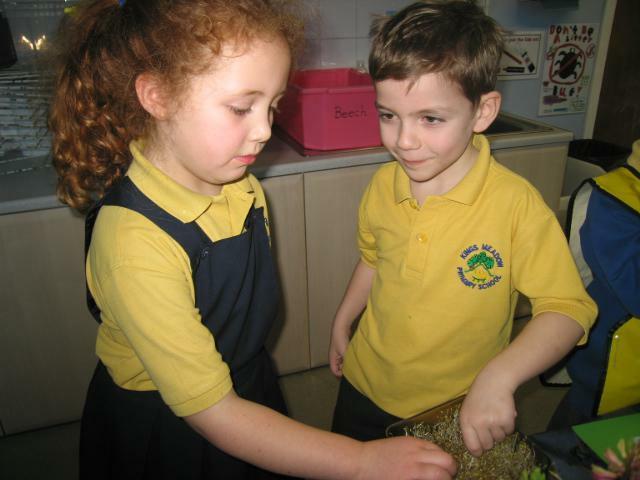 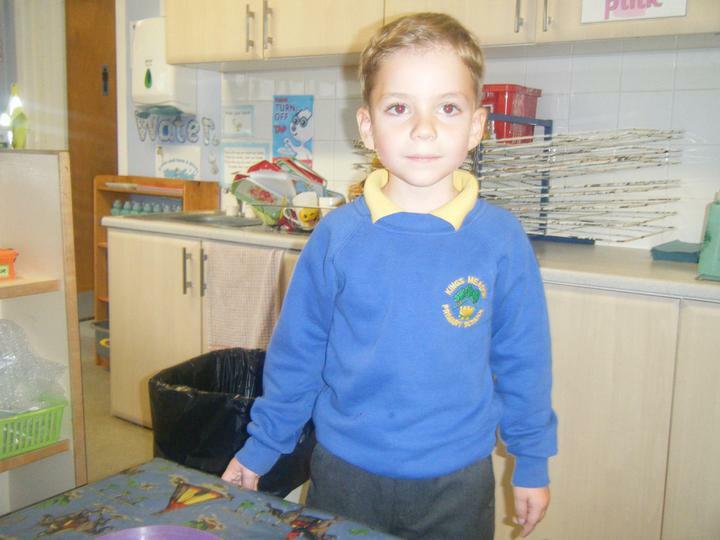 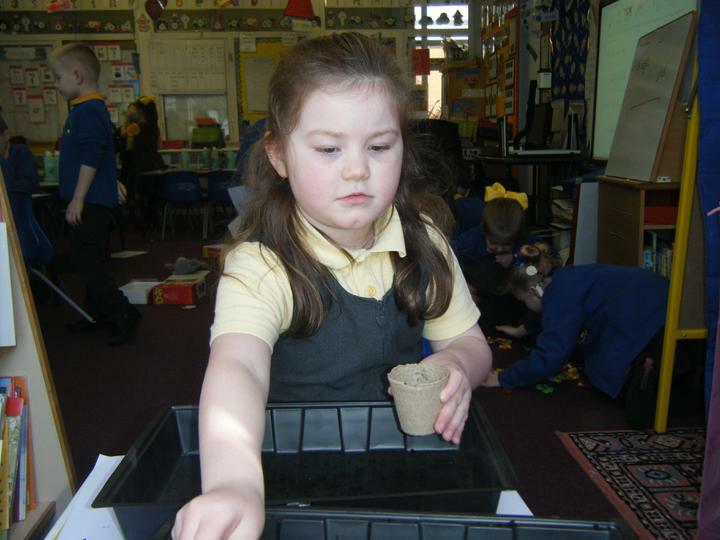 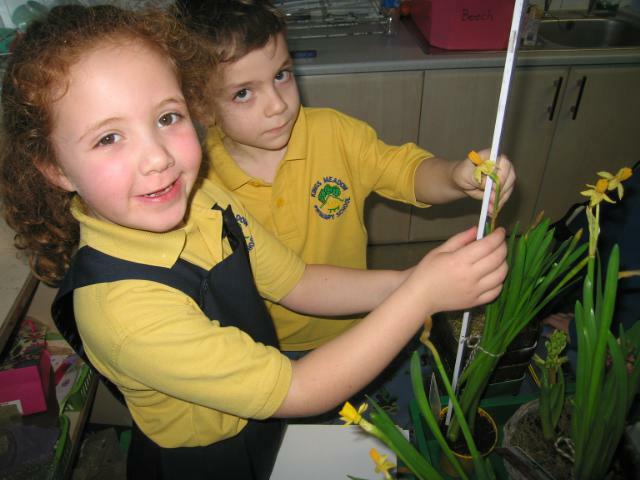 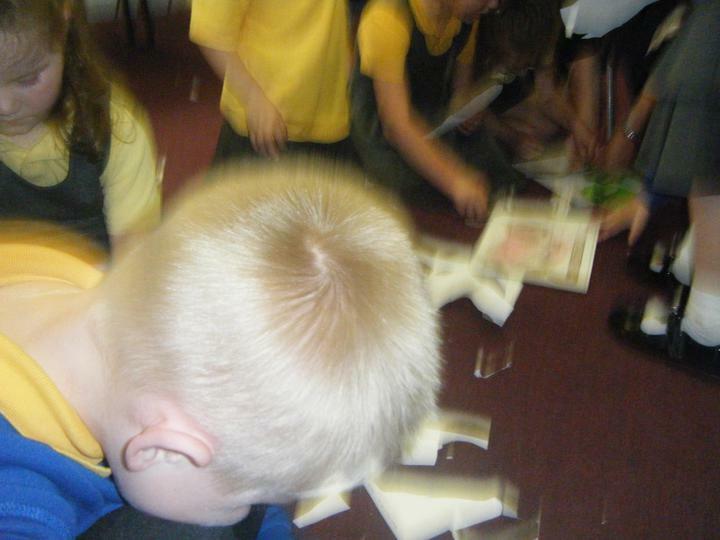 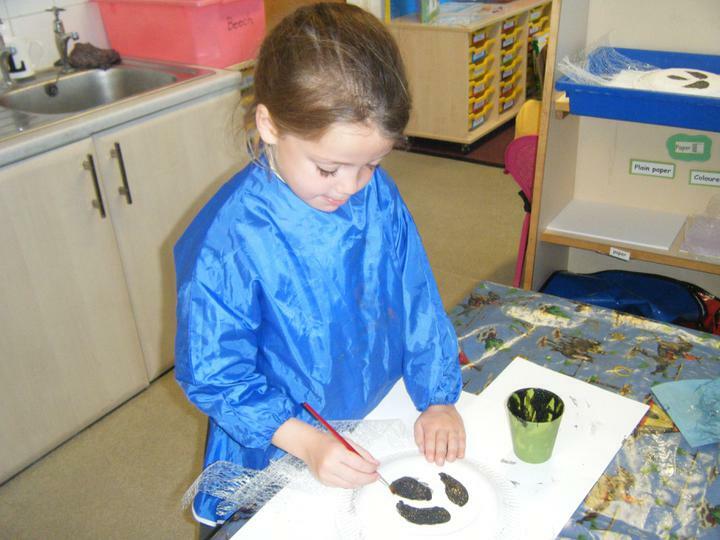 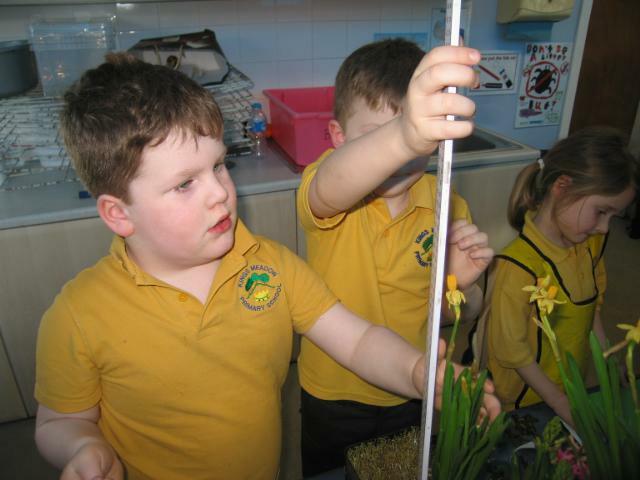 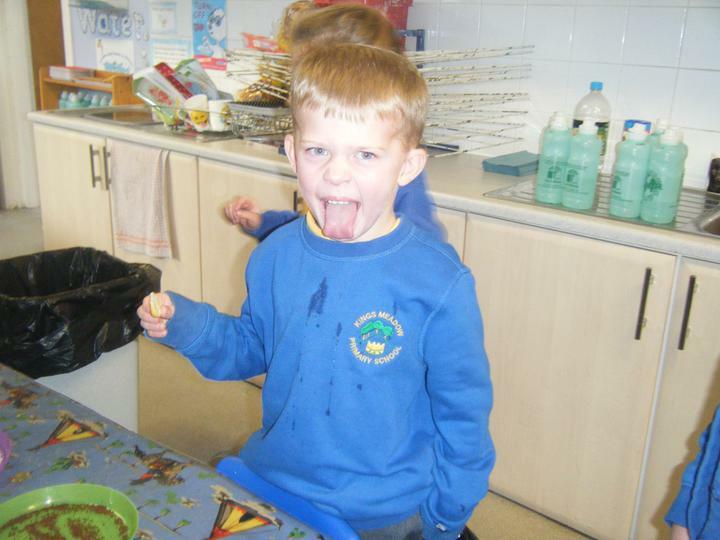 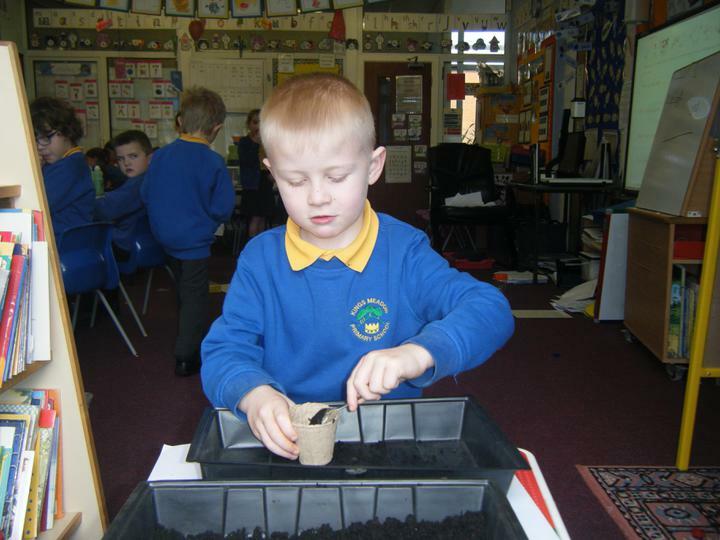 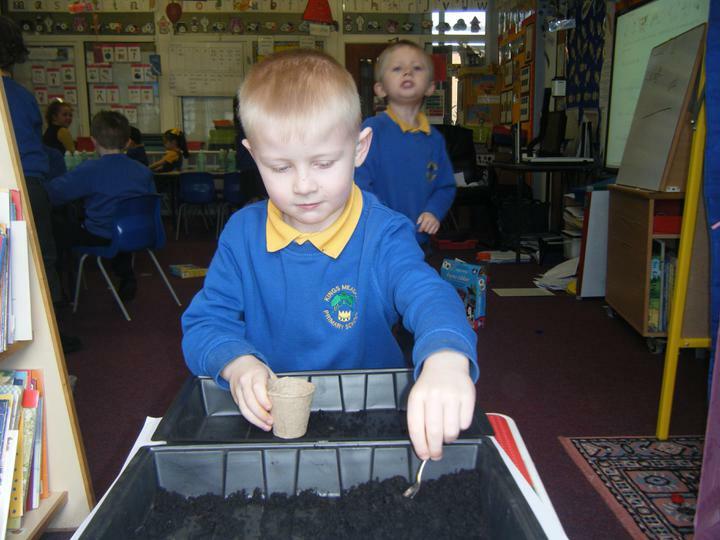 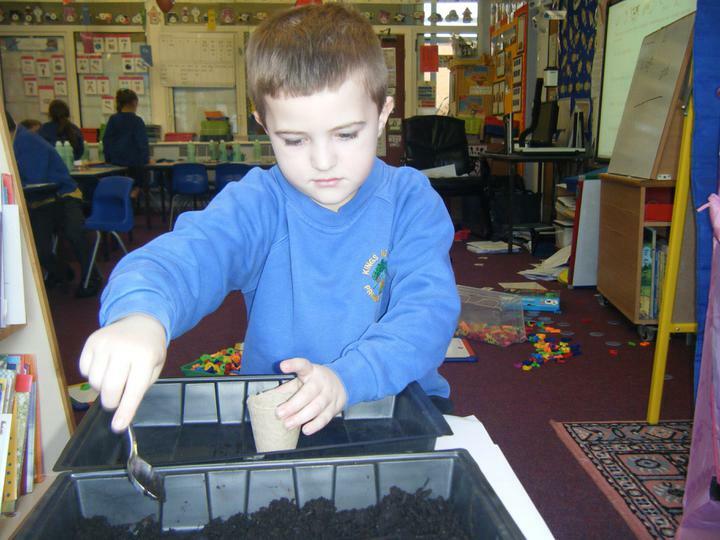 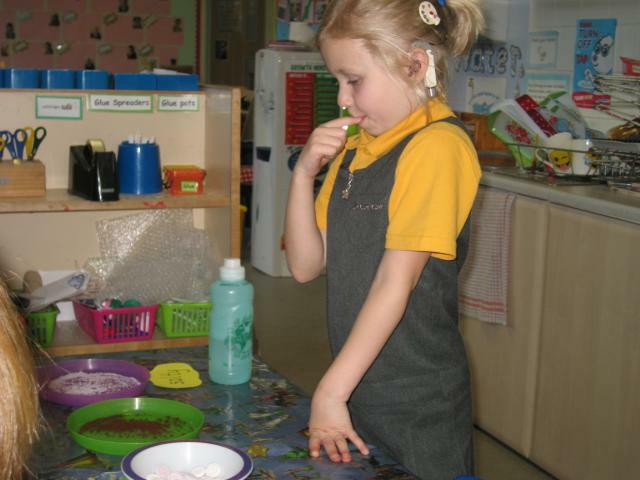 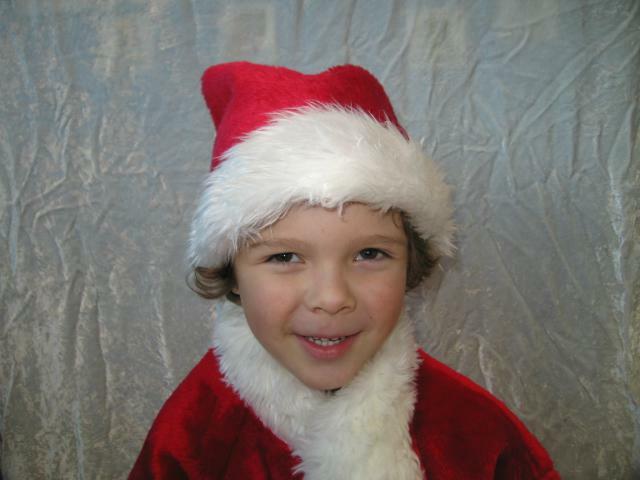 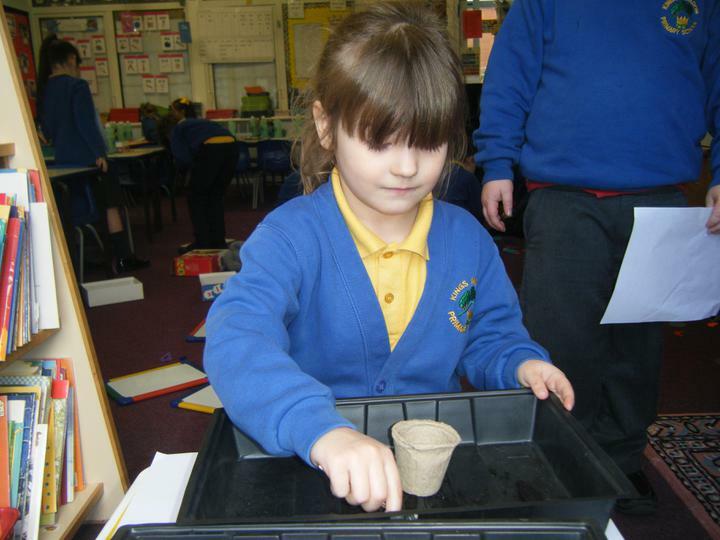 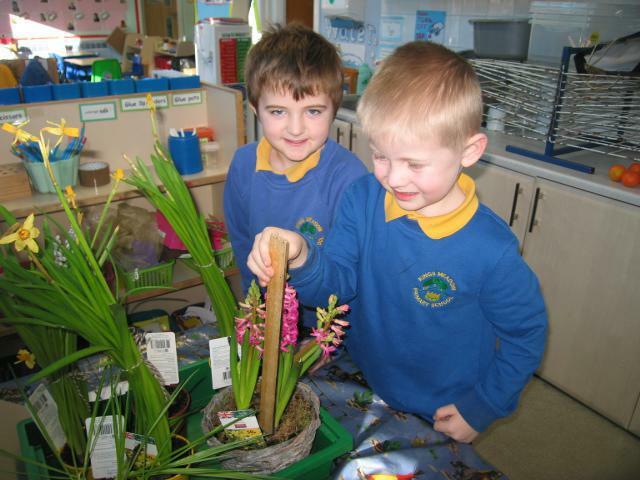 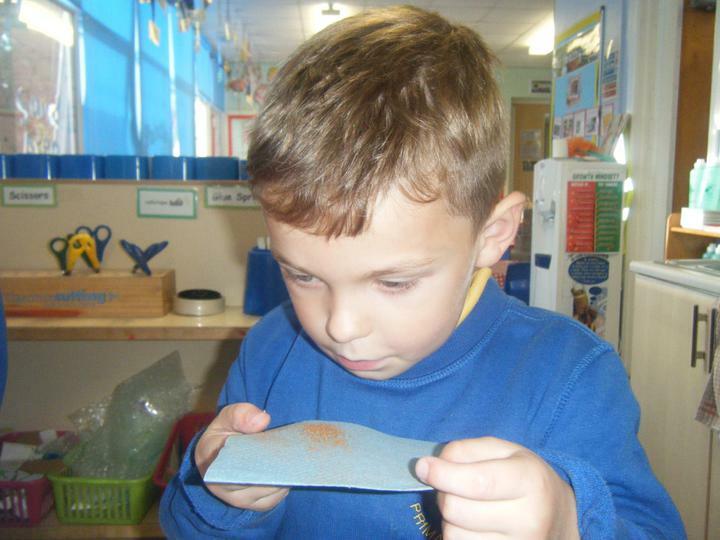 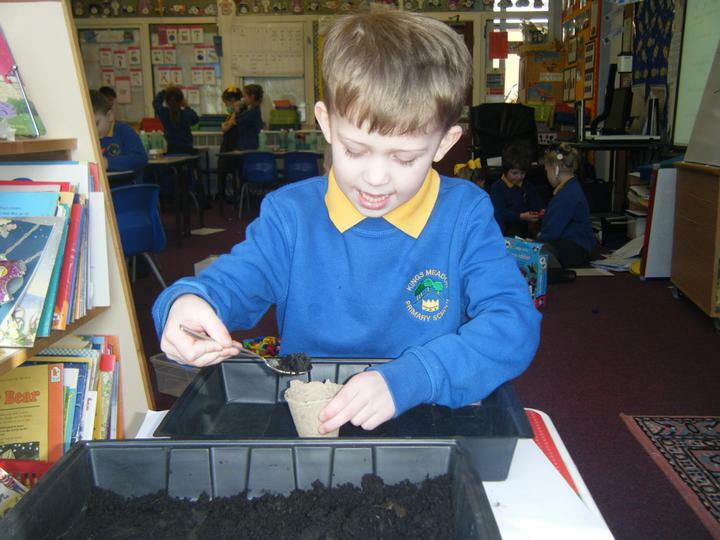 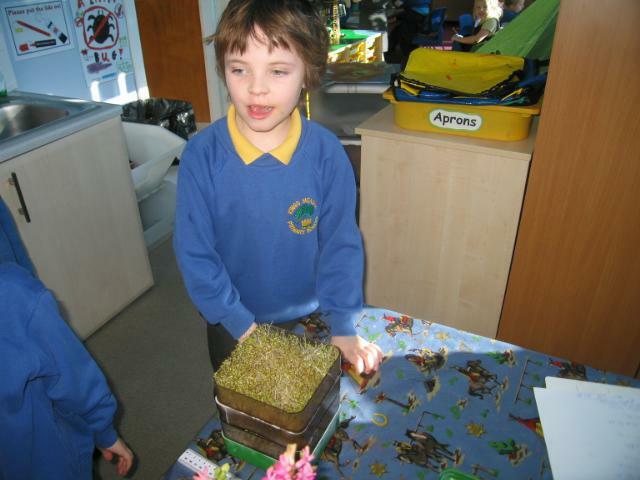 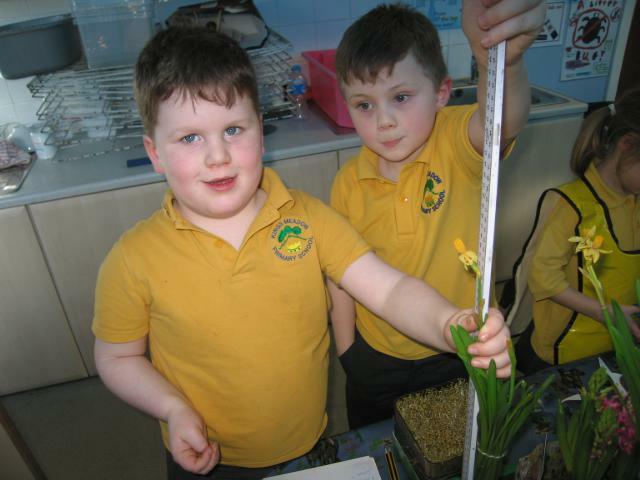 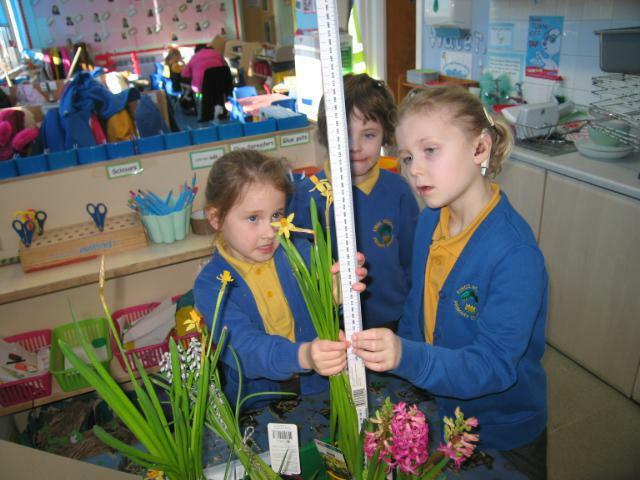 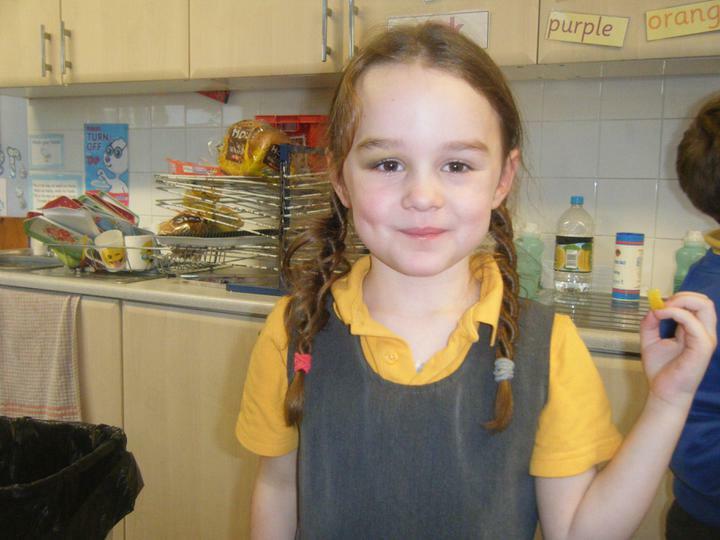 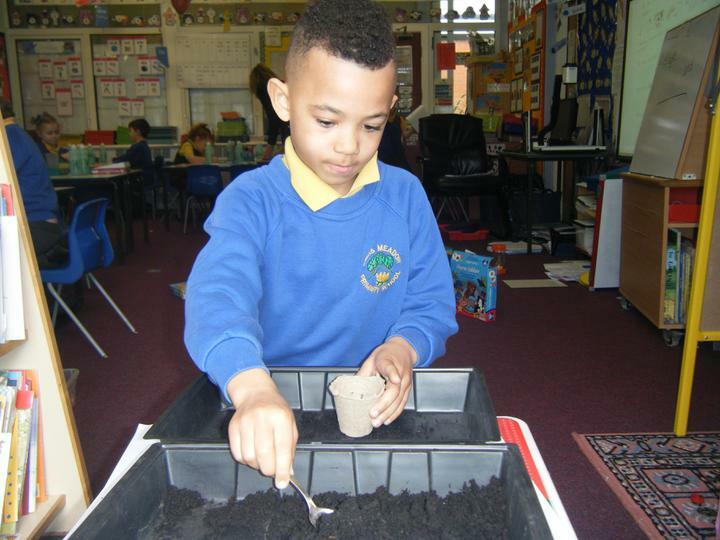 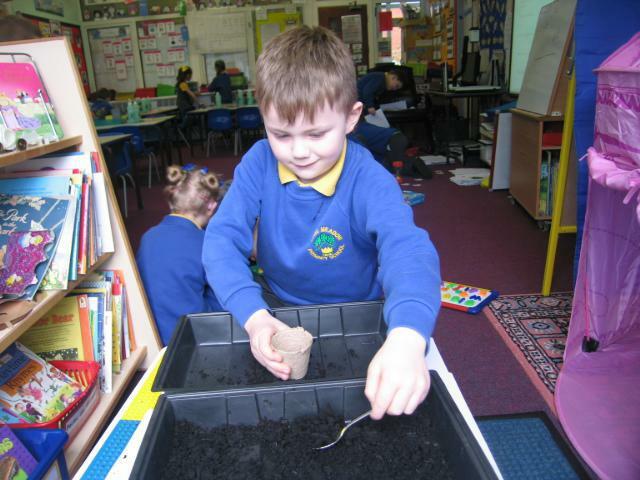 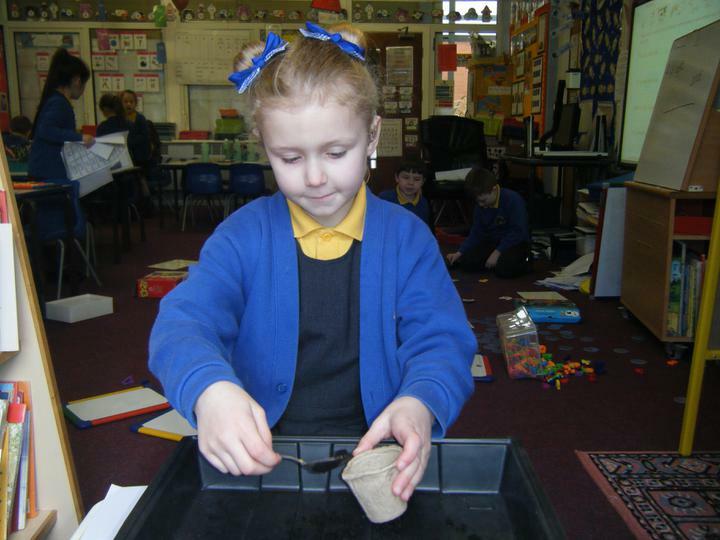 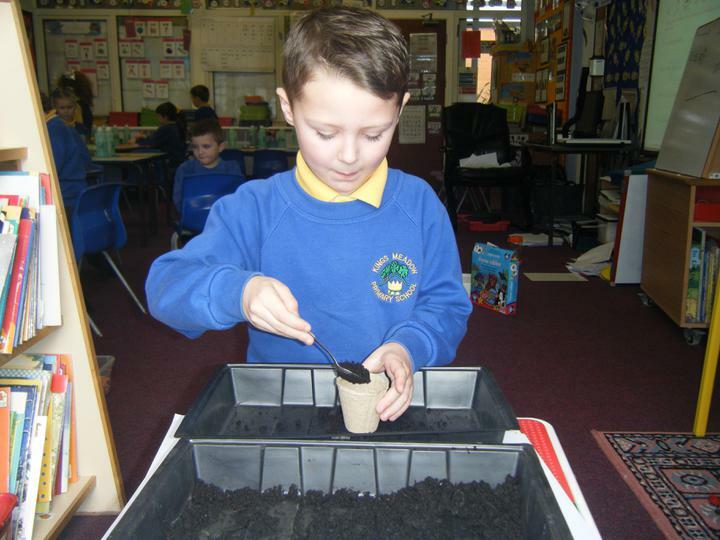 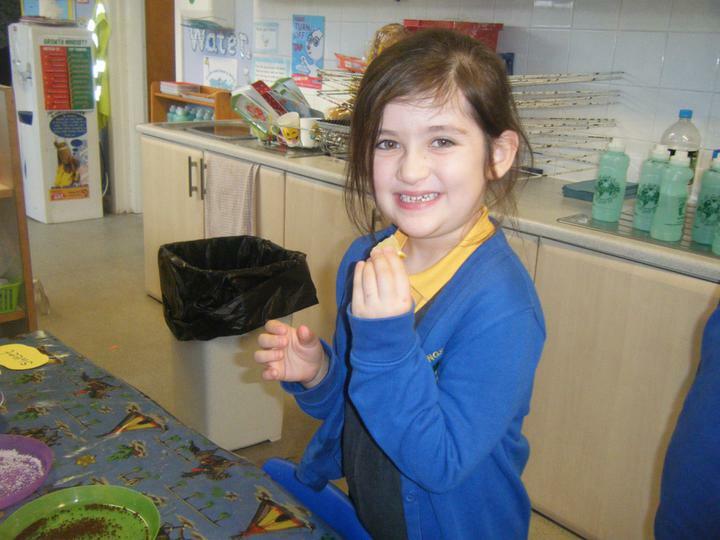 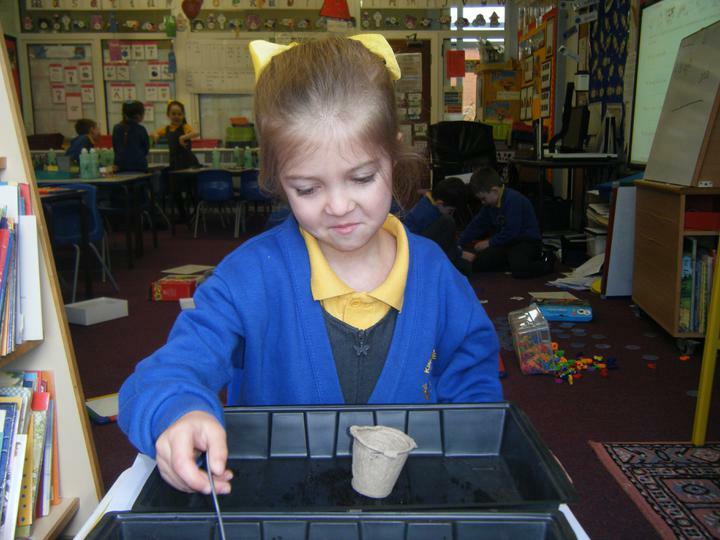 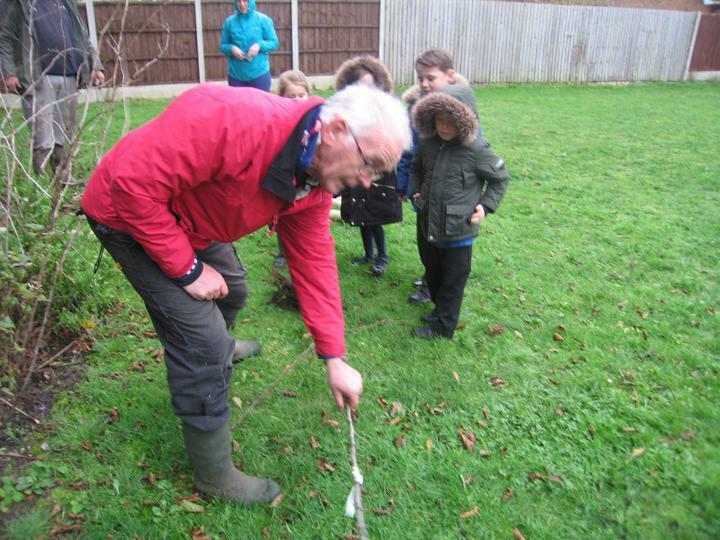 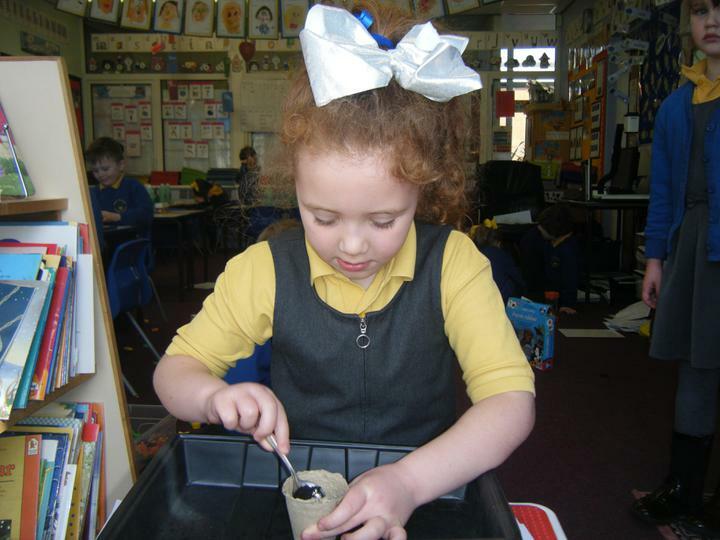 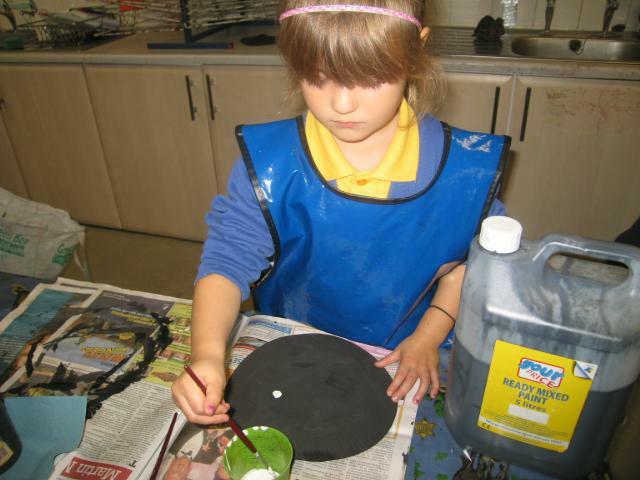 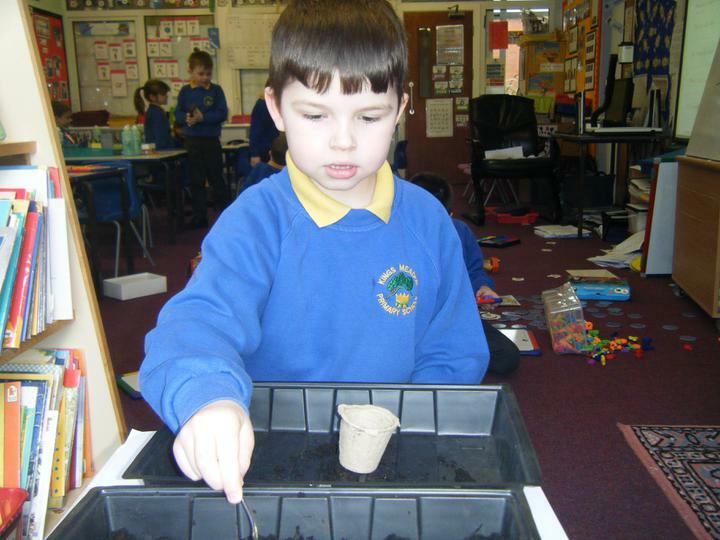 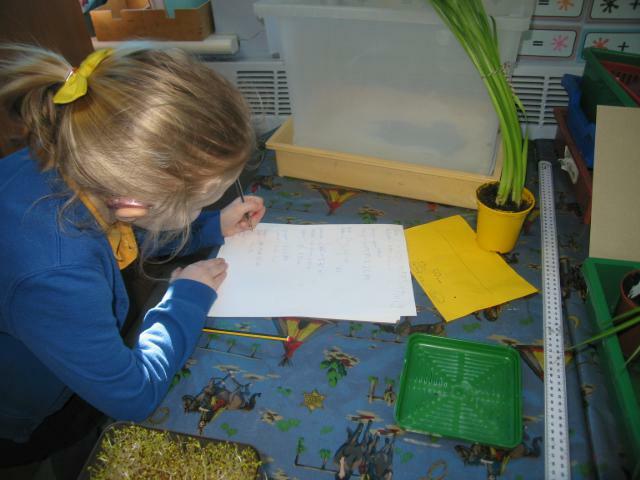 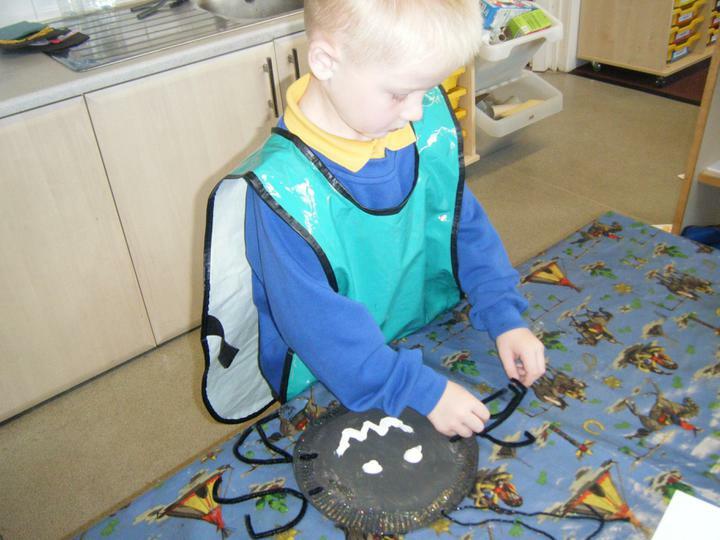 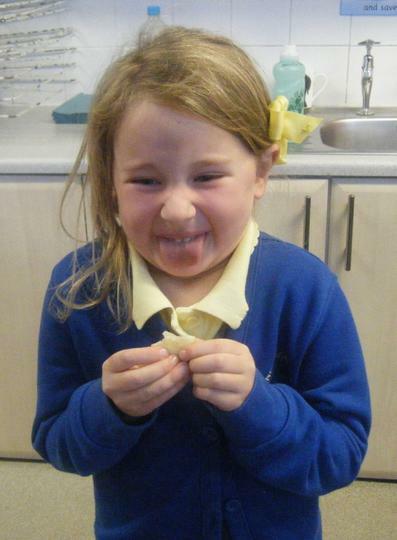 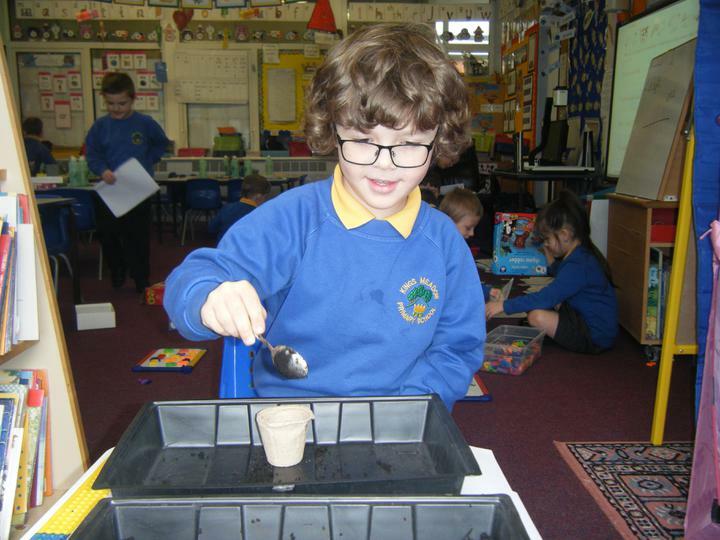 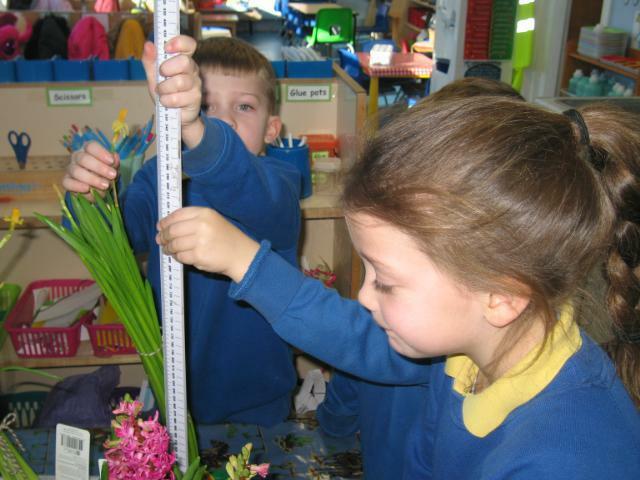 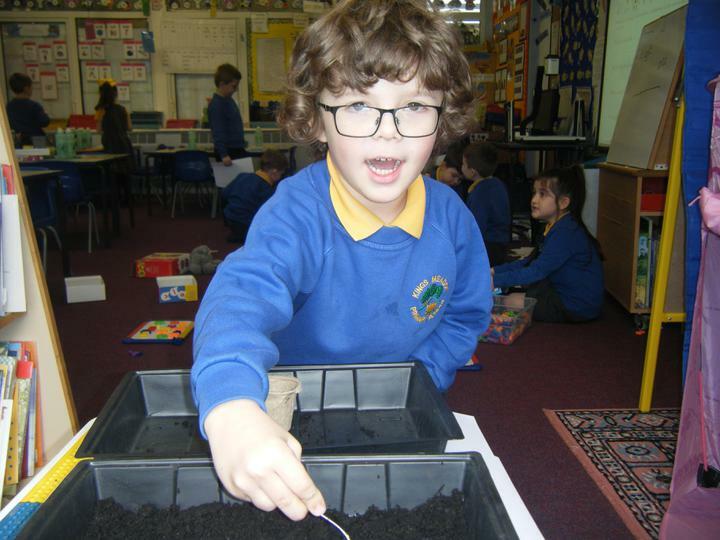 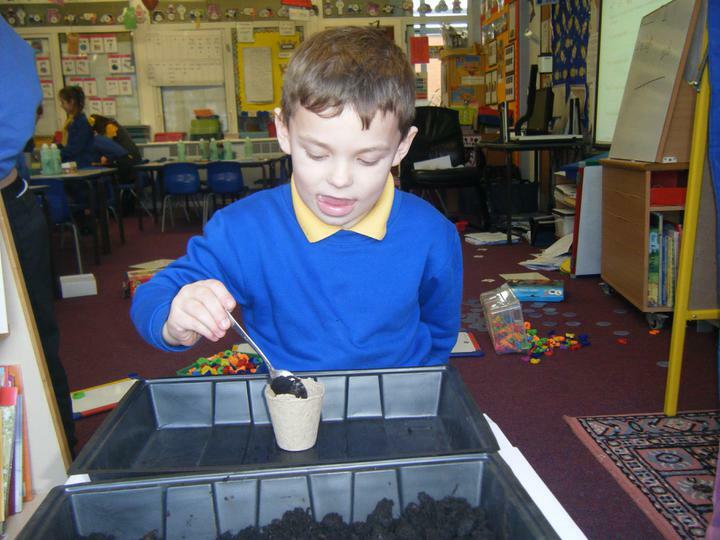 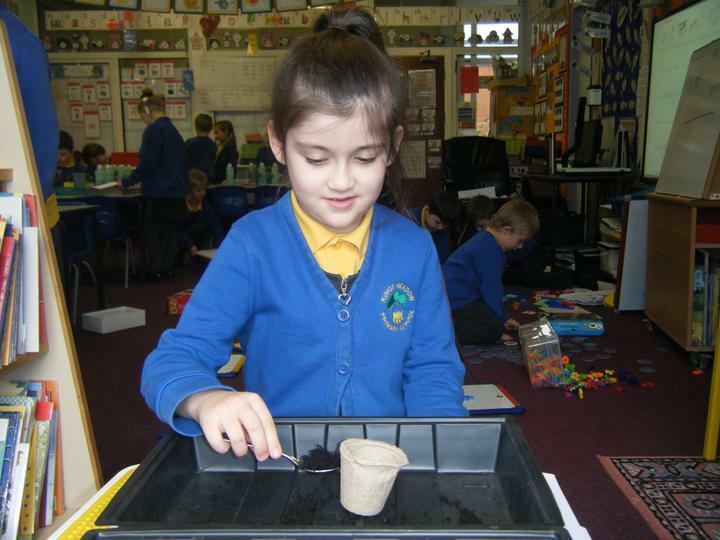 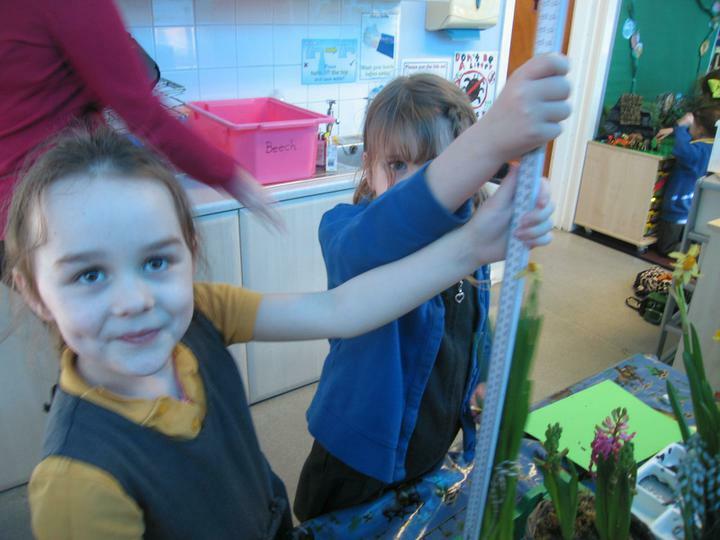 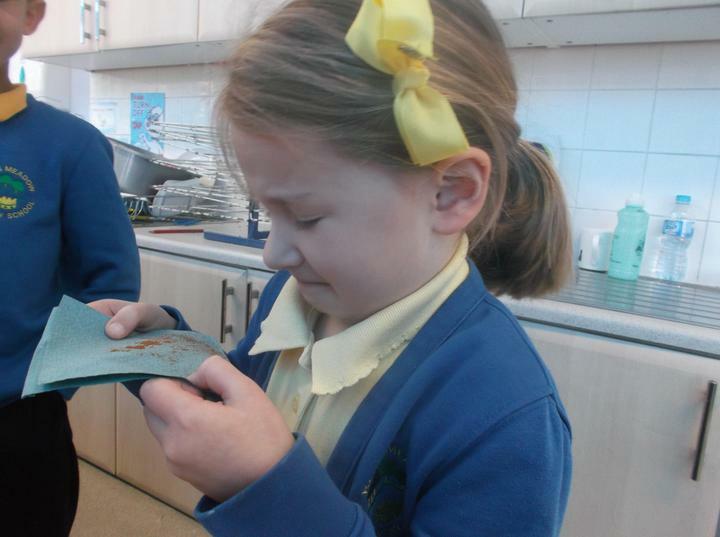 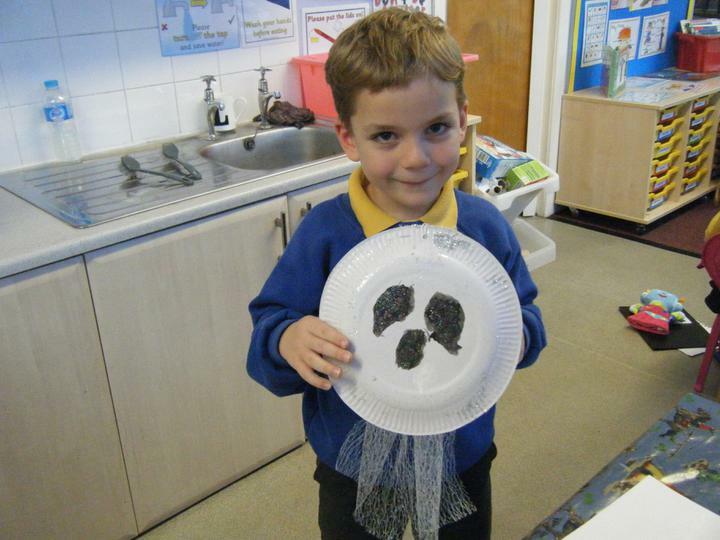 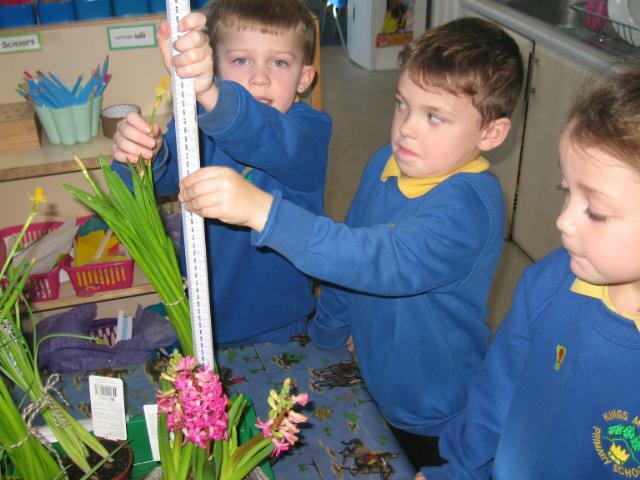 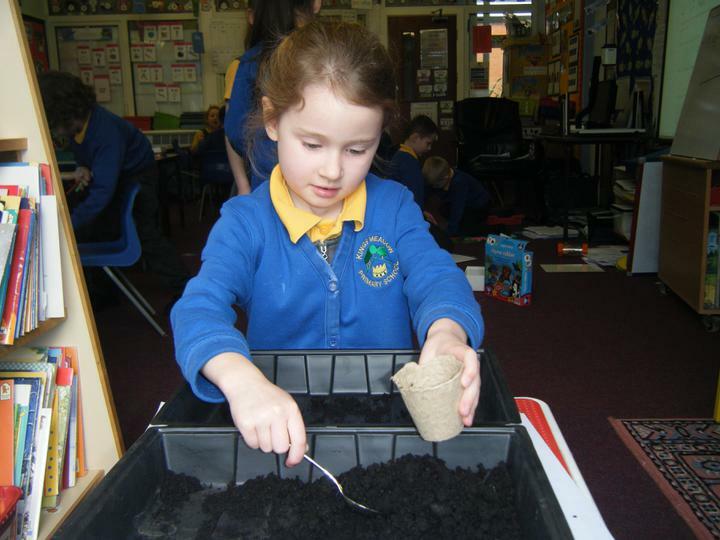 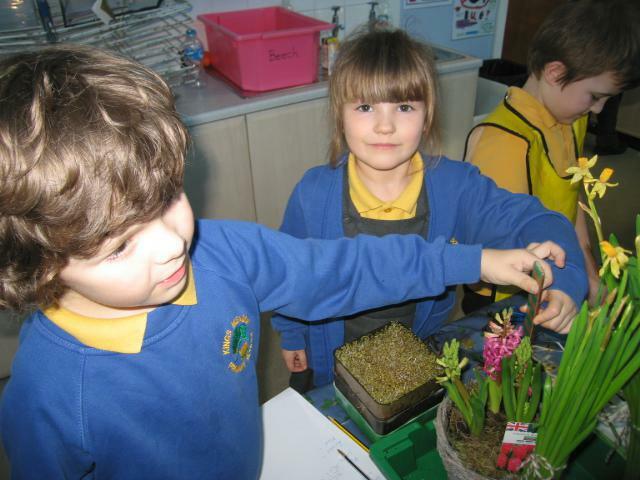 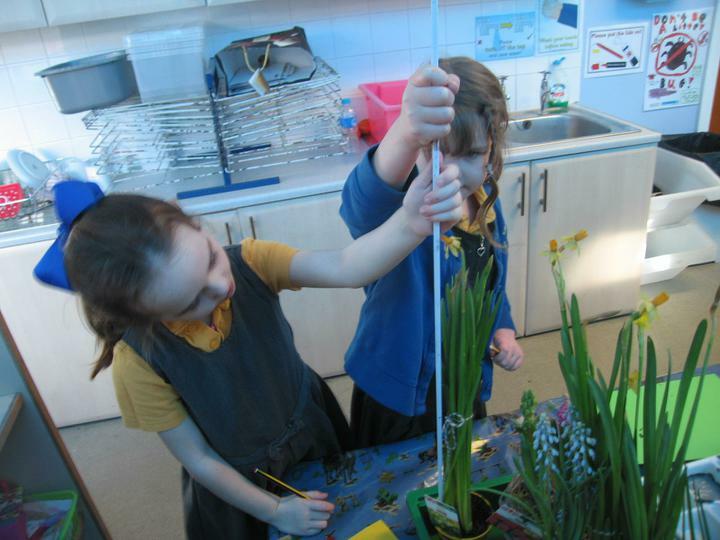 Science - Planting Year 1 planted seeds and bulbs. 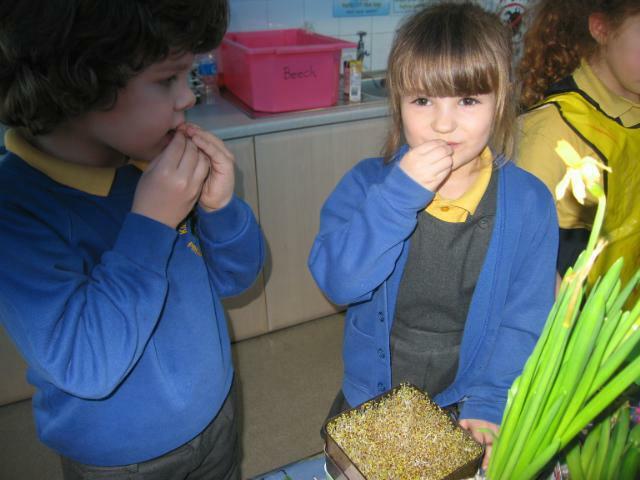 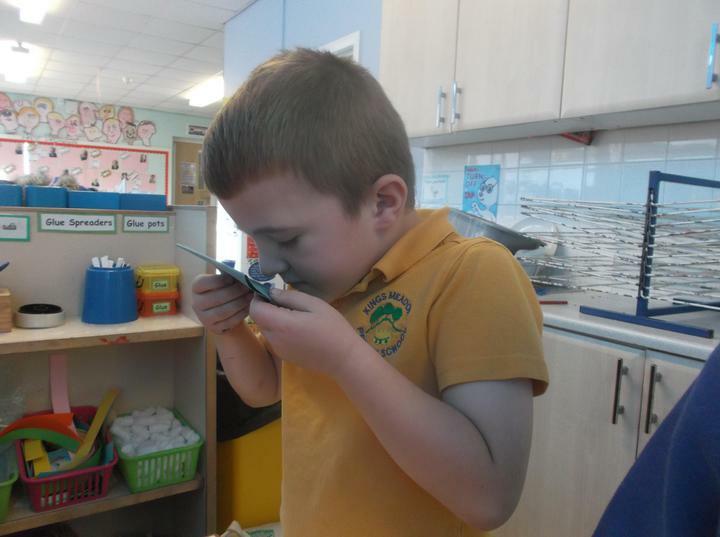 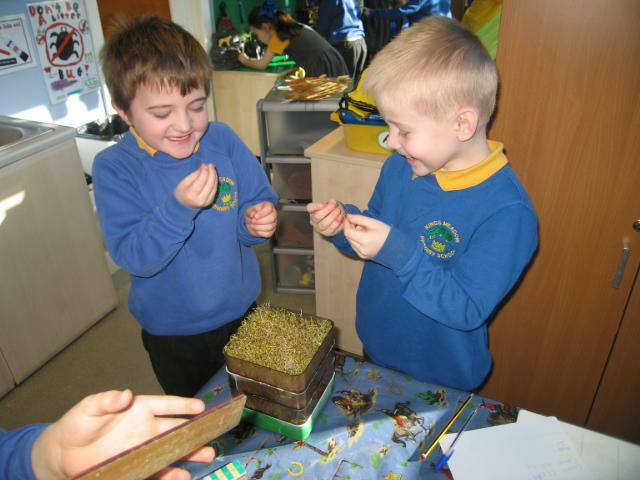 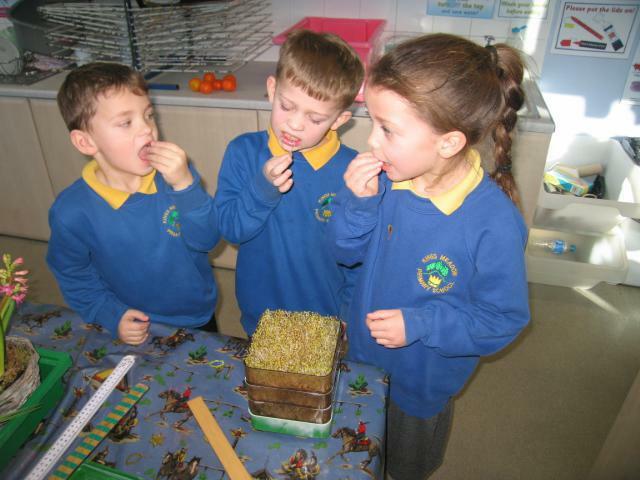 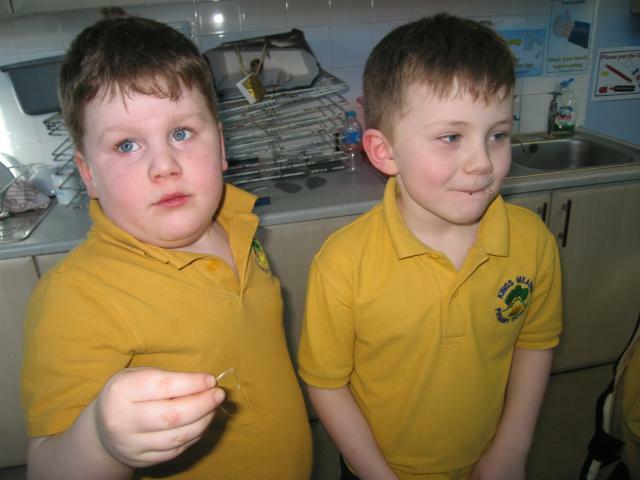 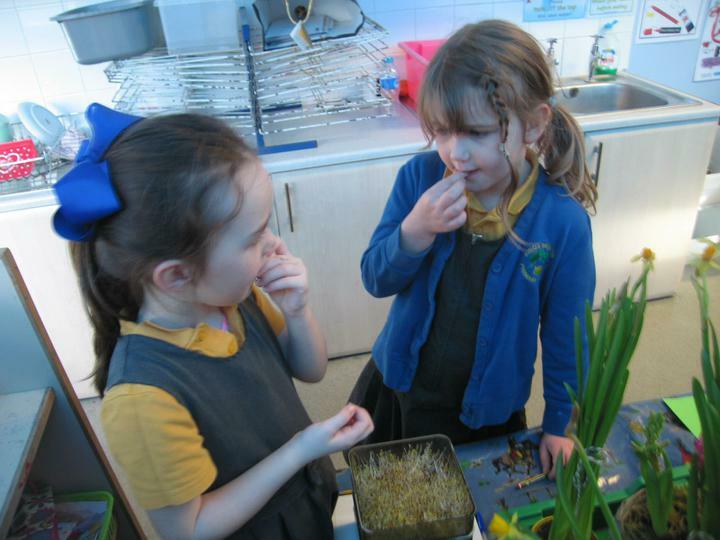 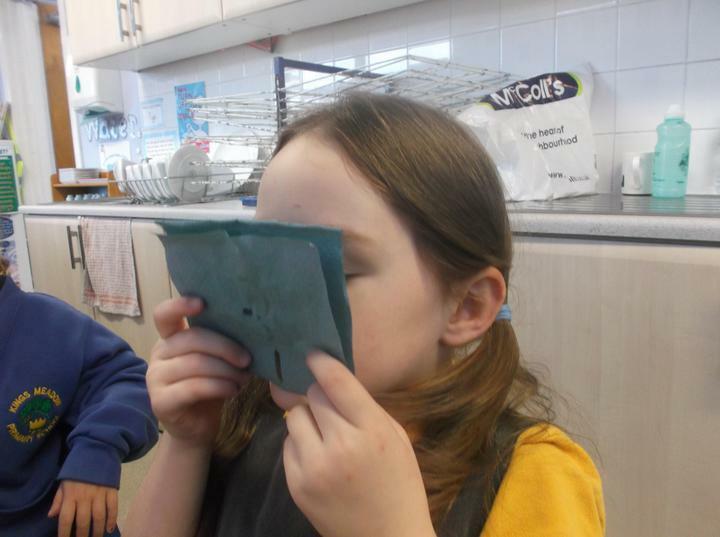 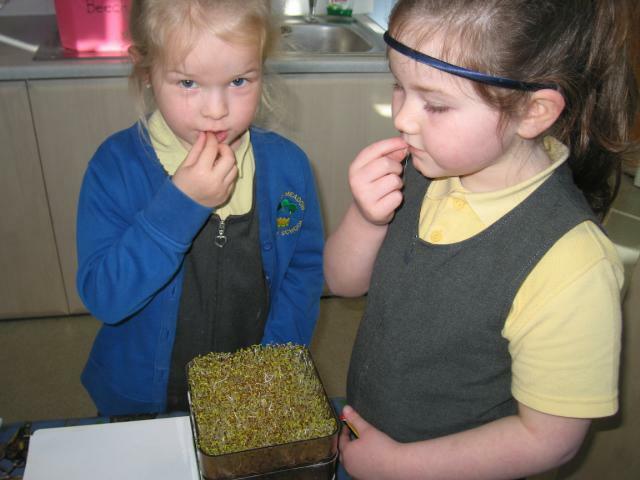 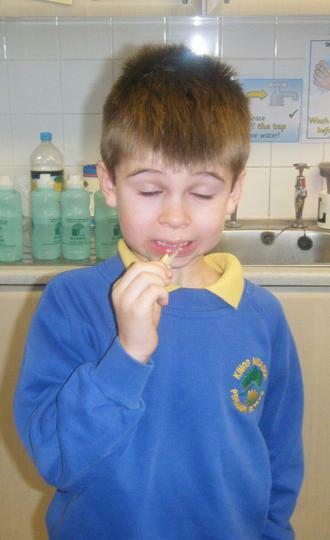 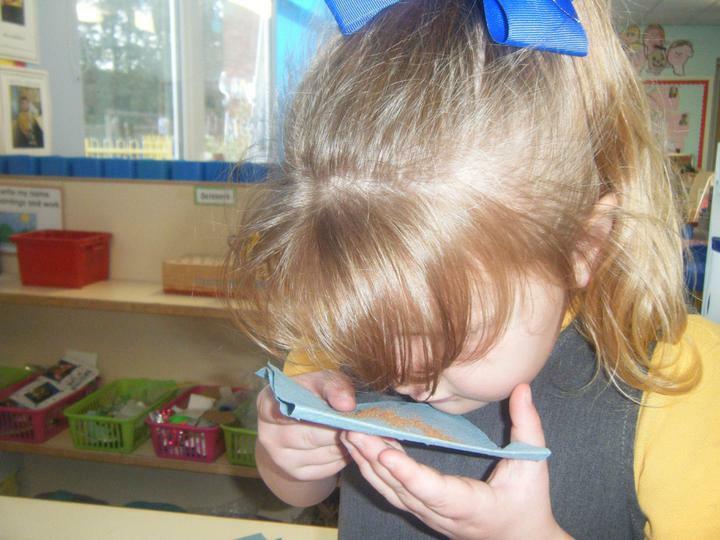 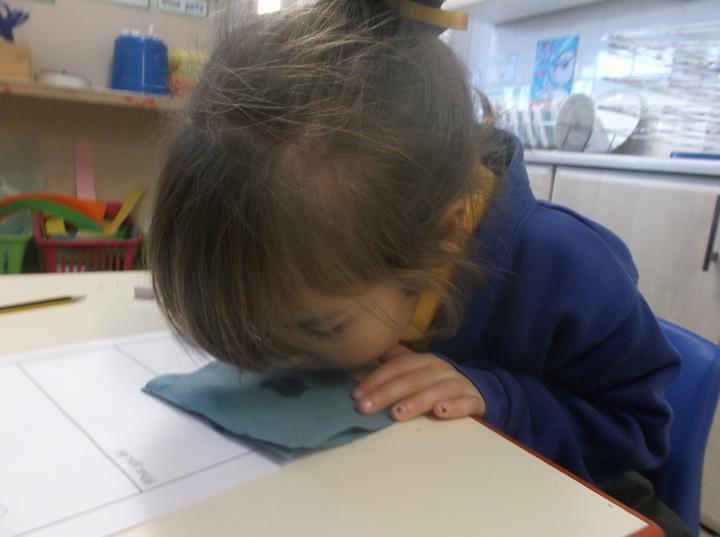 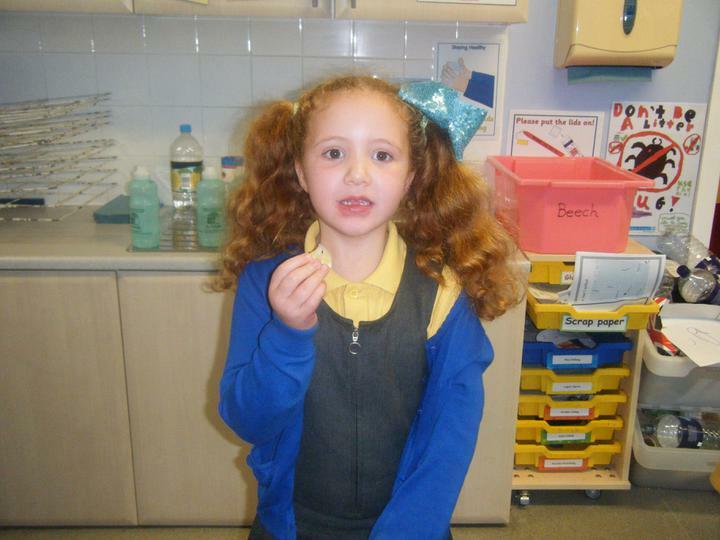 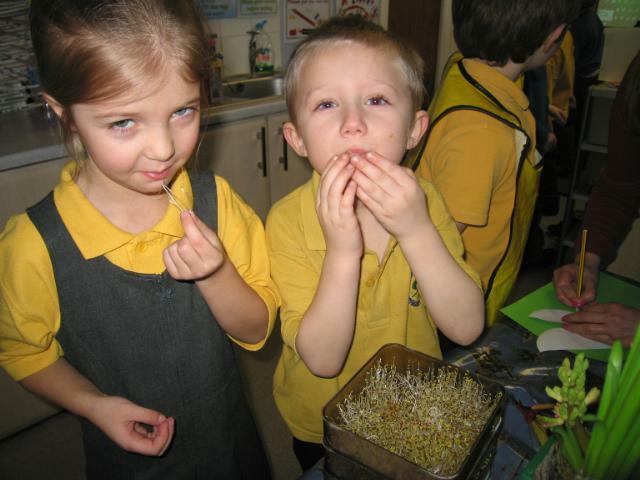 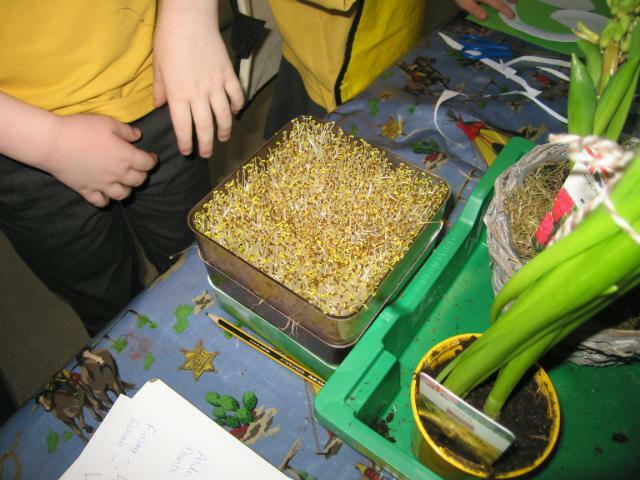 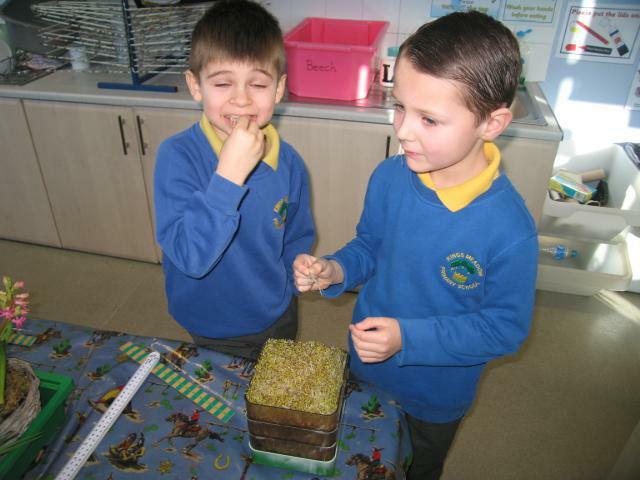 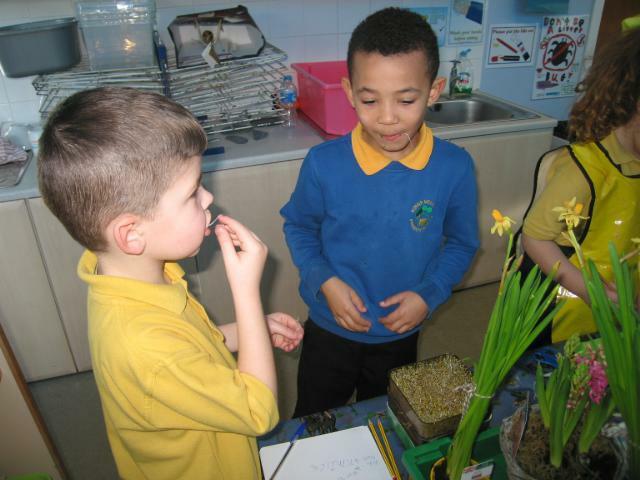 They observed the plants growing and they also sprouted seeds to eat. 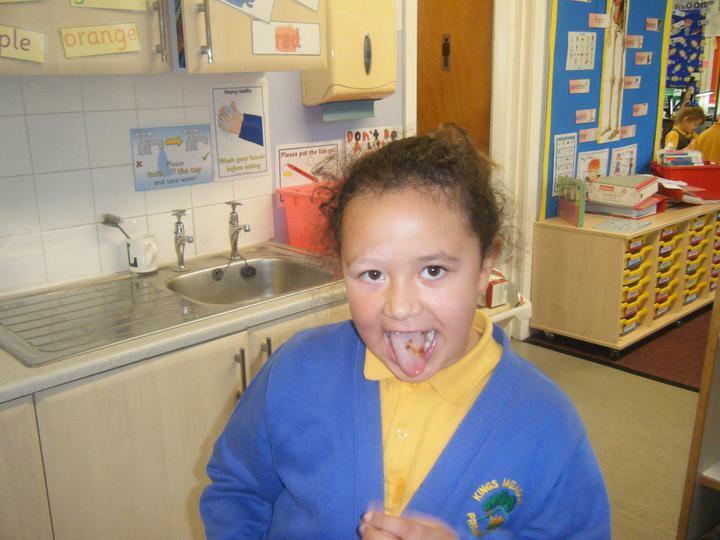 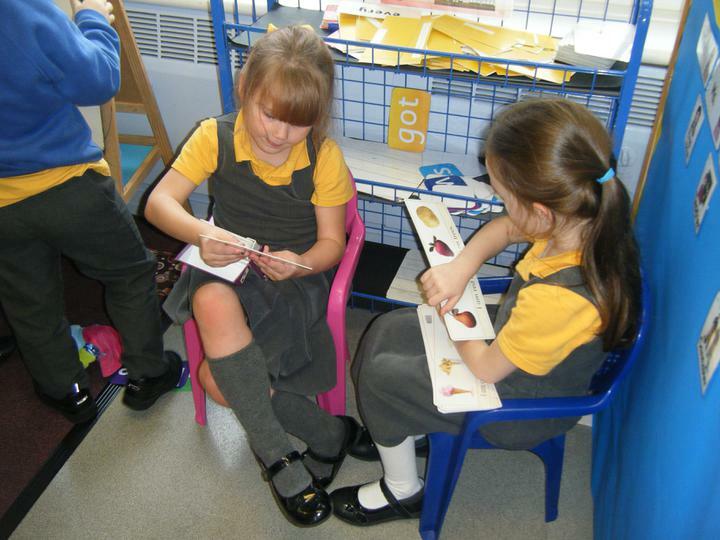 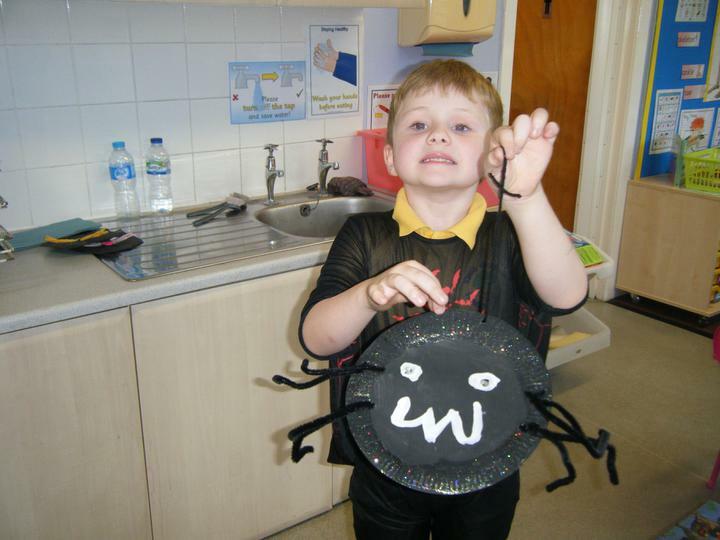 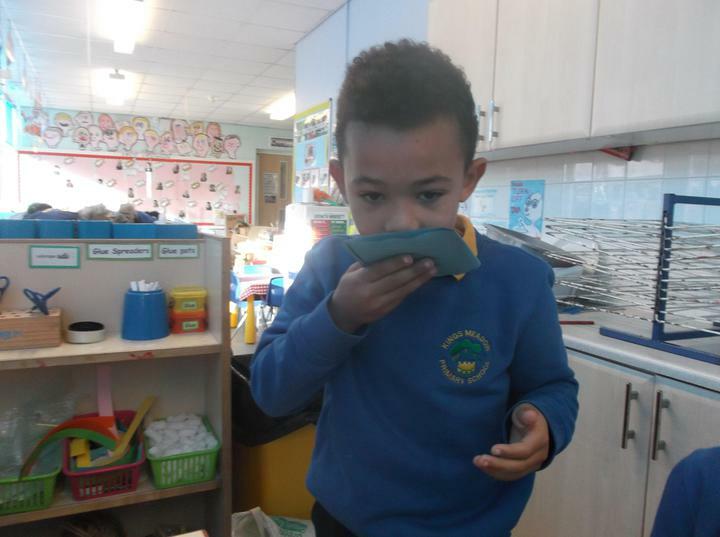 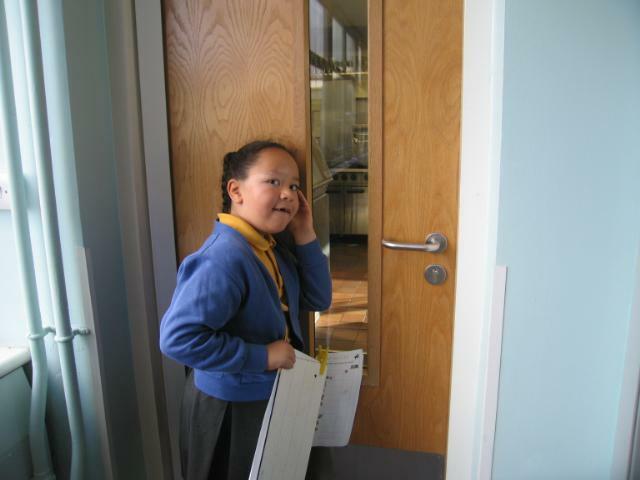 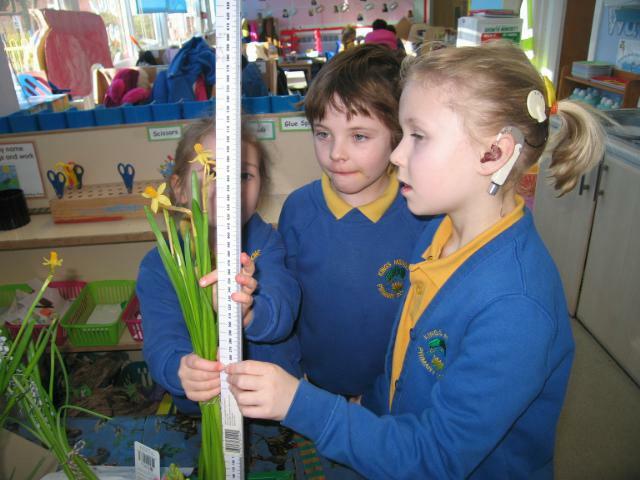 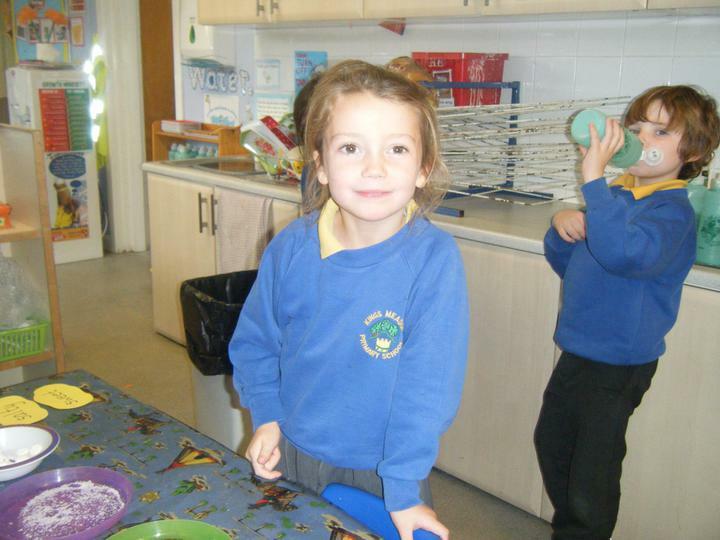 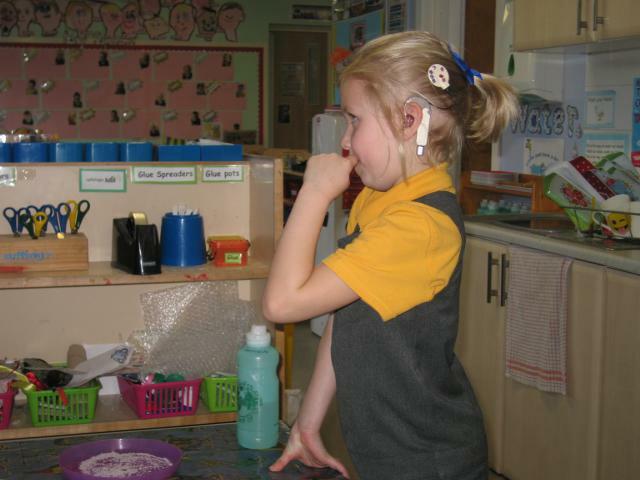 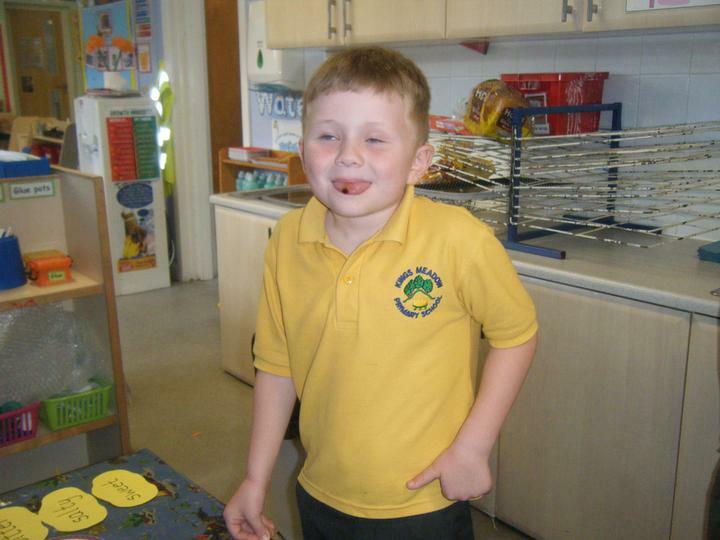 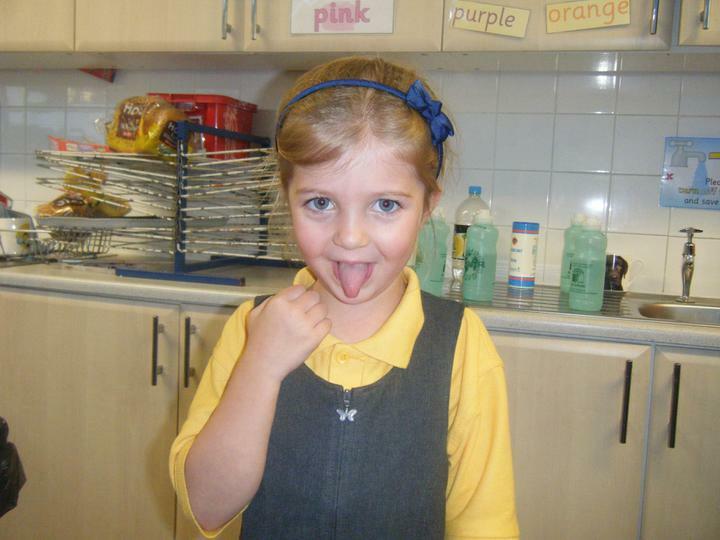 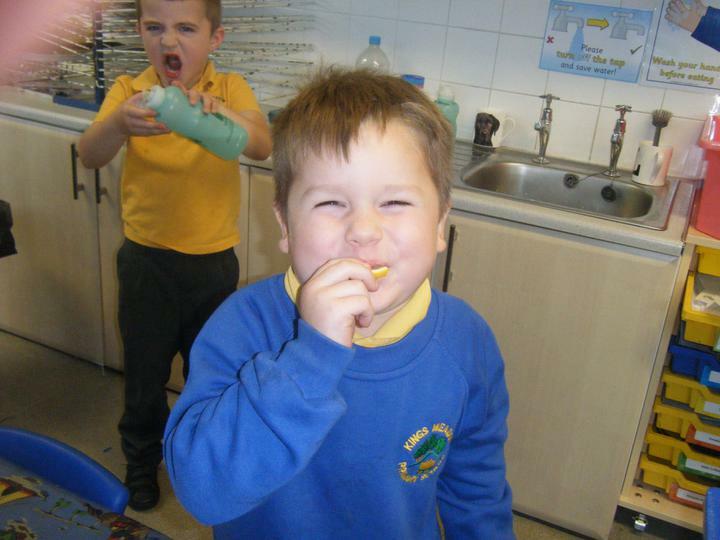 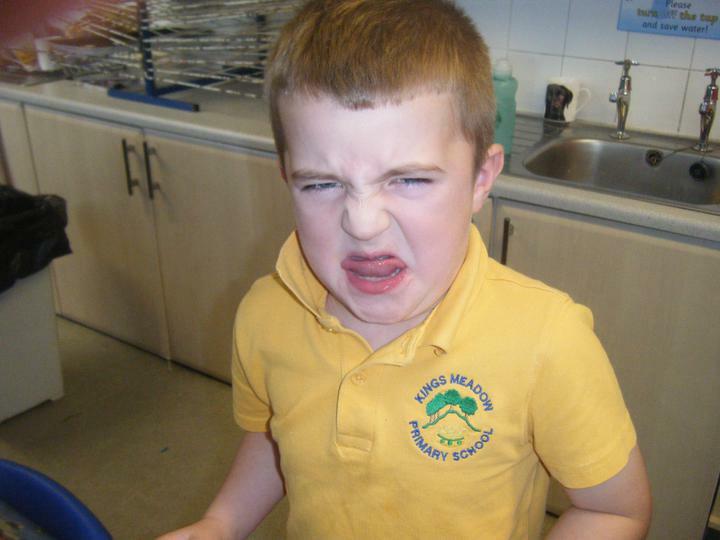 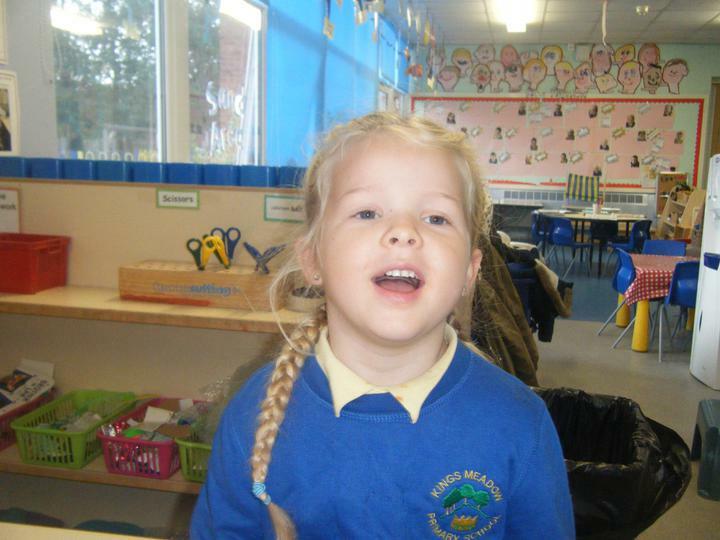 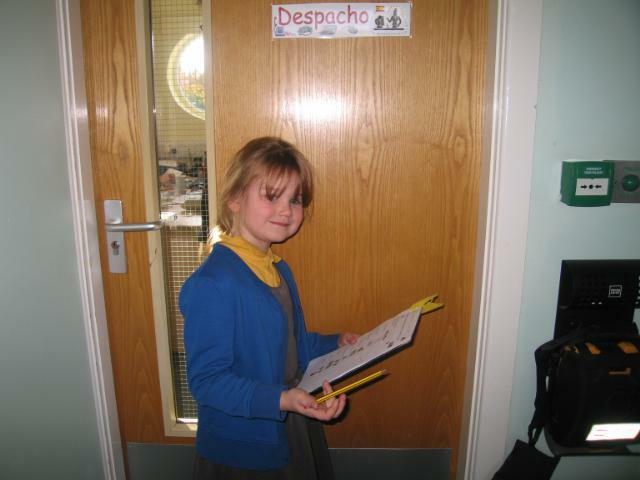 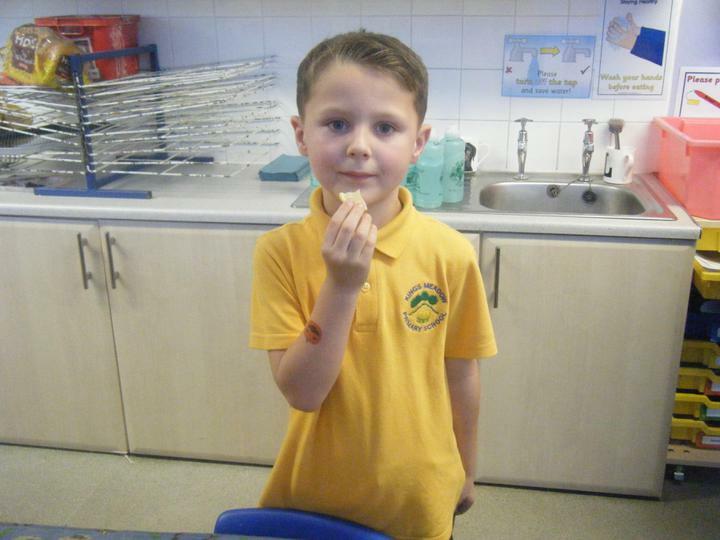 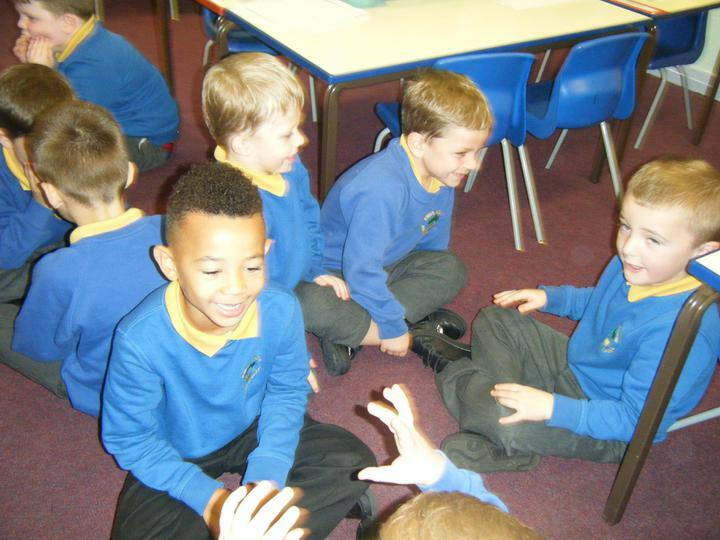 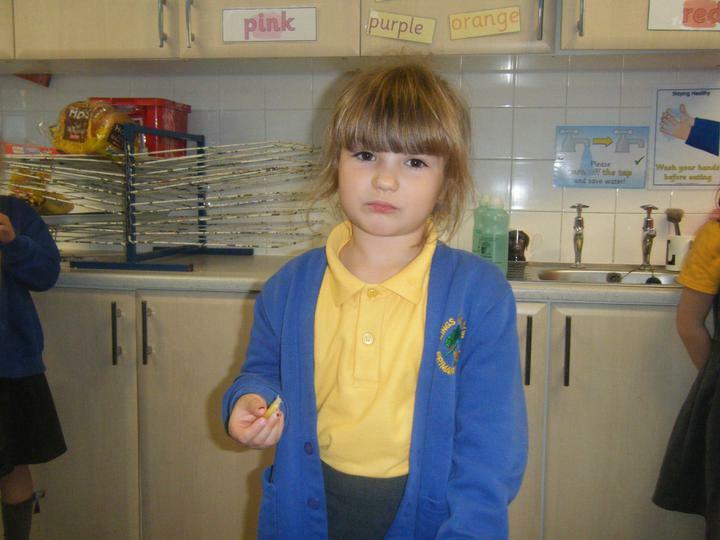 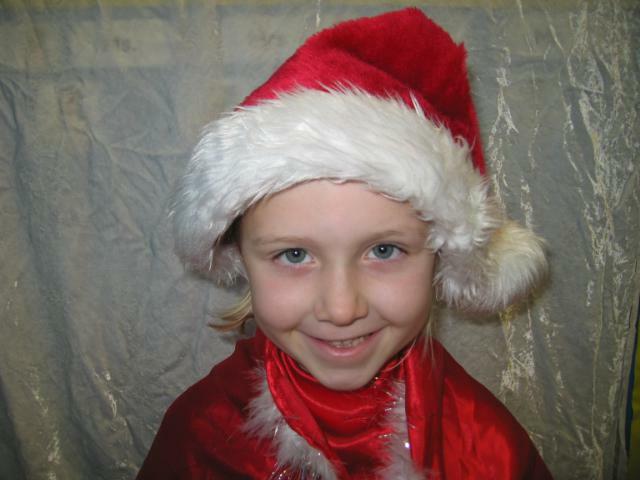 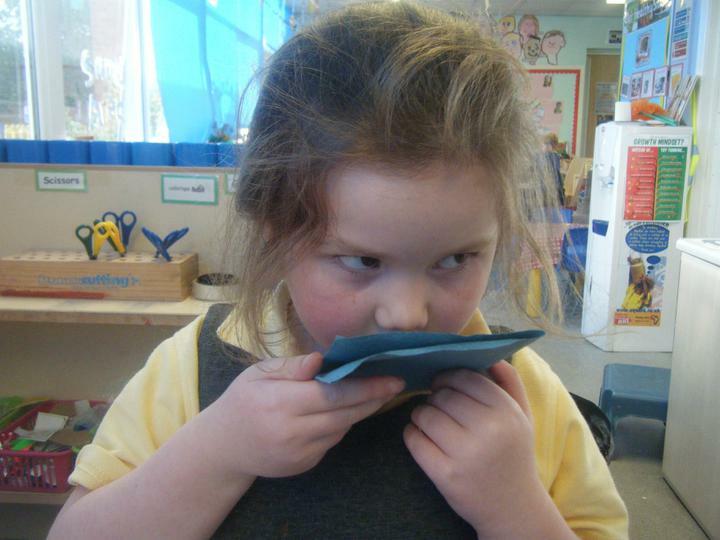 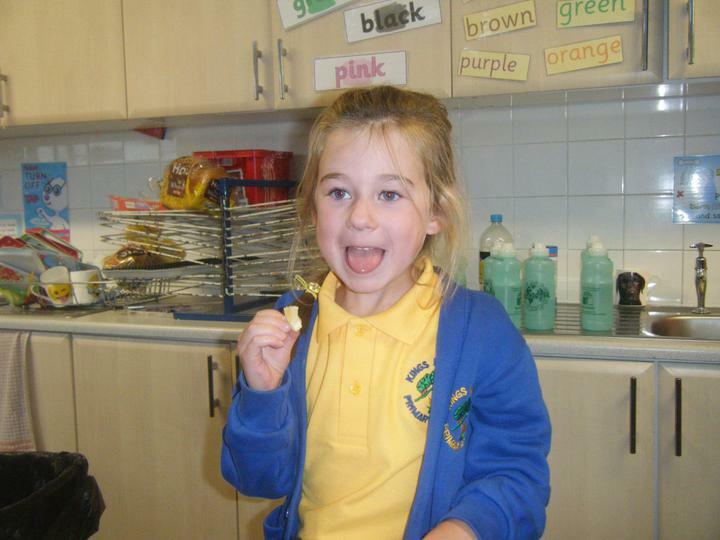 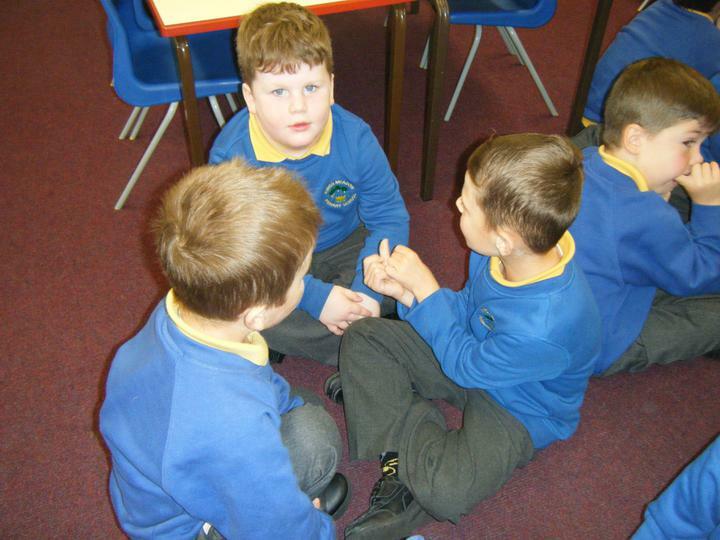 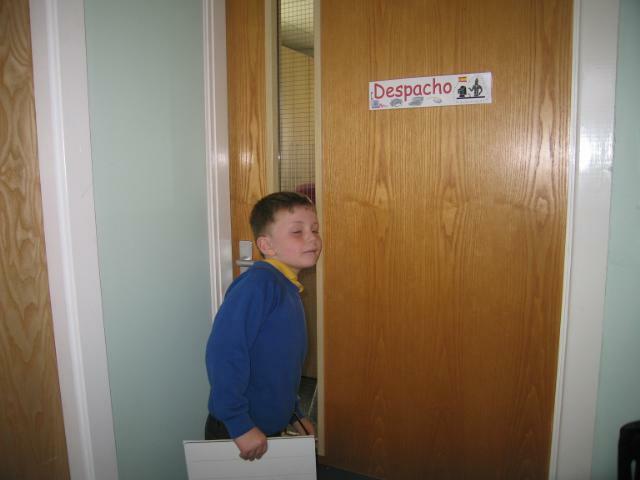 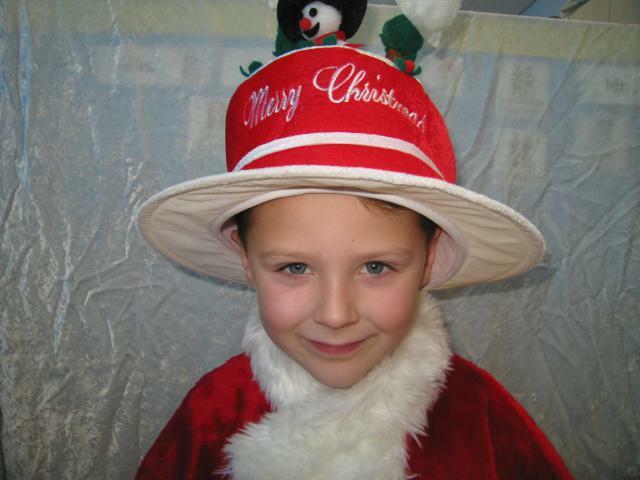 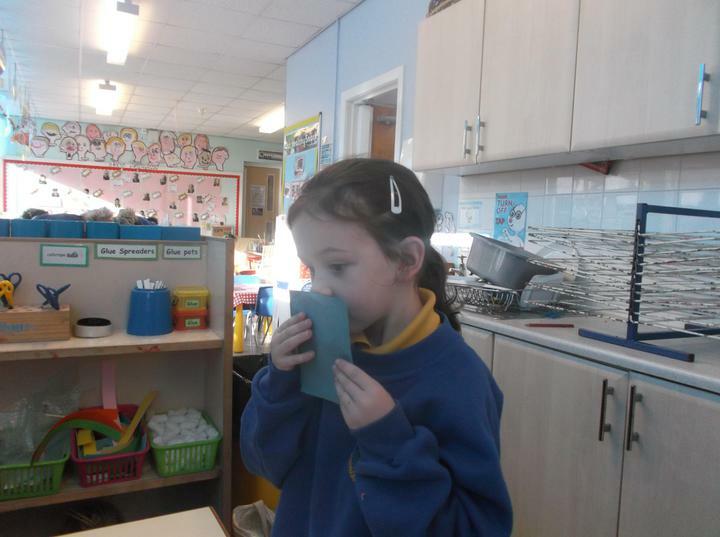 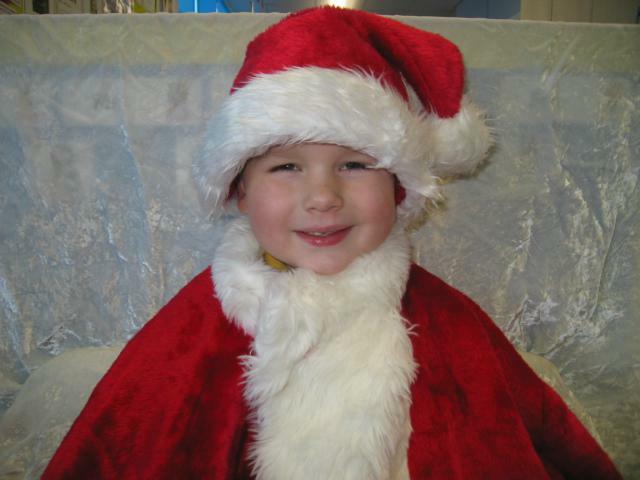 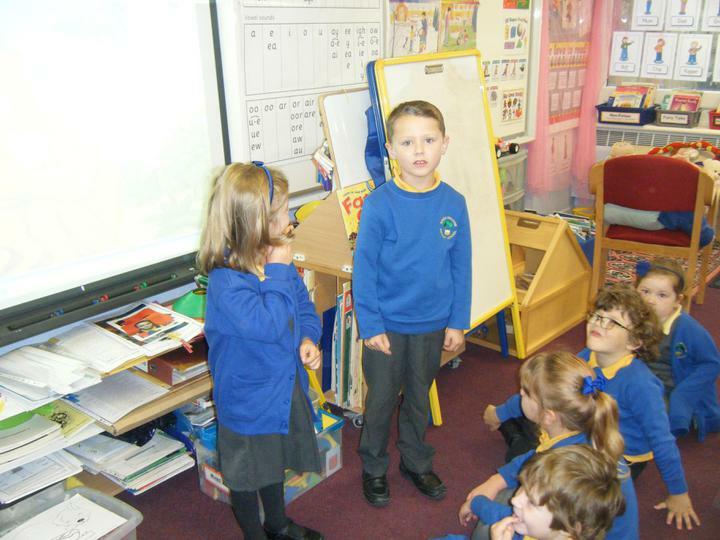 Beech class have been working on Spoken Language. 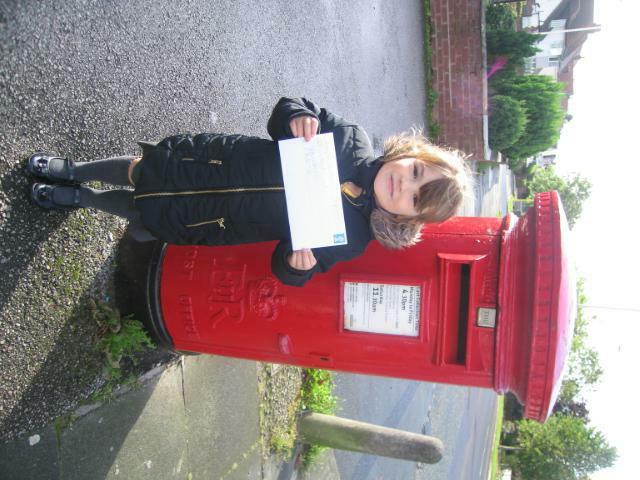 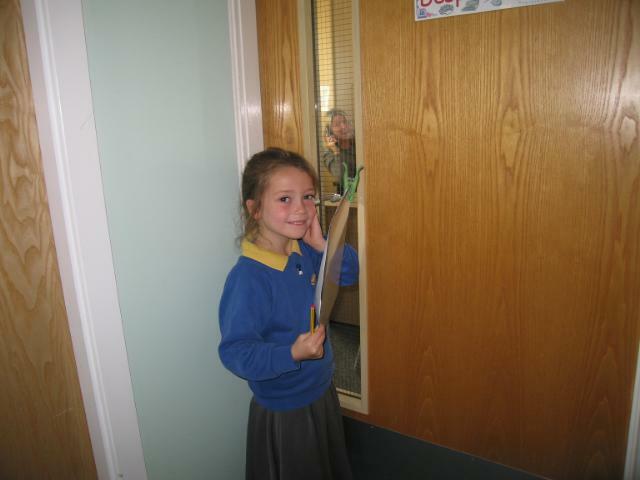 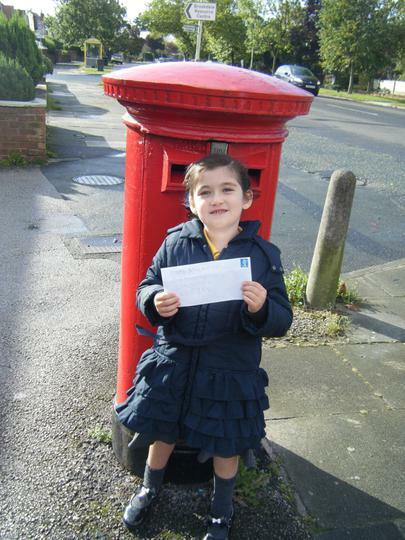 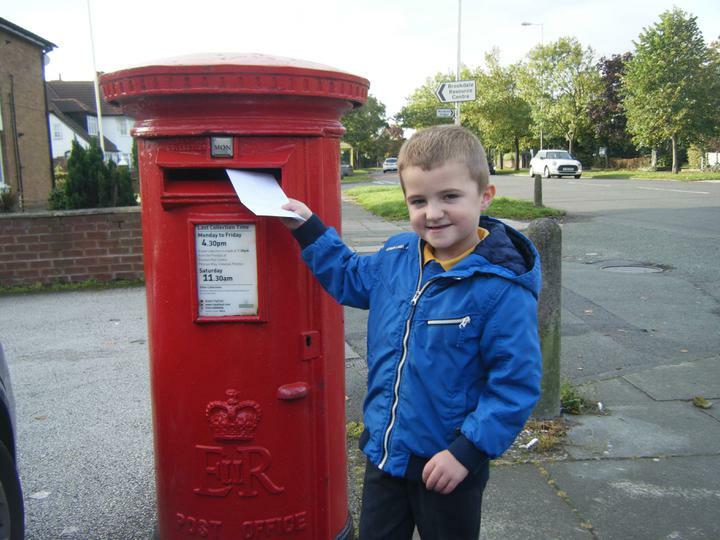 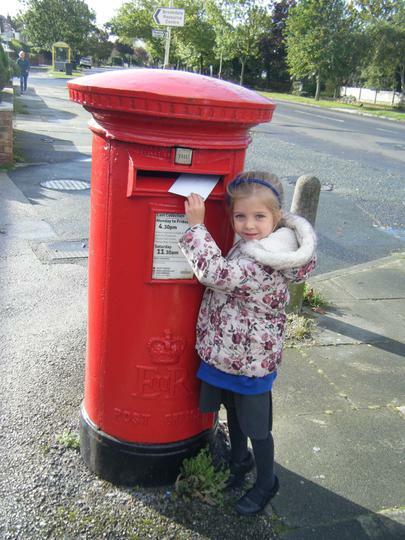 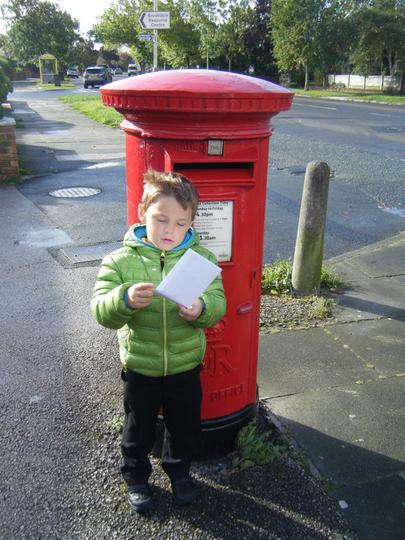 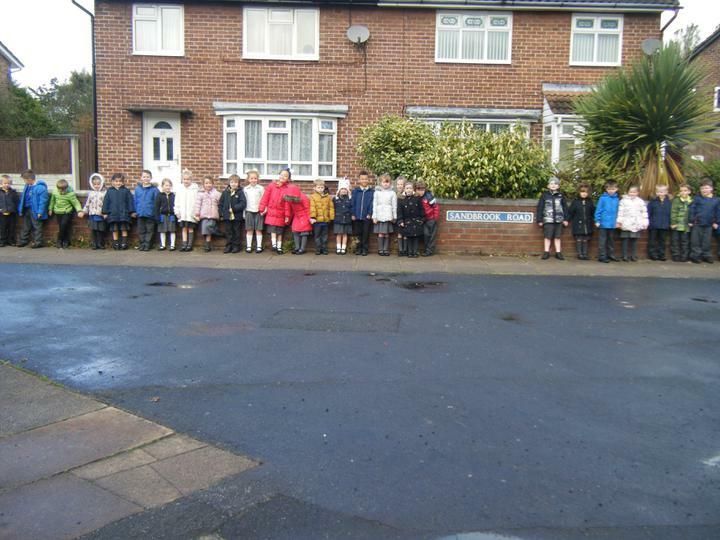 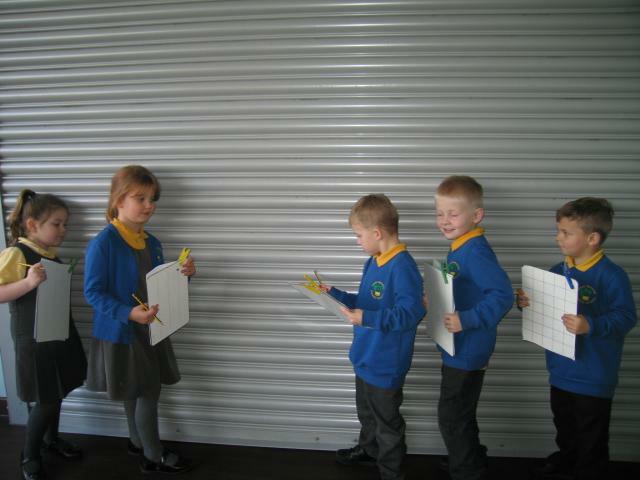 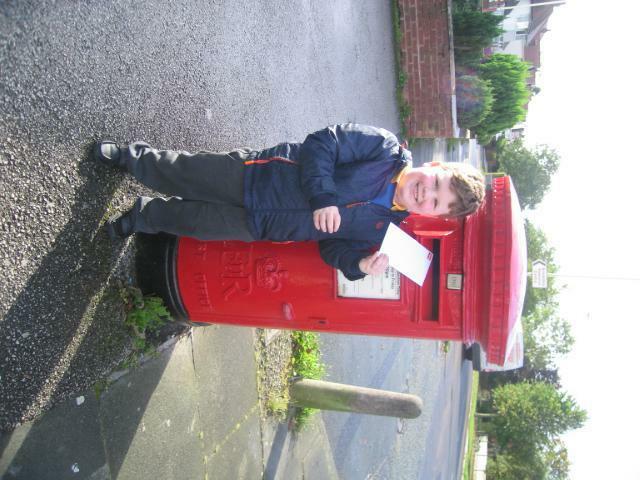 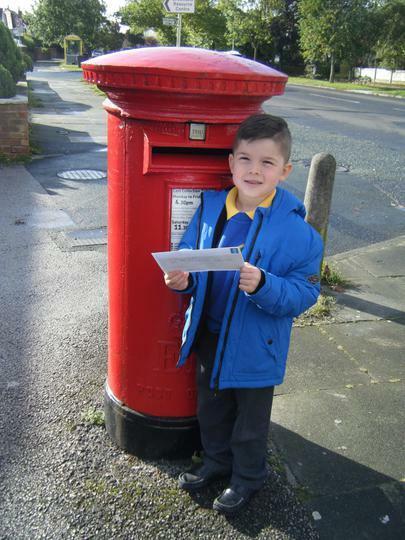 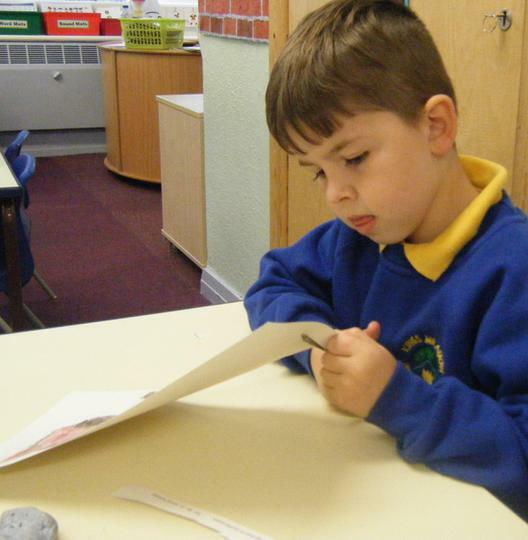 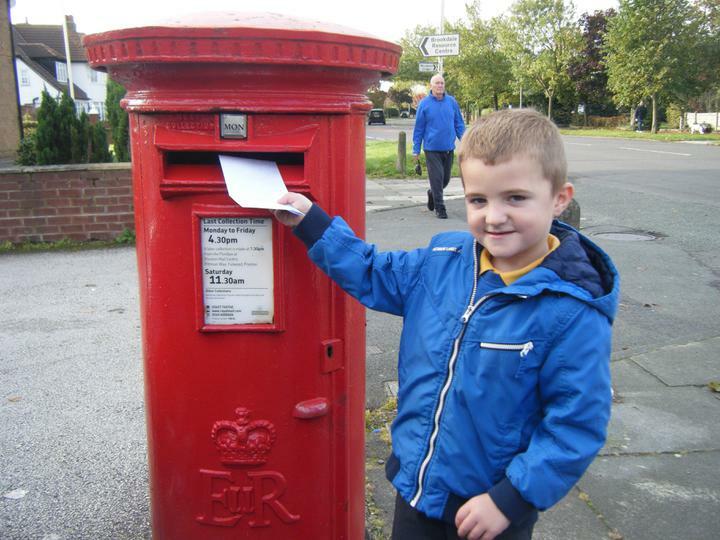 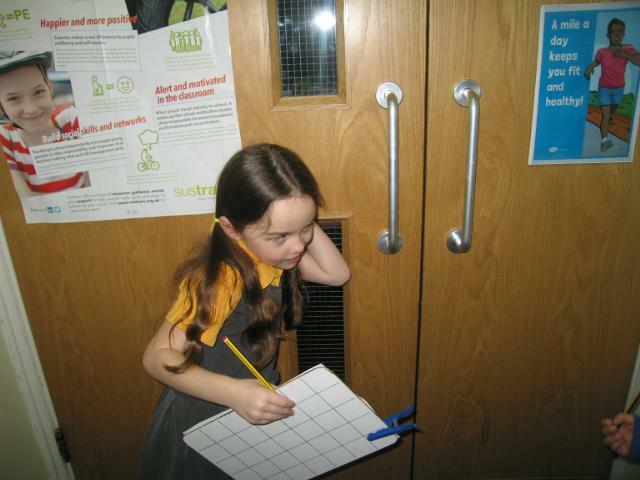 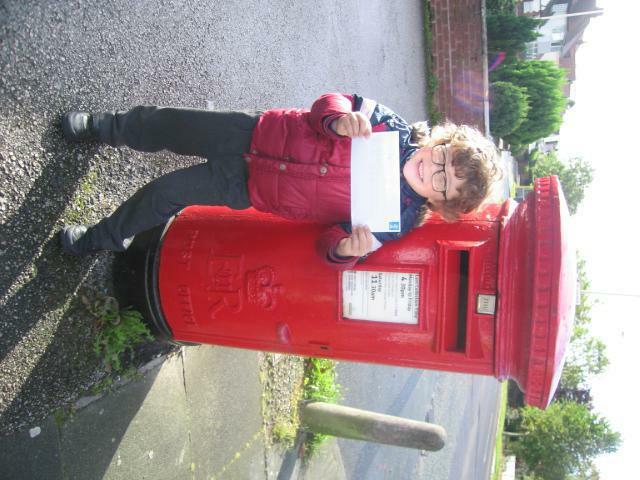 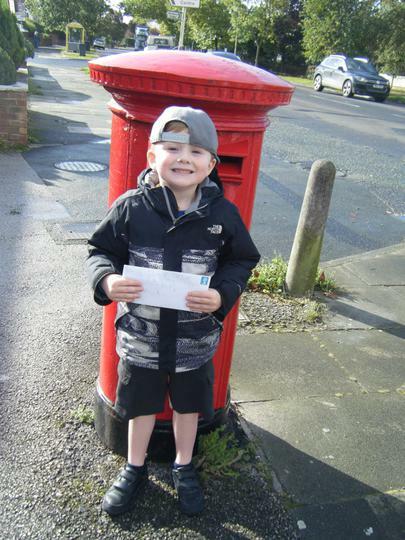 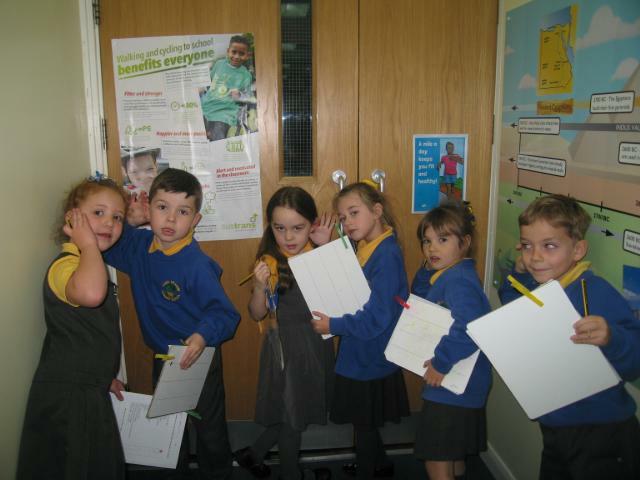 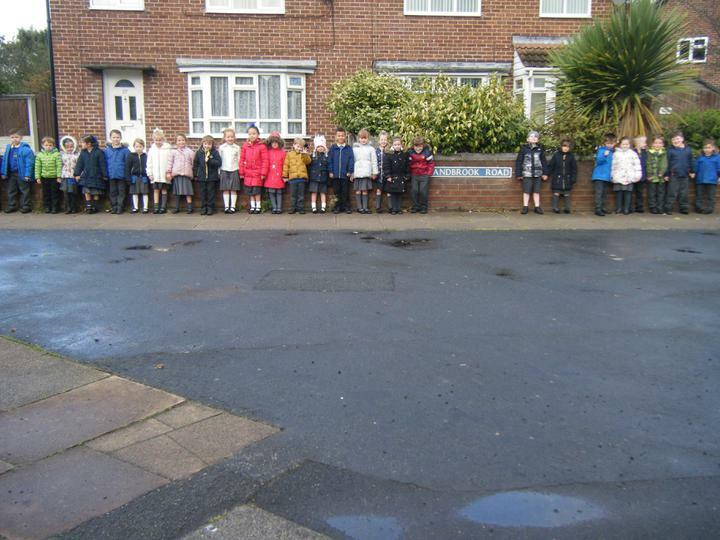 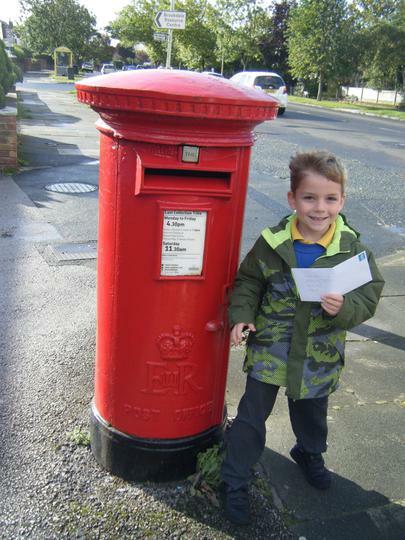 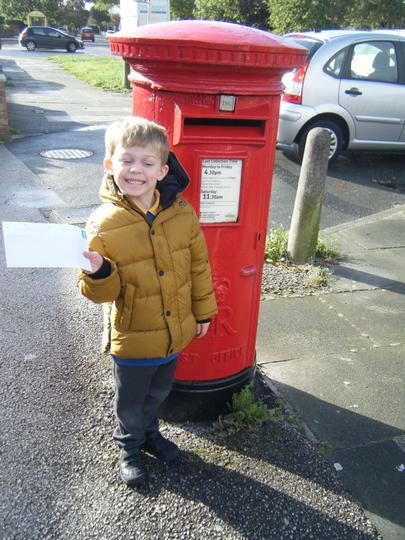 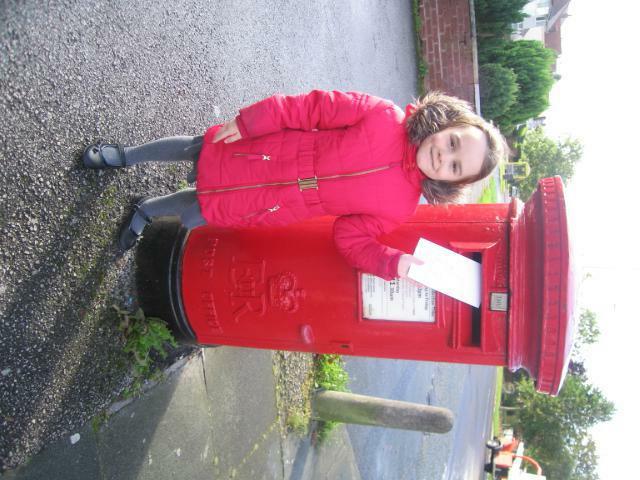 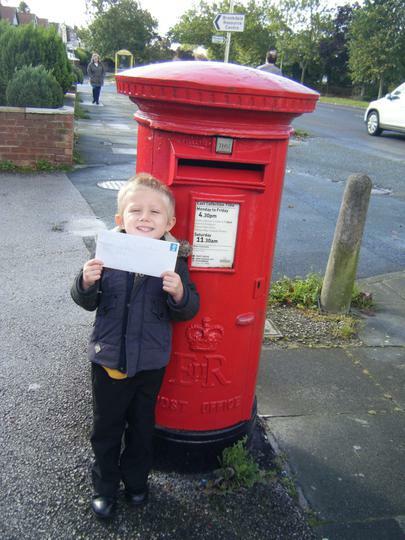 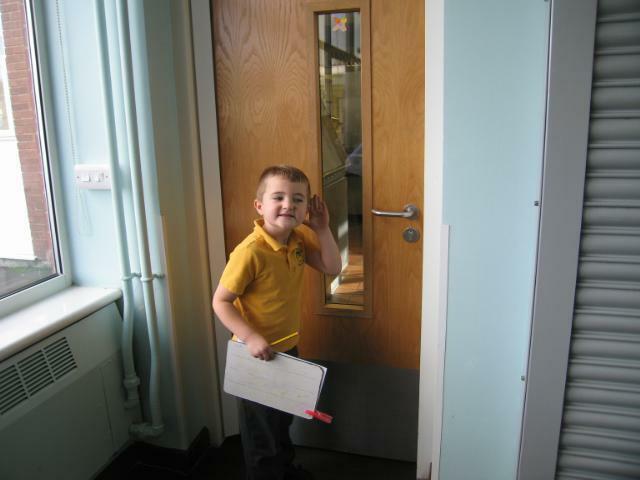 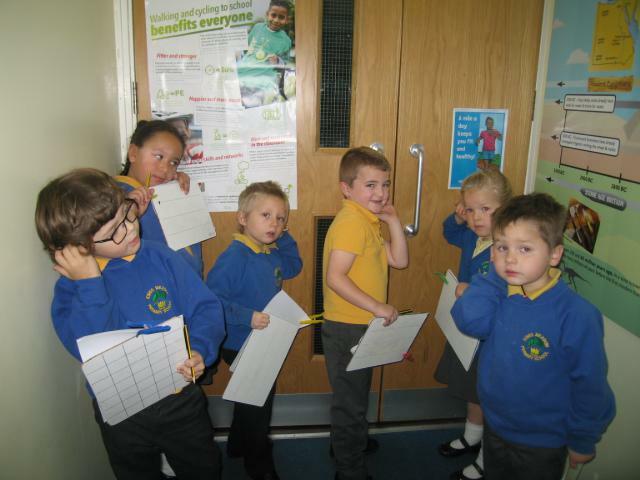 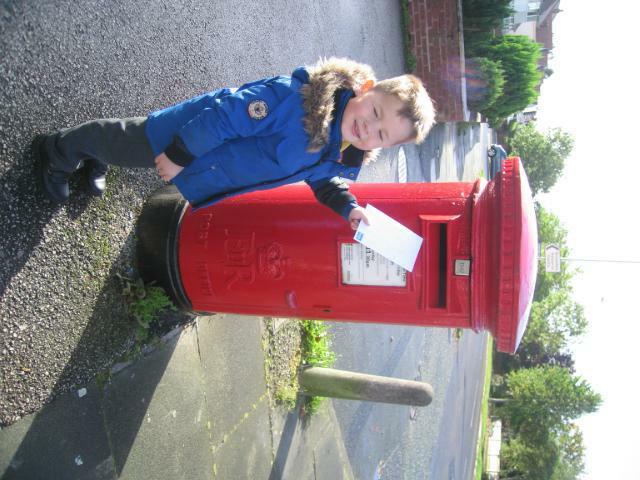 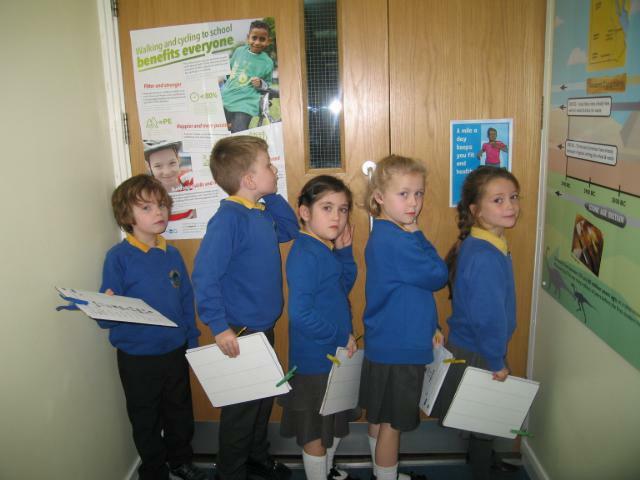 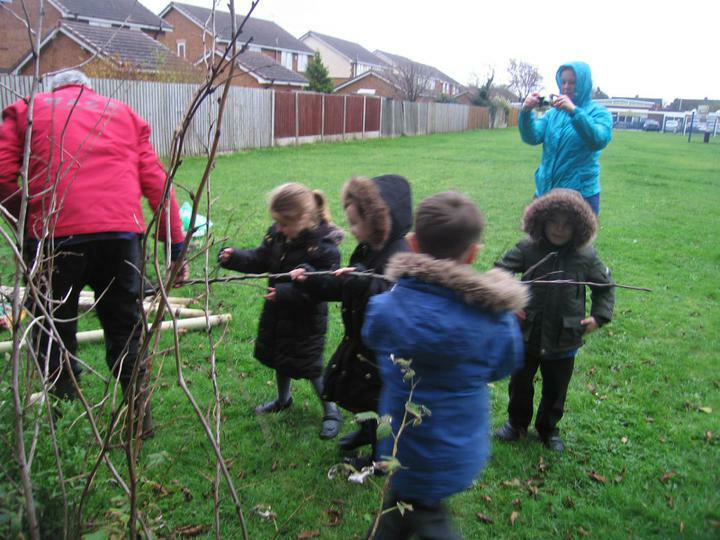 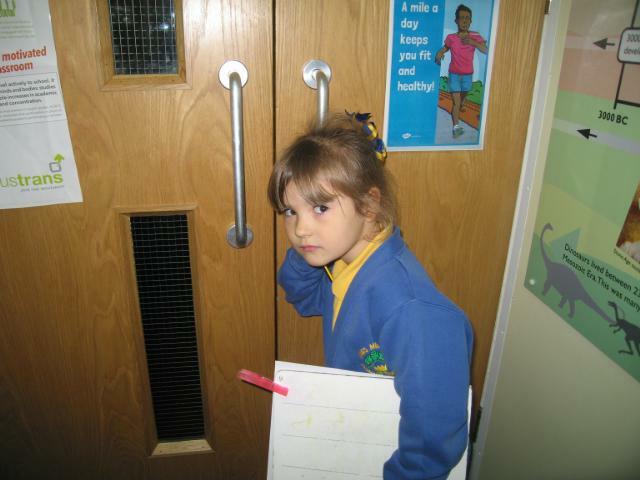 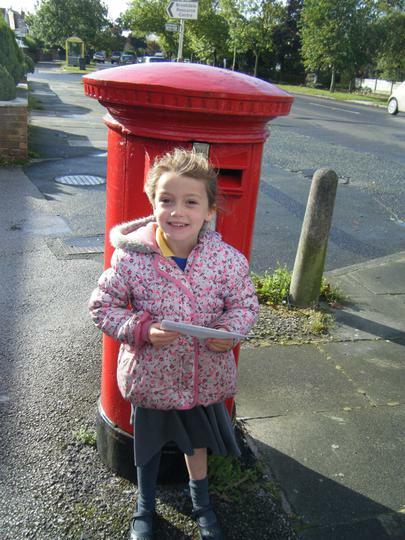 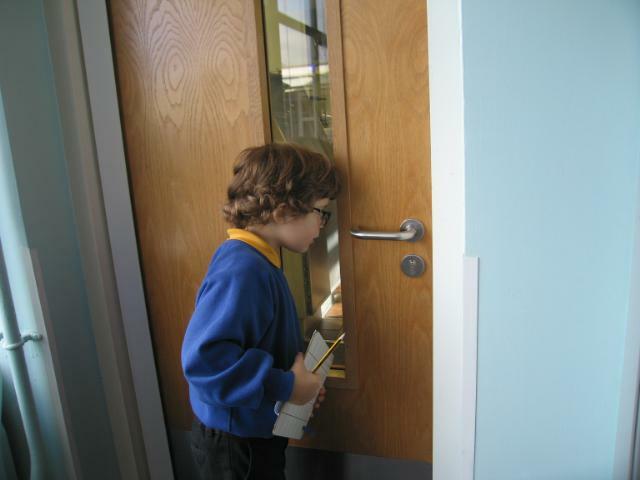 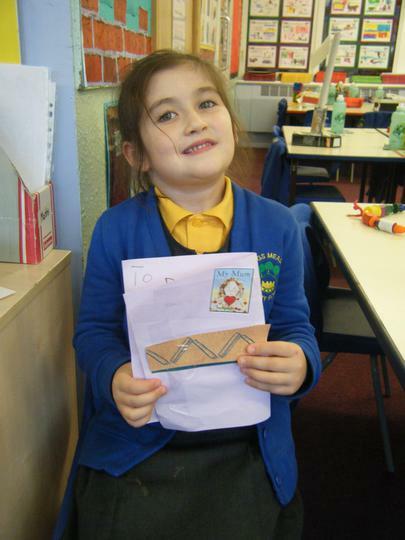 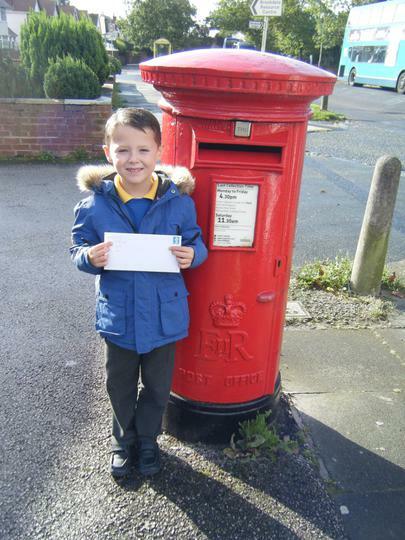 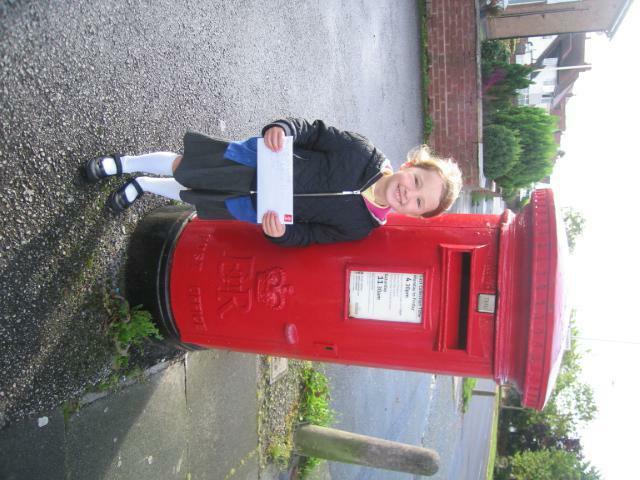 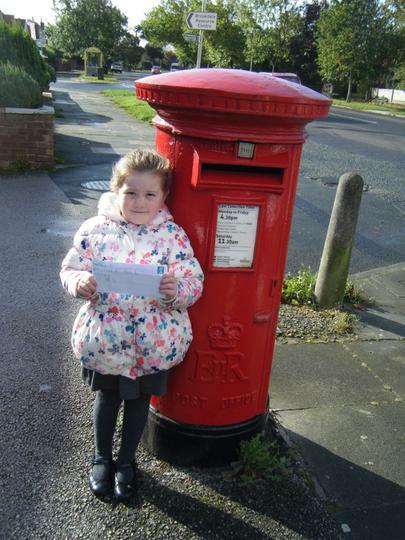 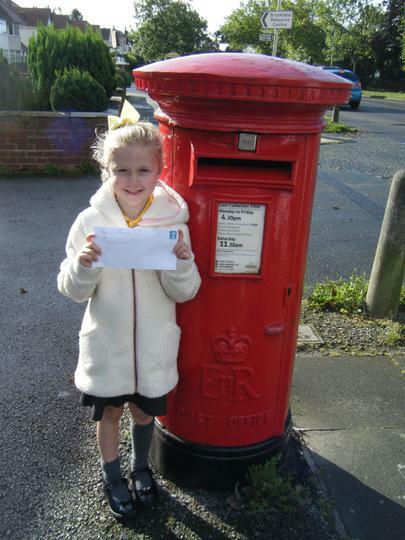 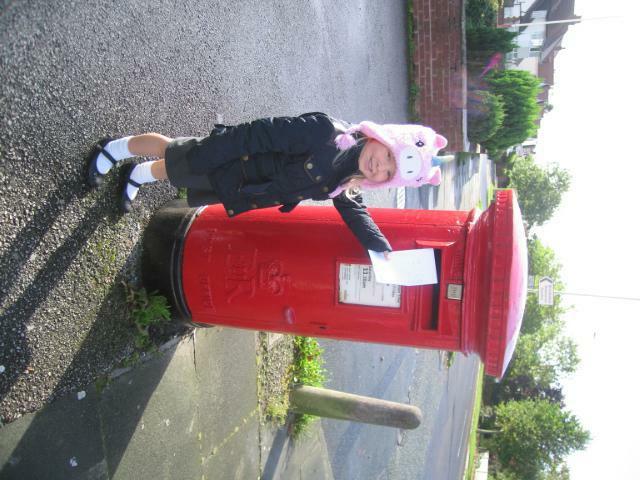 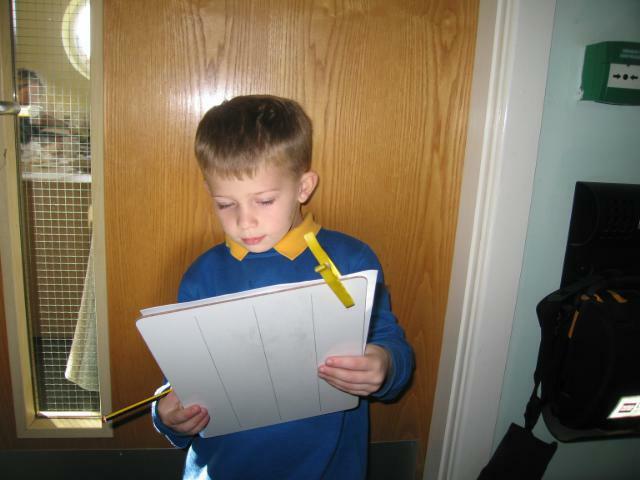 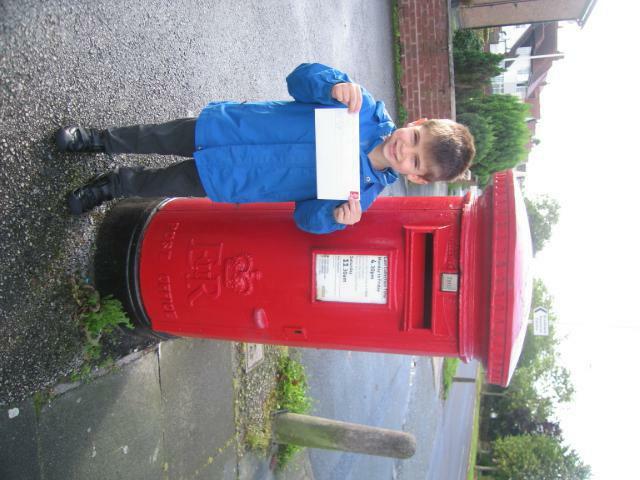 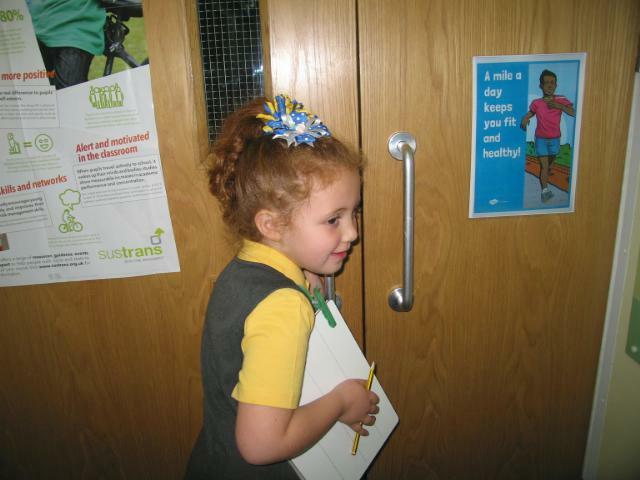 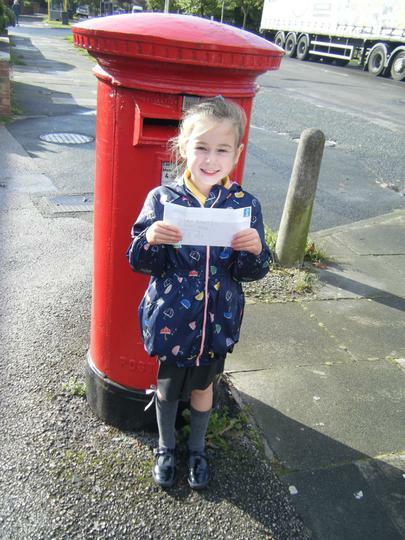 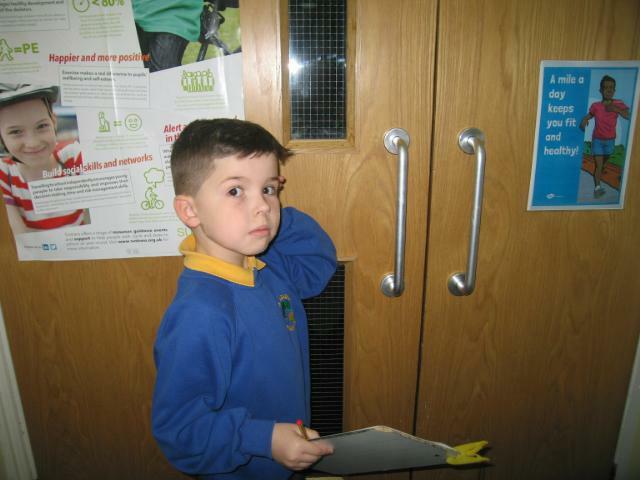 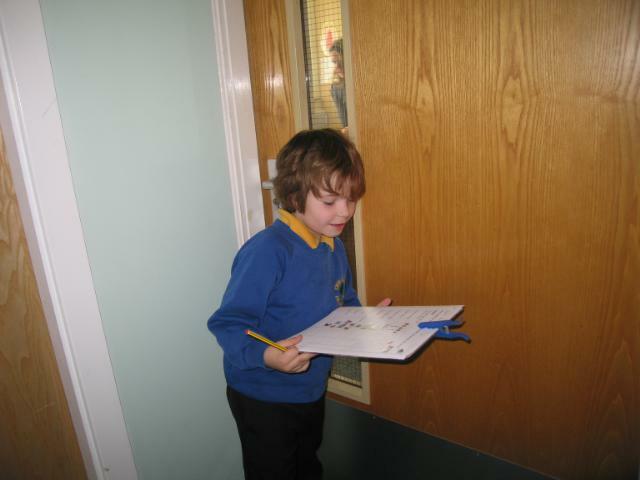 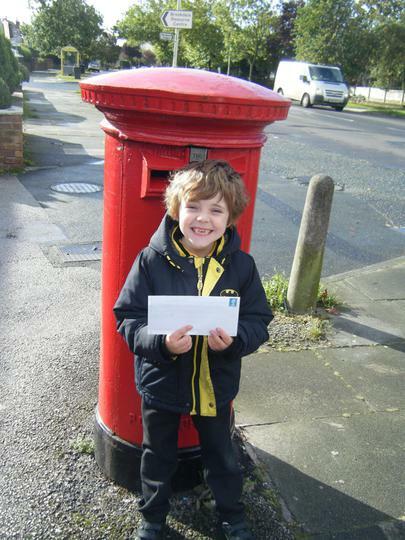 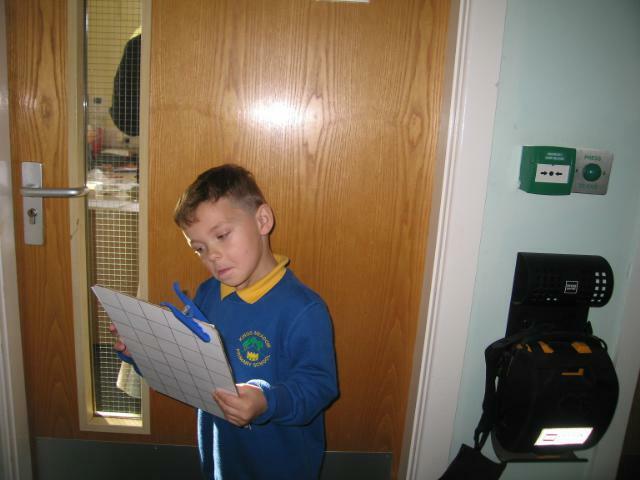 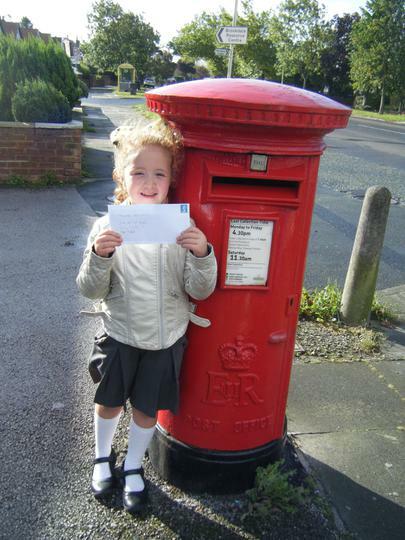 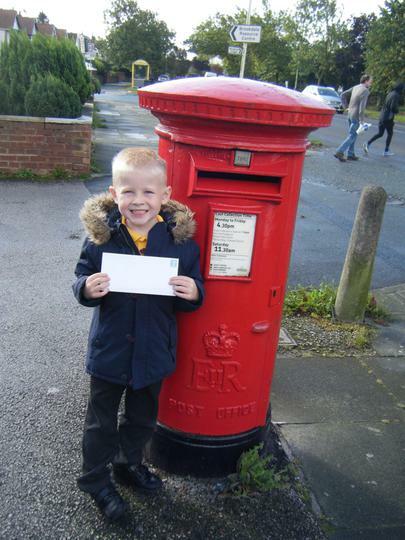 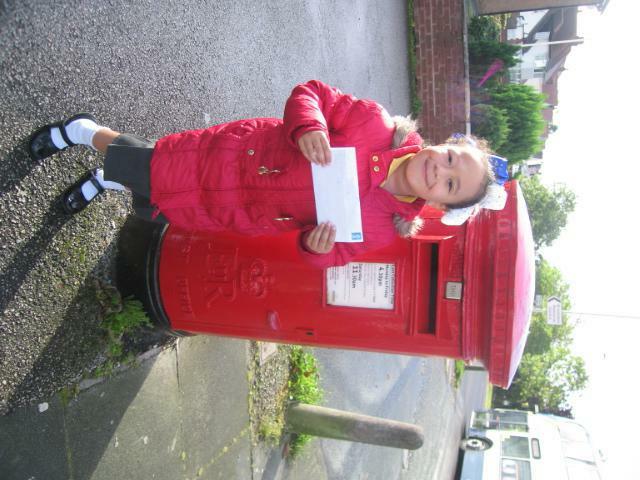 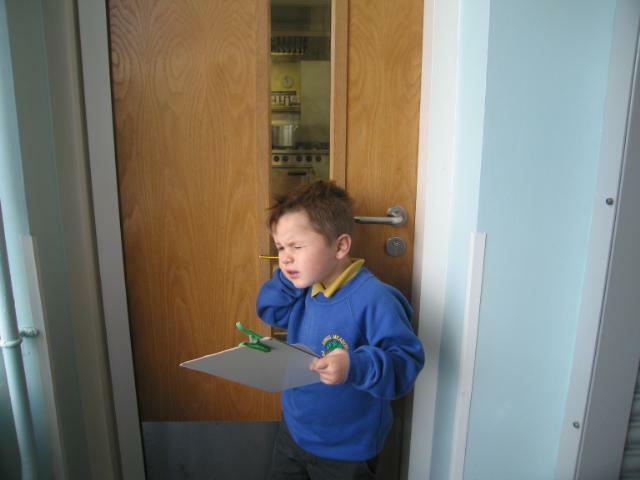 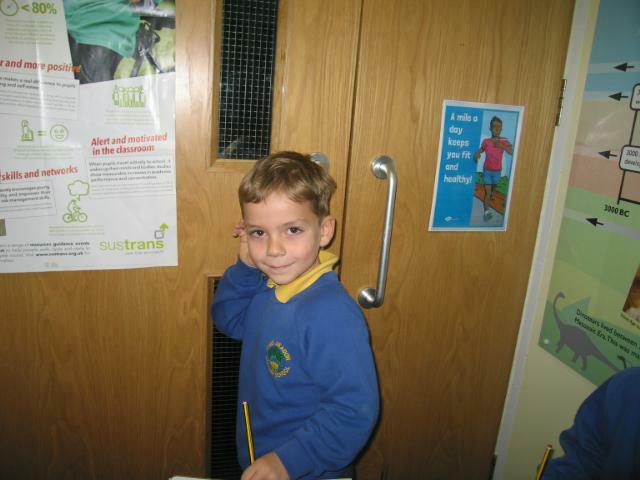 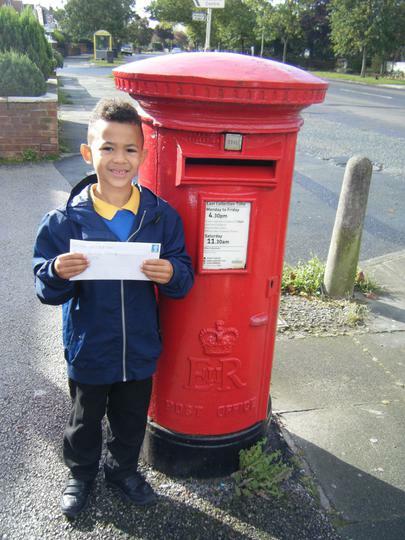 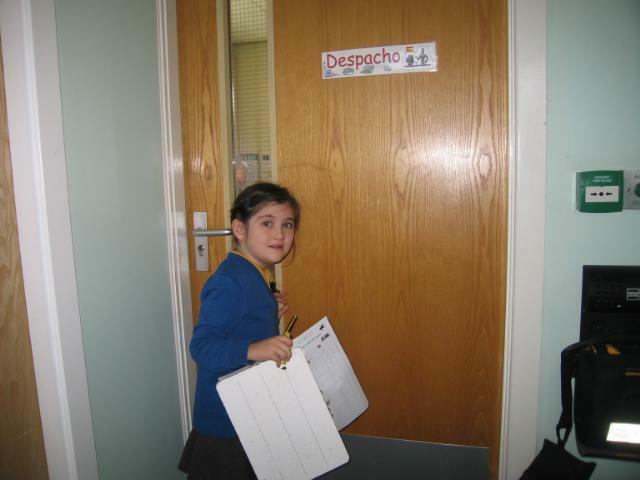 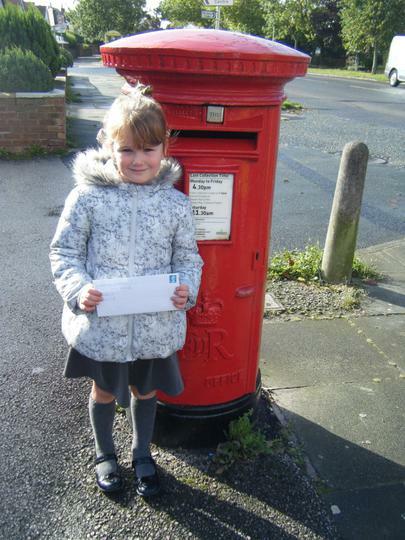 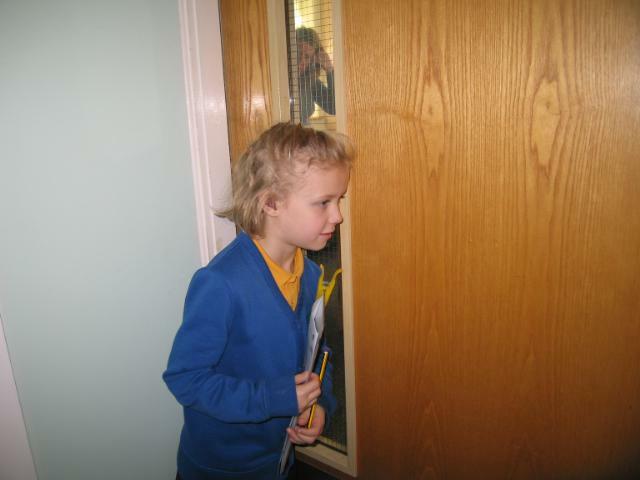 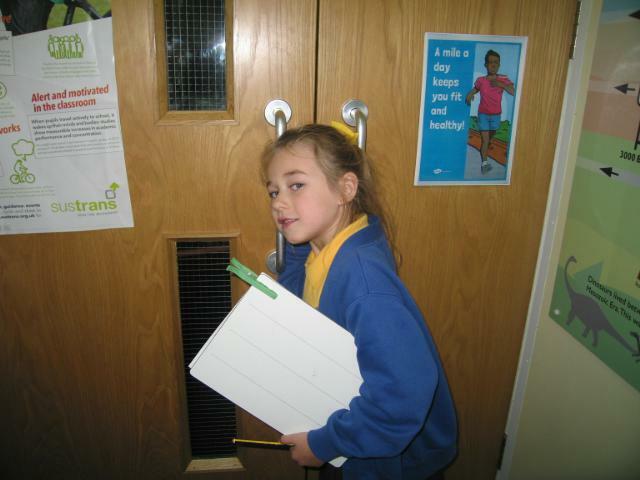 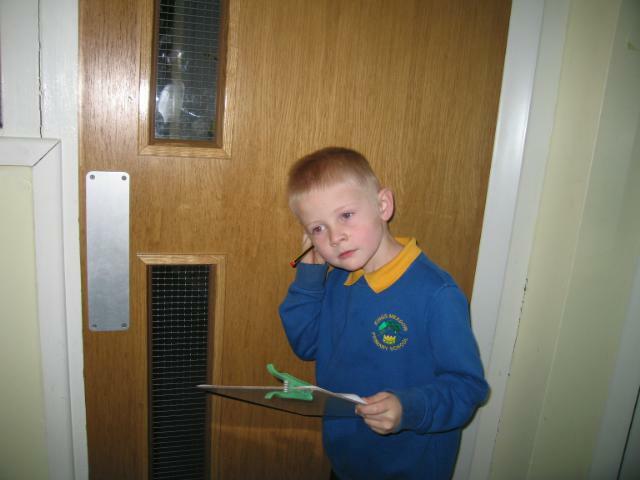 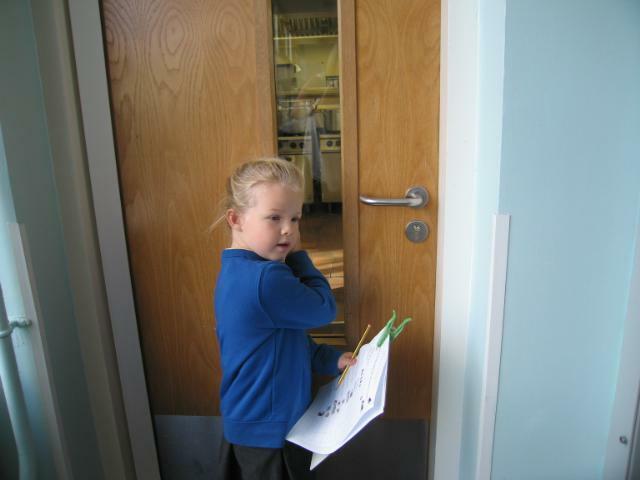 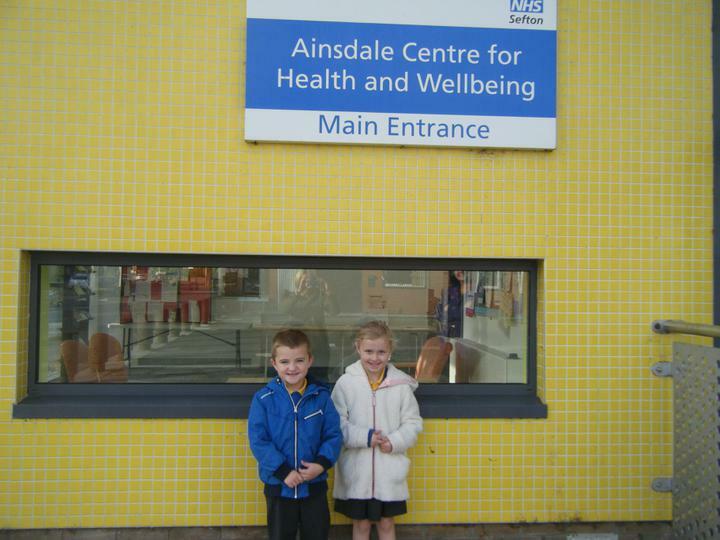 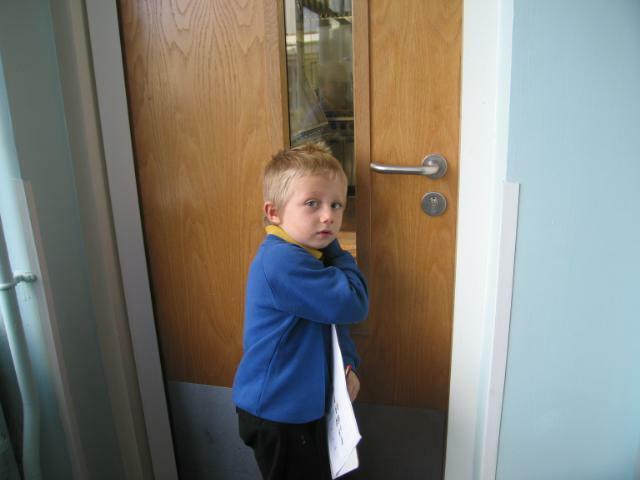 Year 1 did a walk around the local area and posted a letter to their home address. 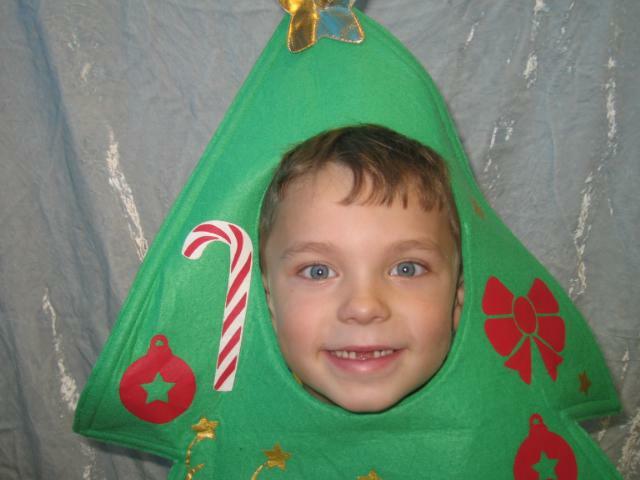 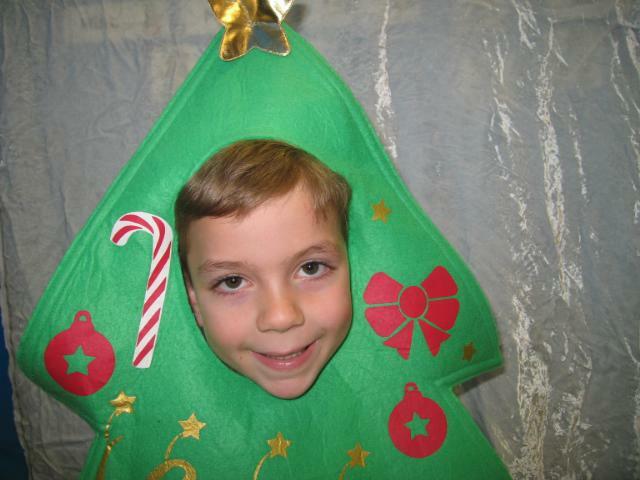 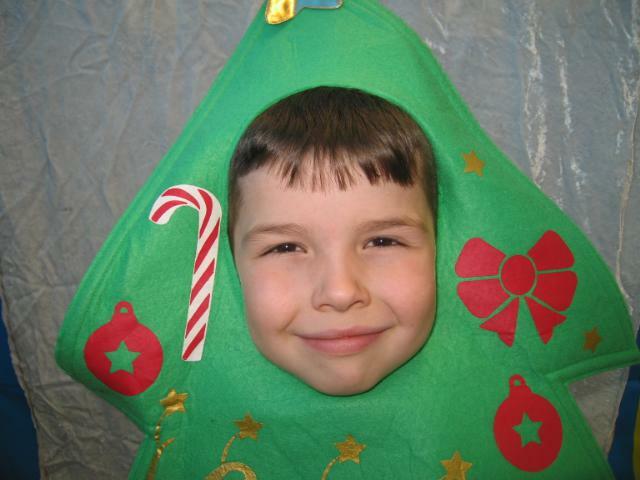 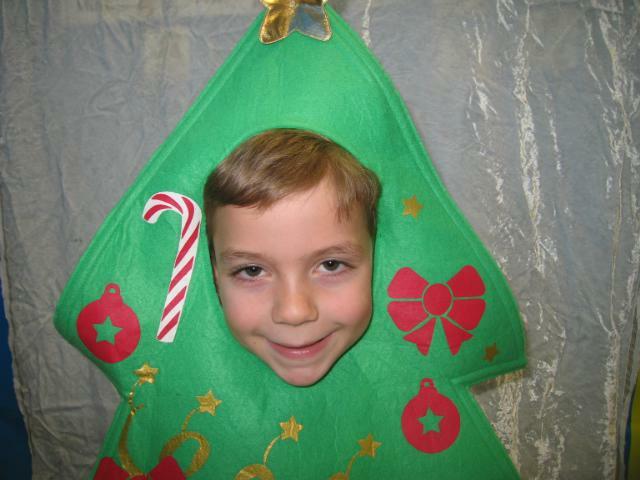 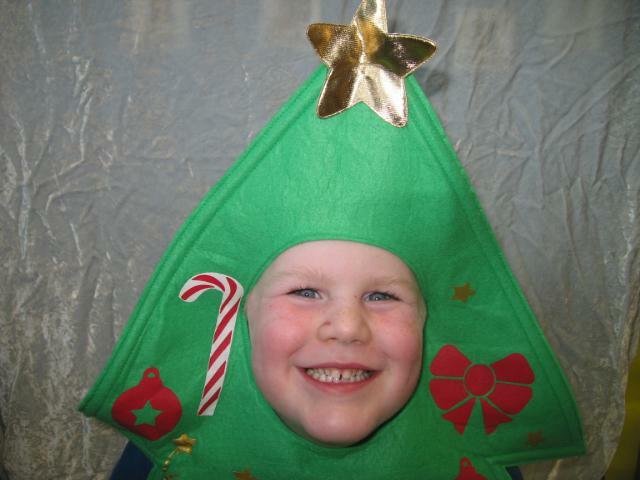 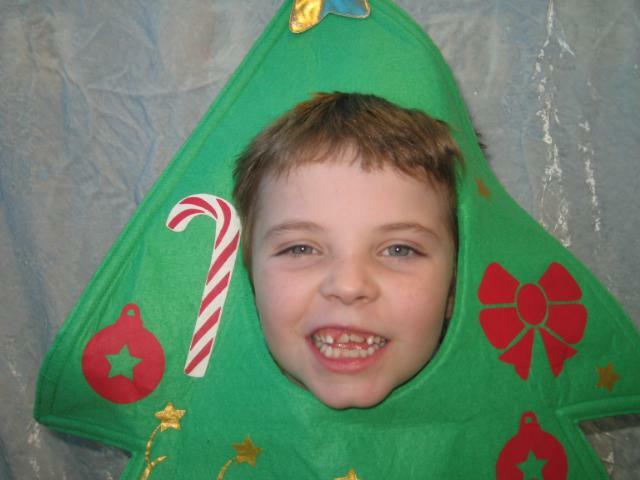 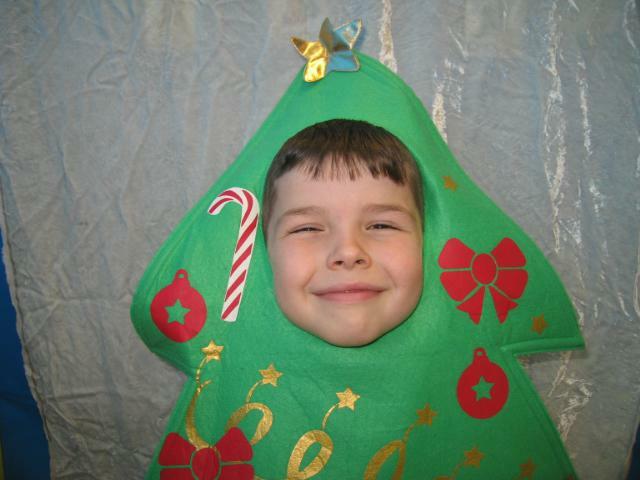 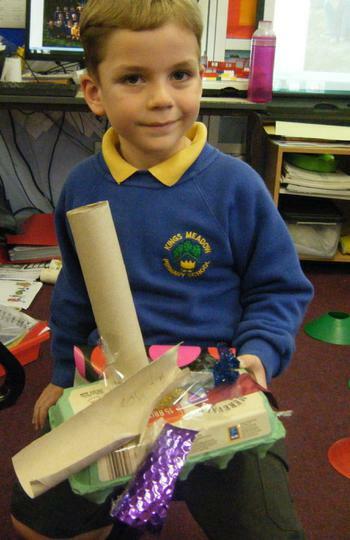 We all created something special. 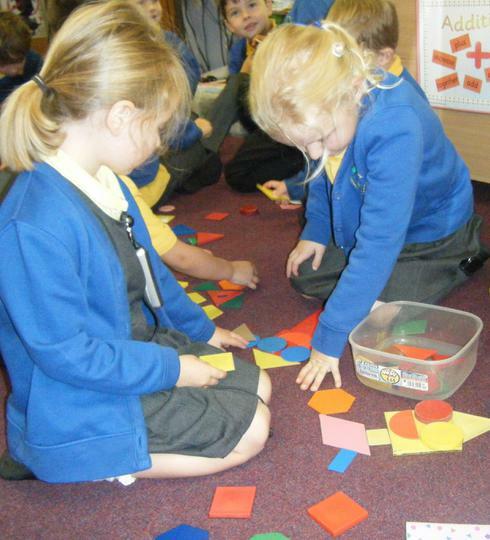 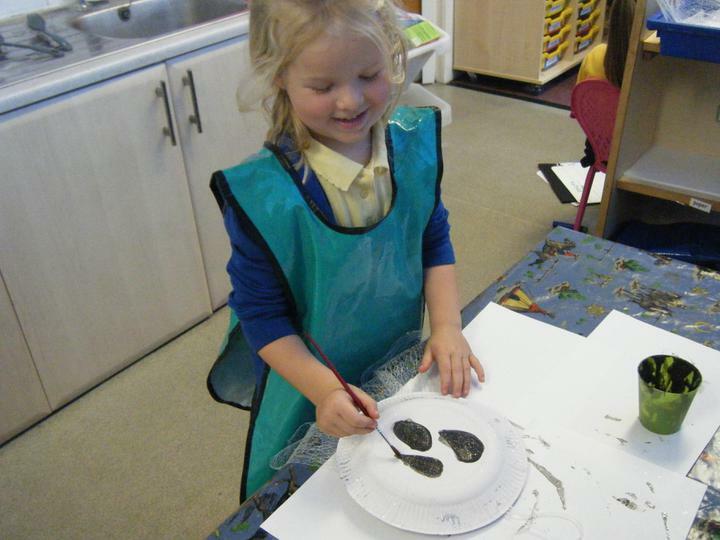 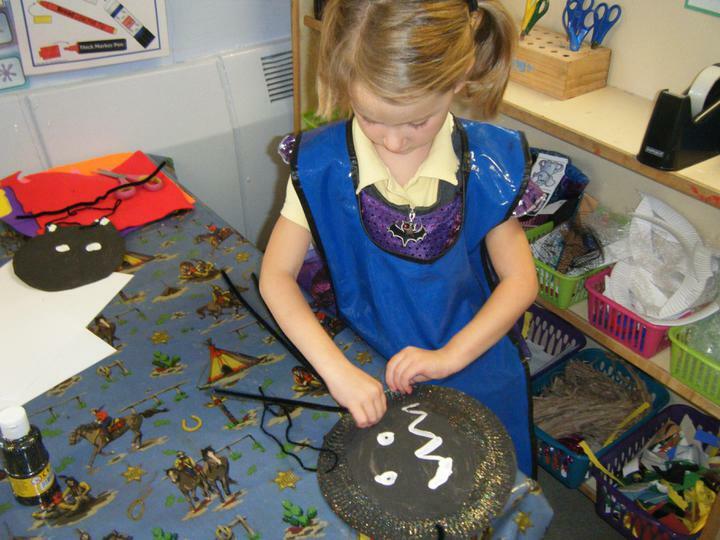 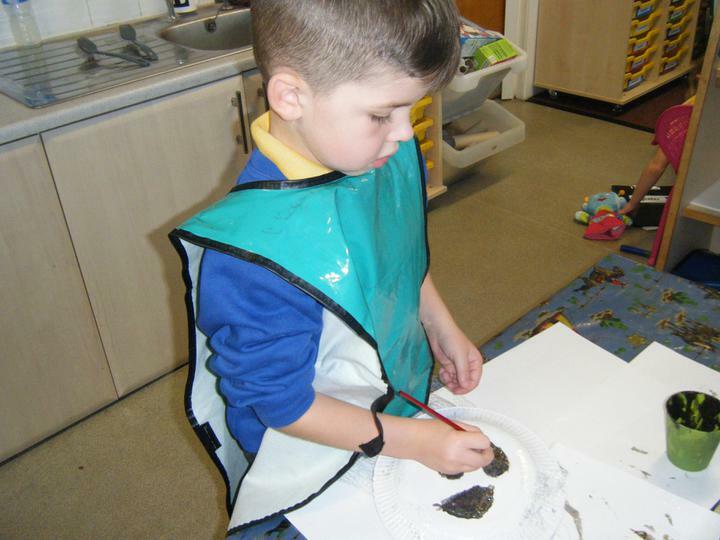 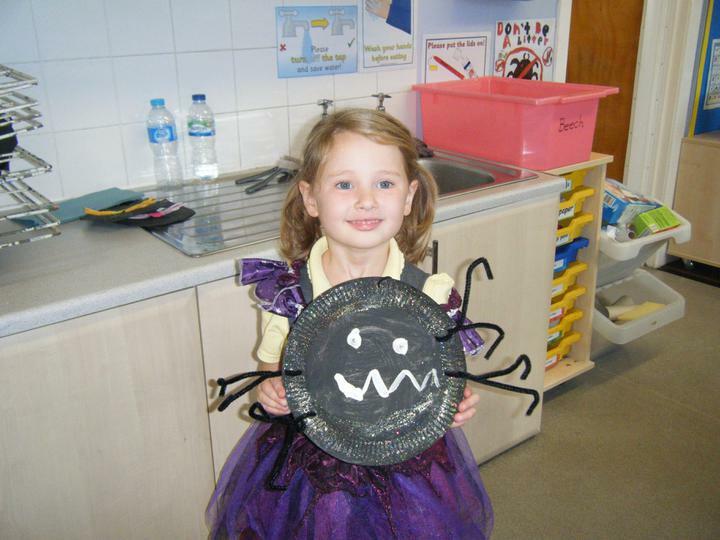 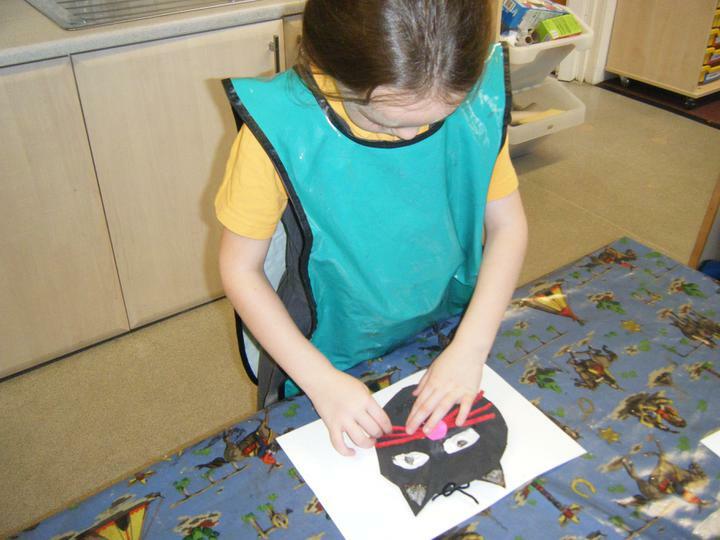 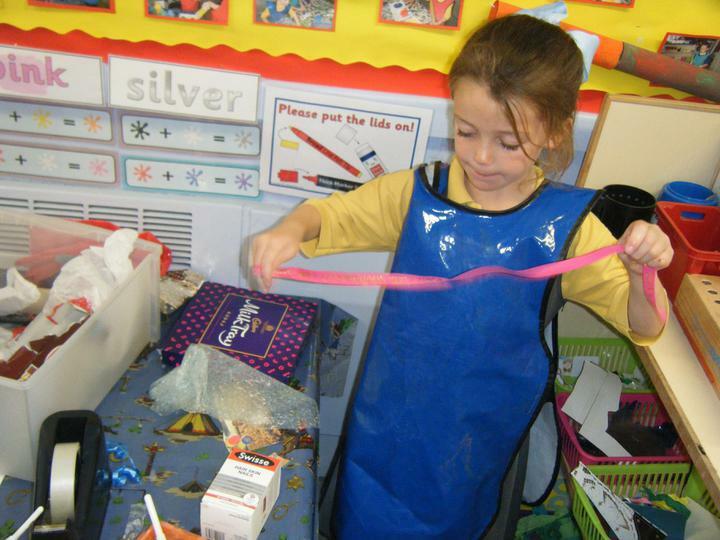 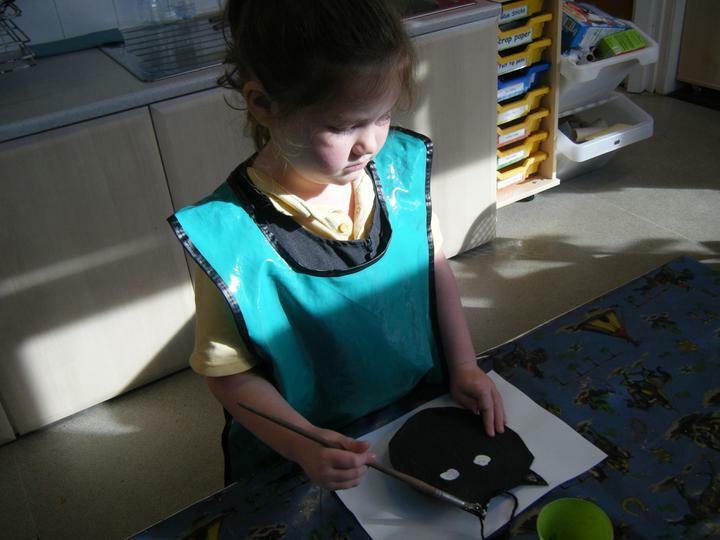 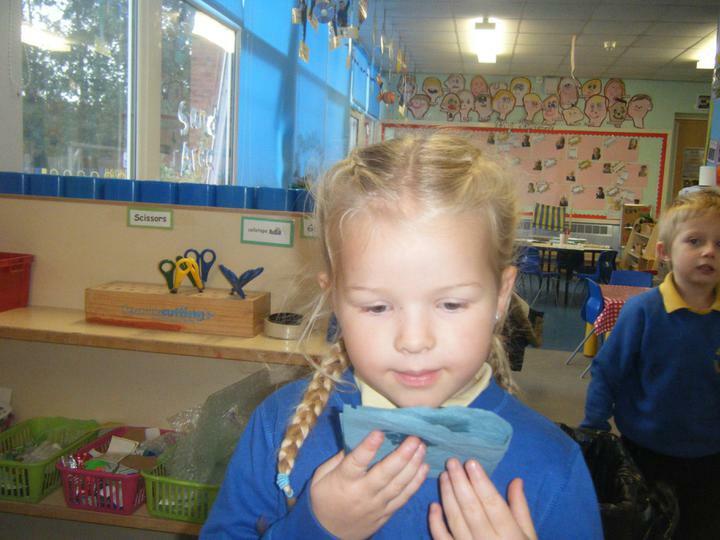 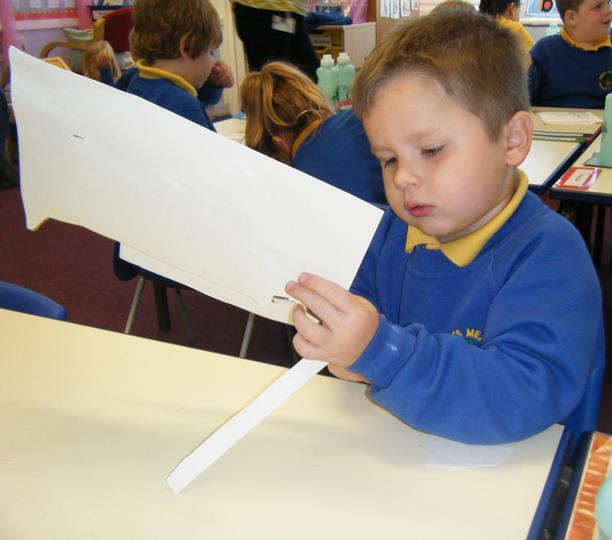 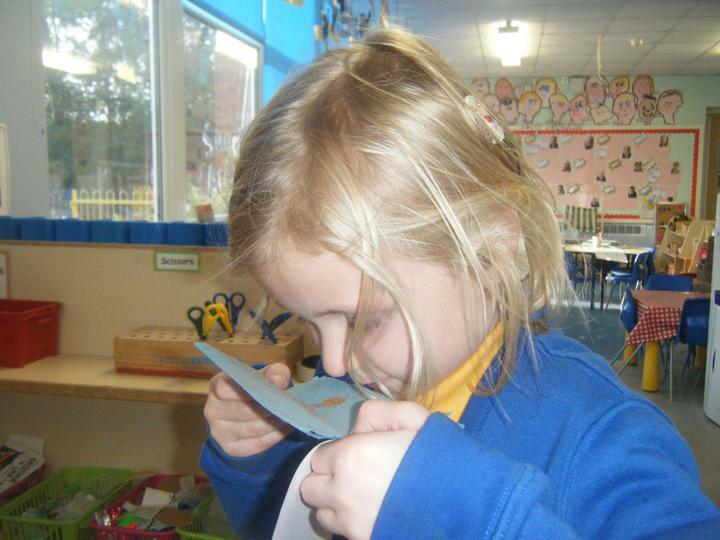 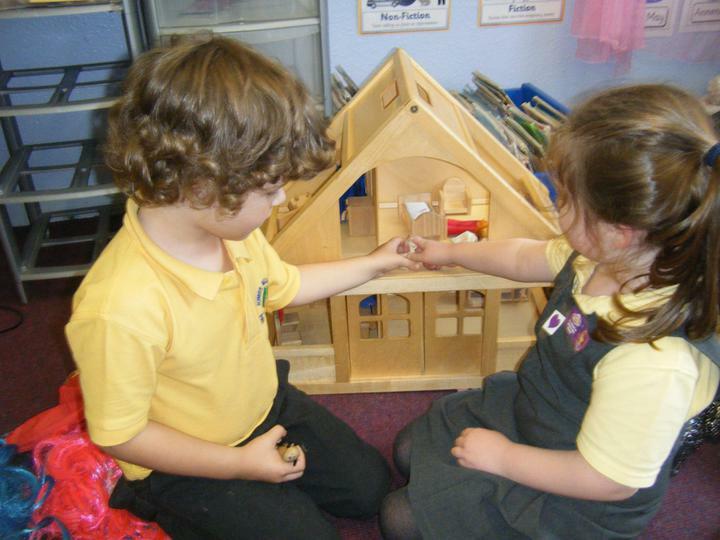 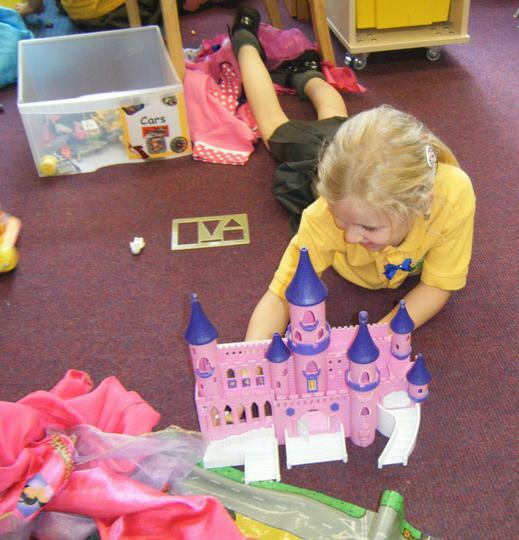 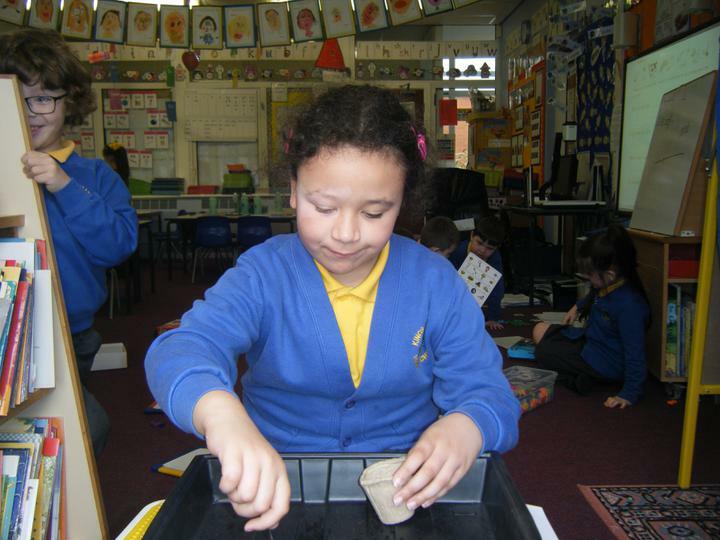 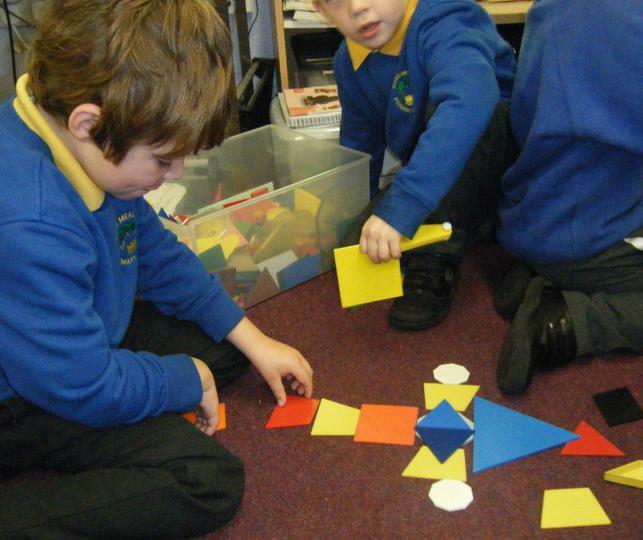 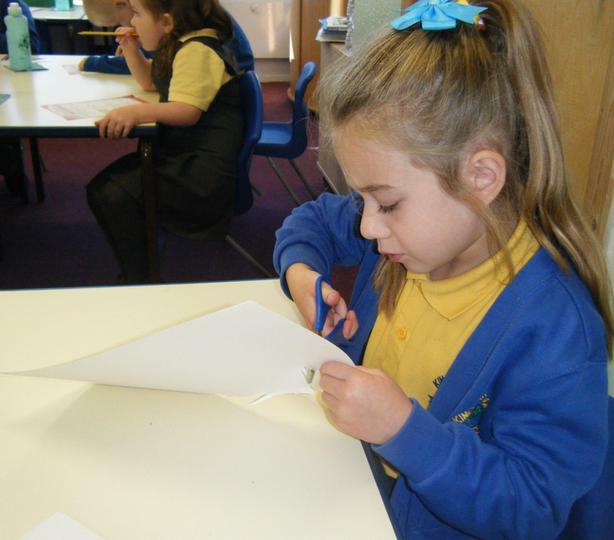 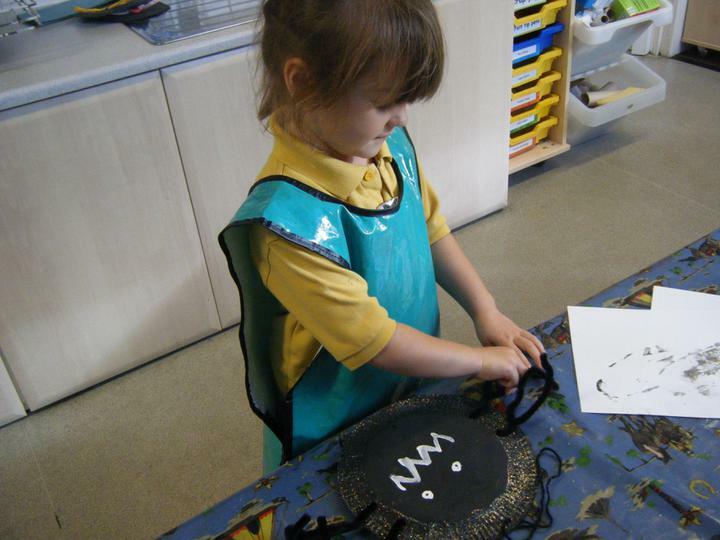 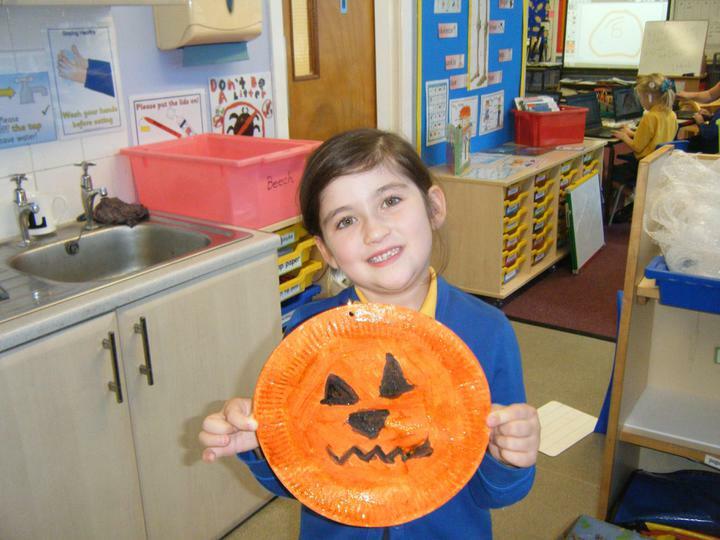 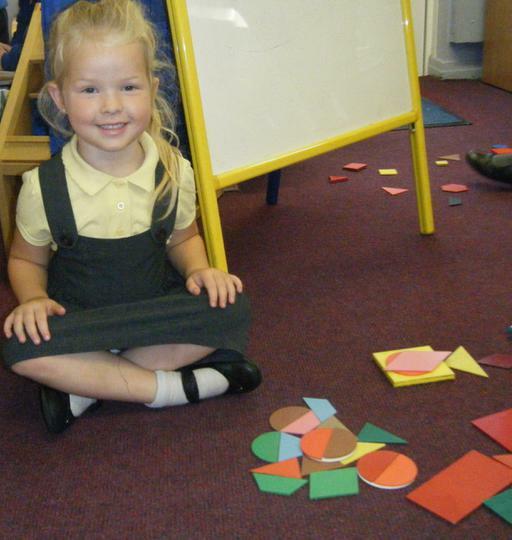 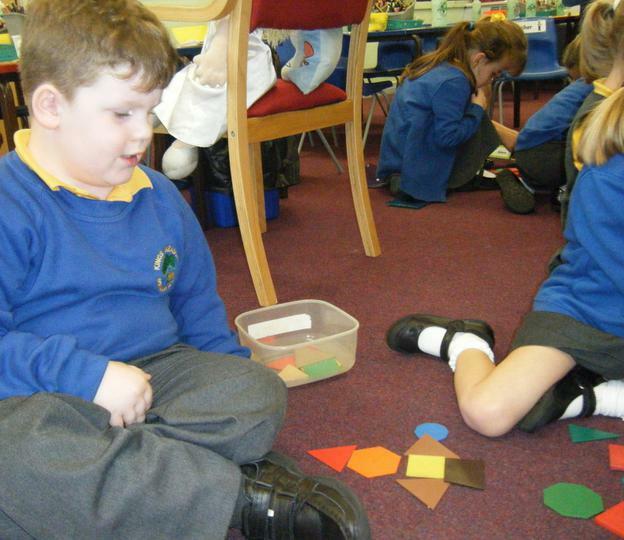 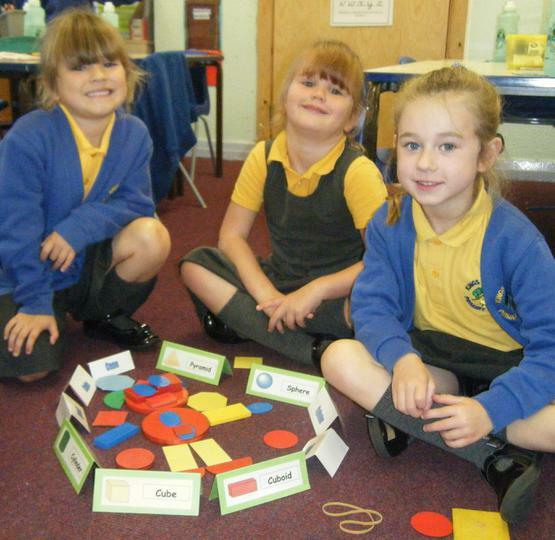 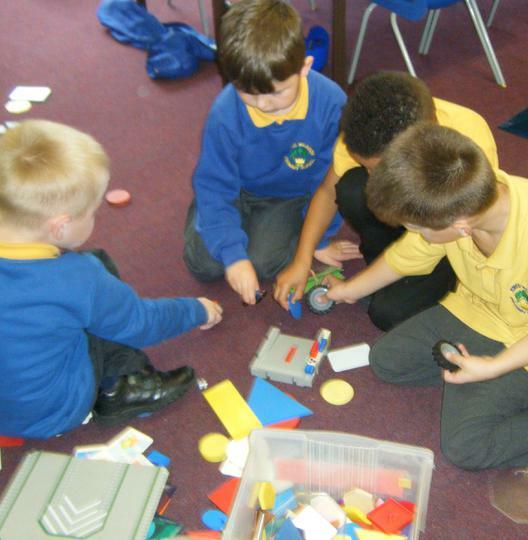 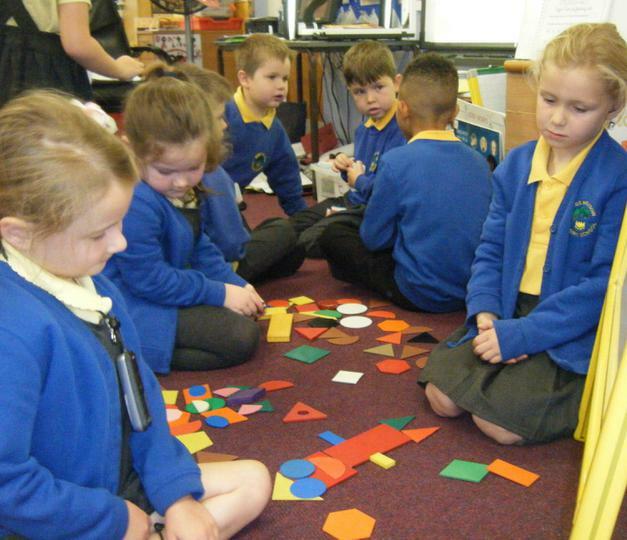 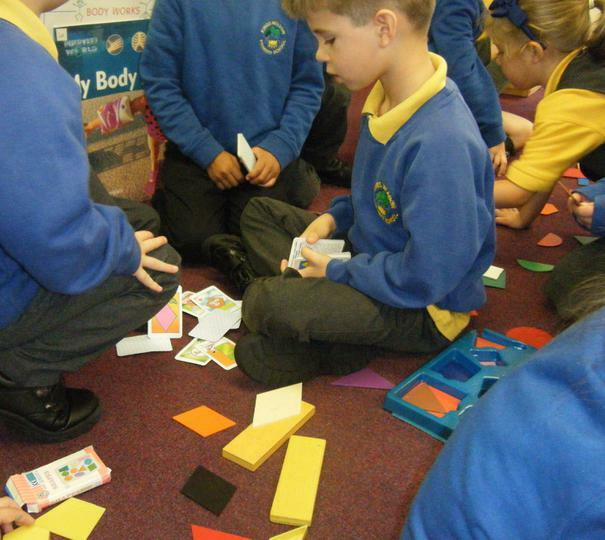 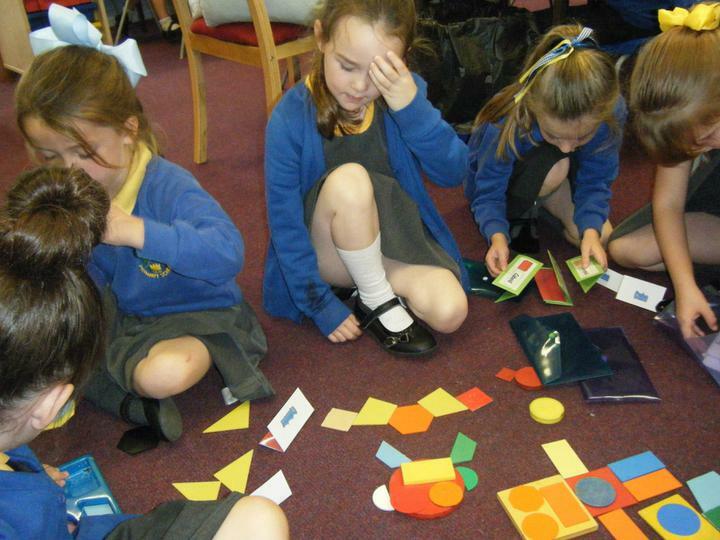 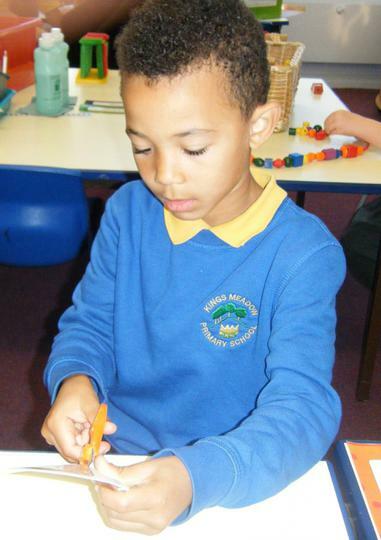 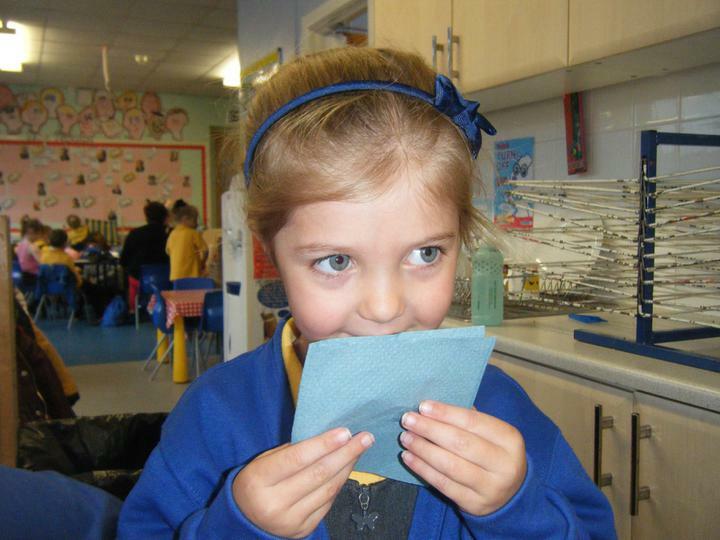 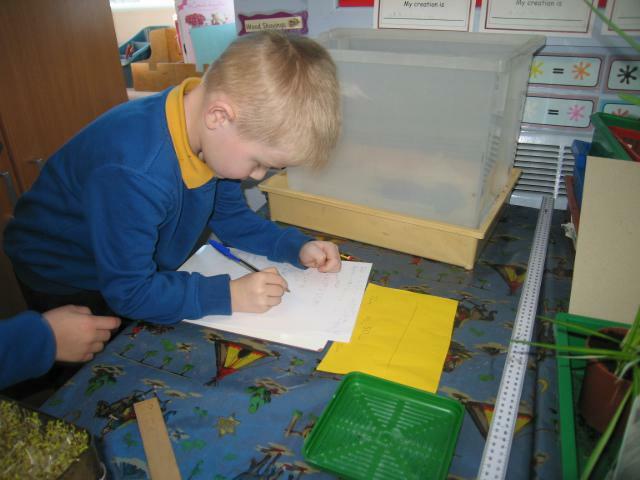 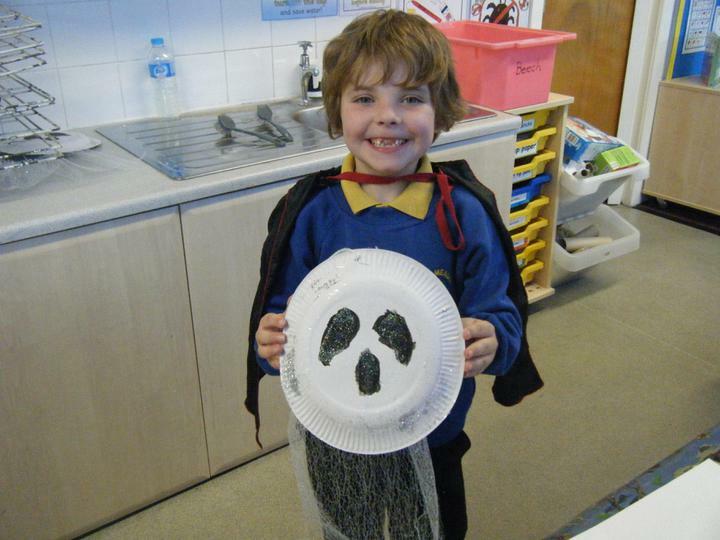 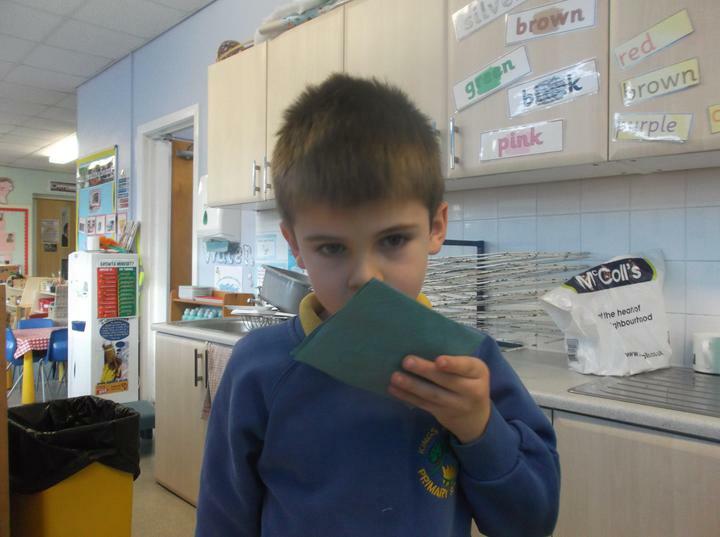 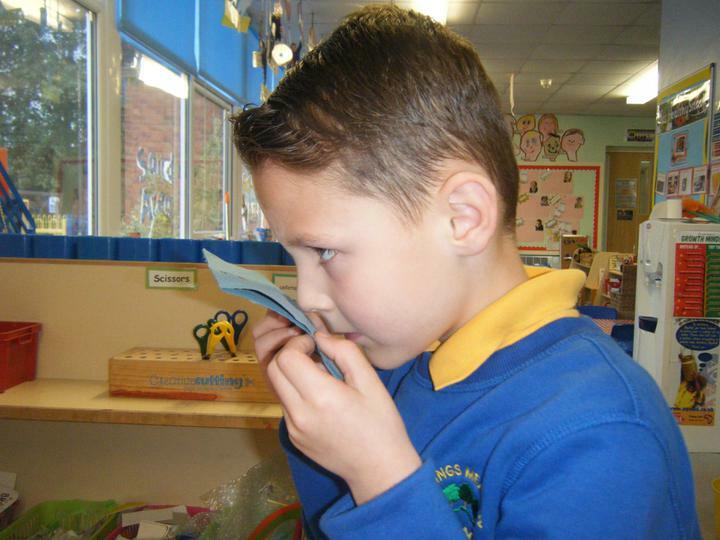 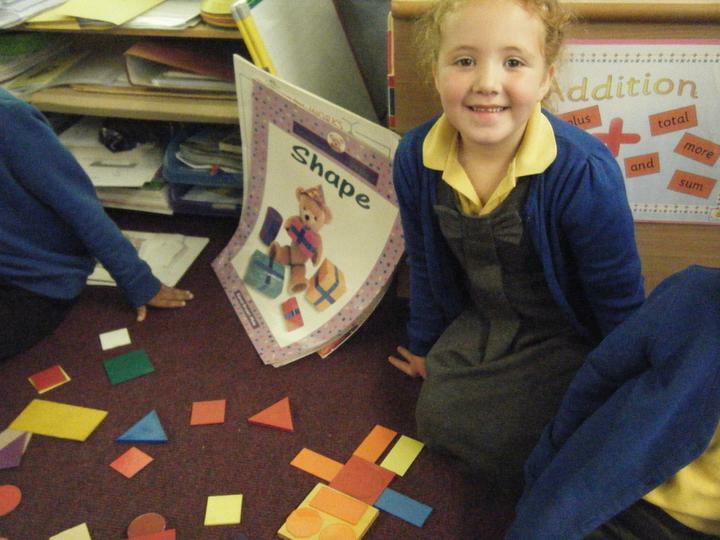 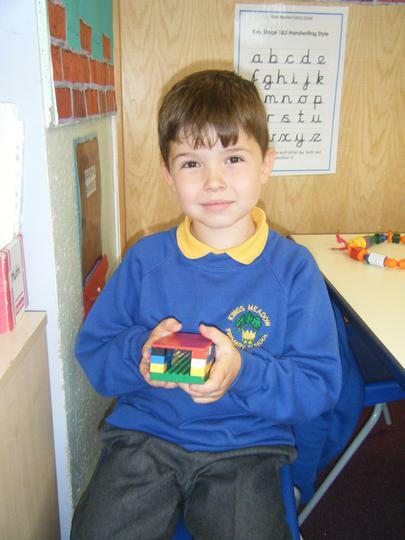 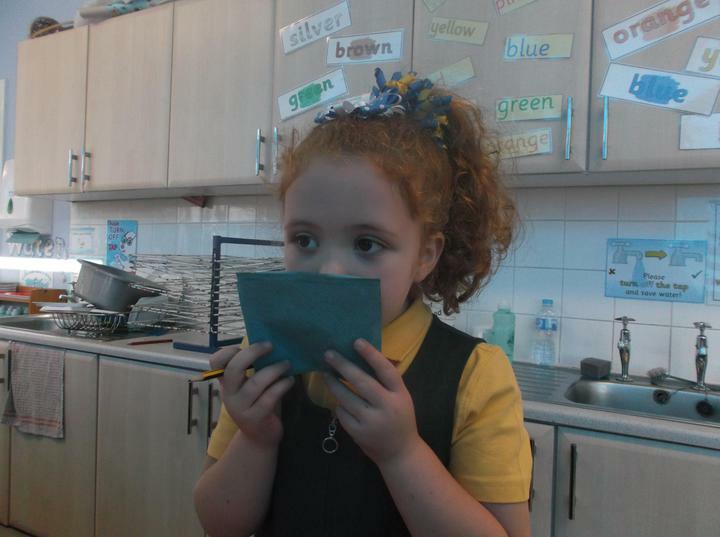 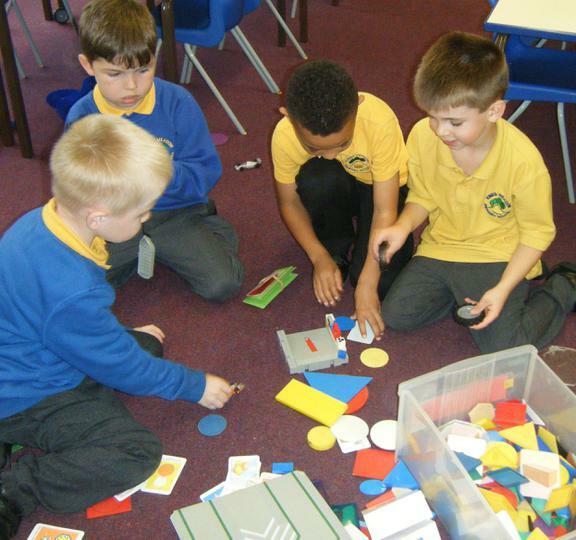 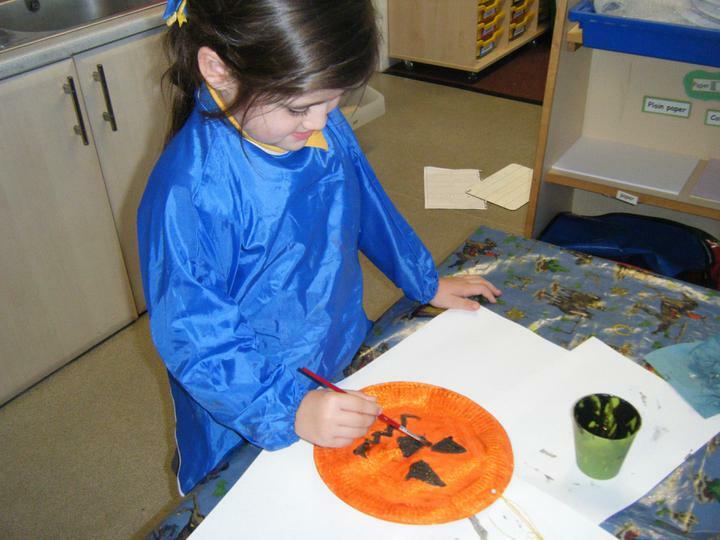 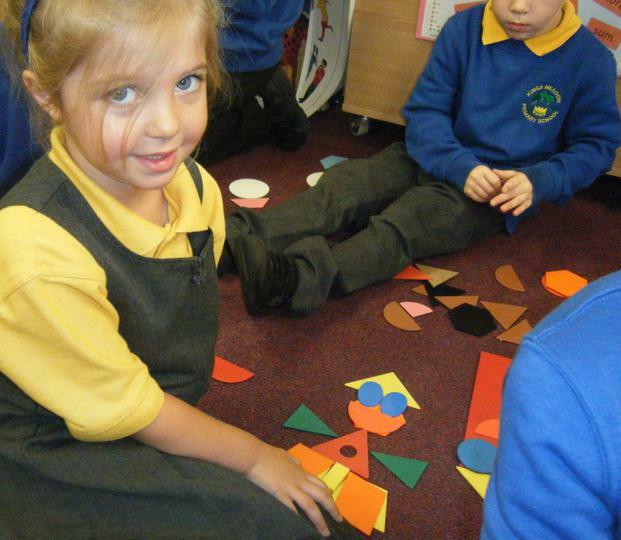 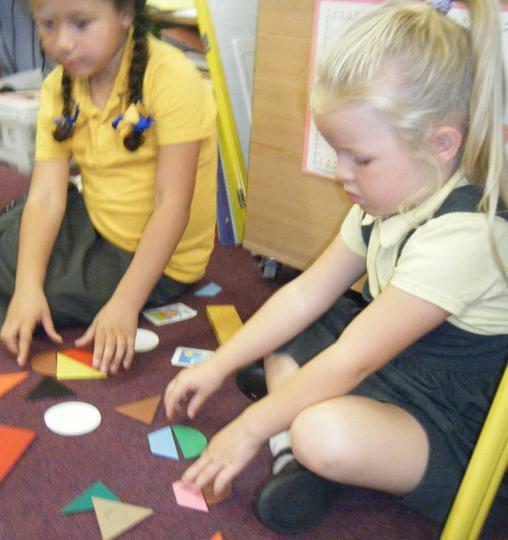 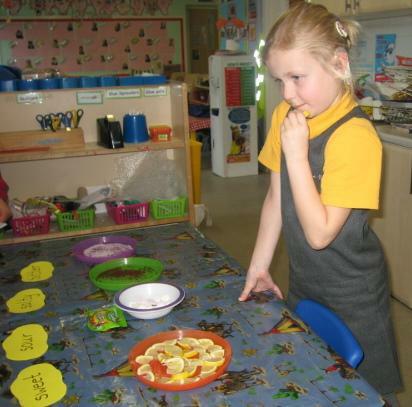 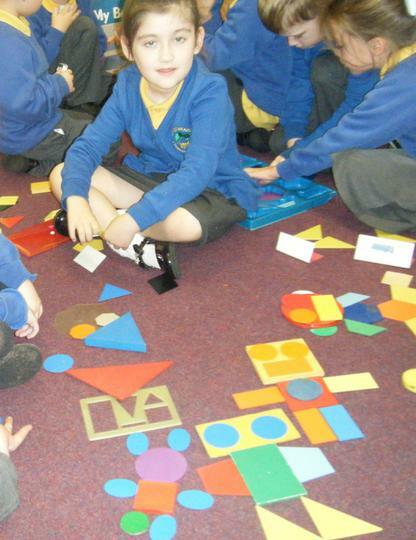 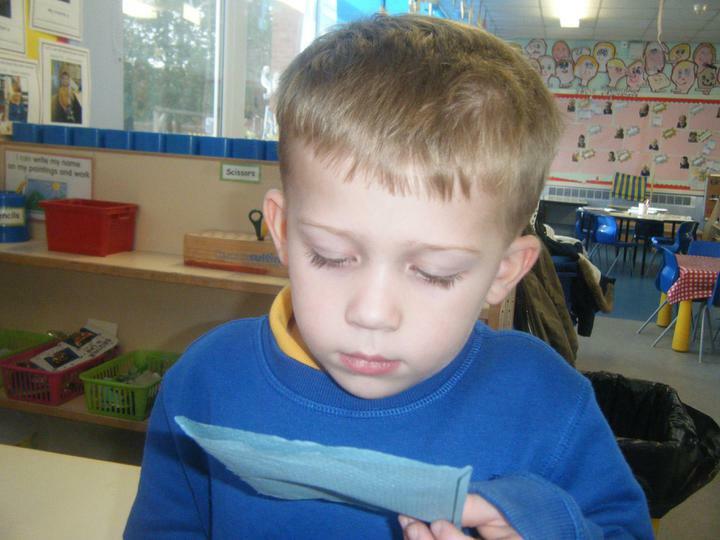 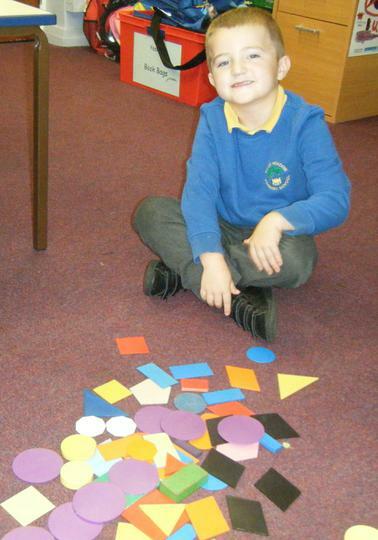 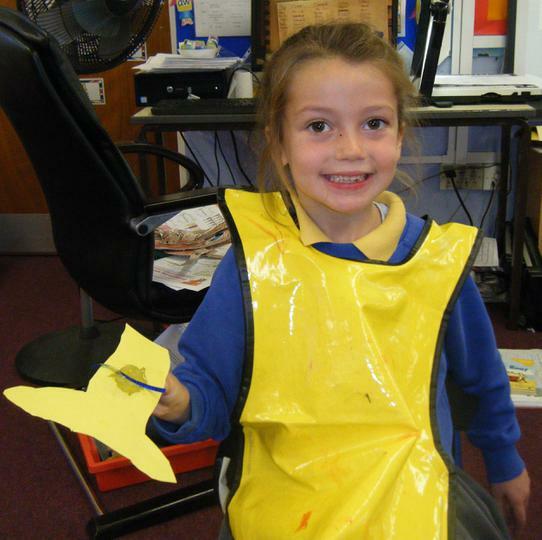 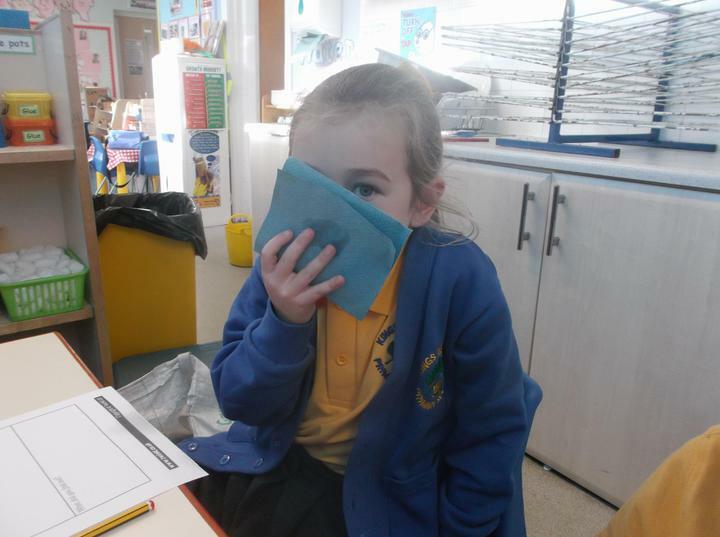 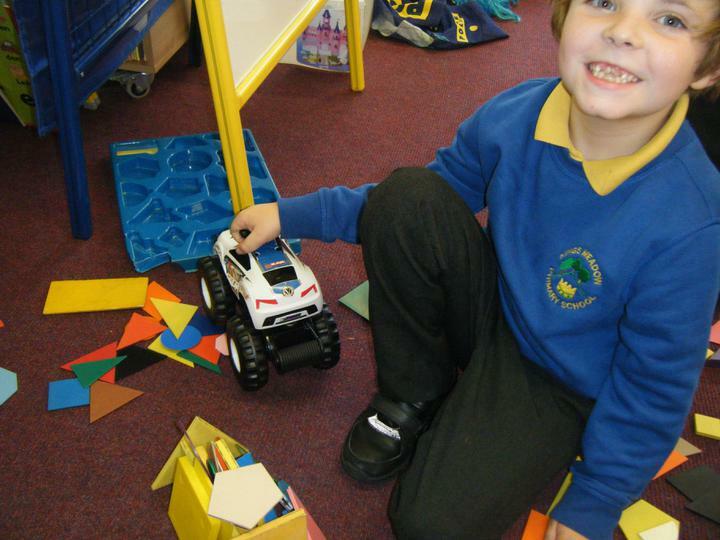 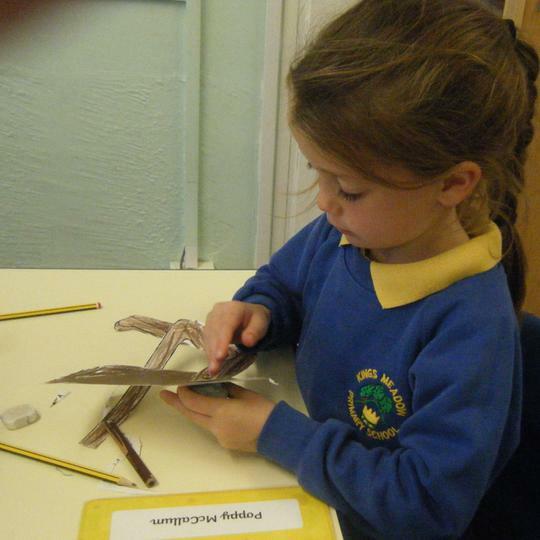 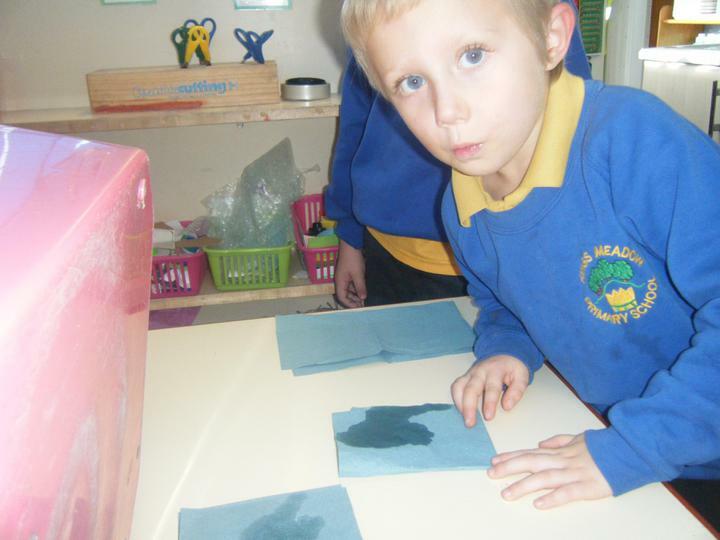 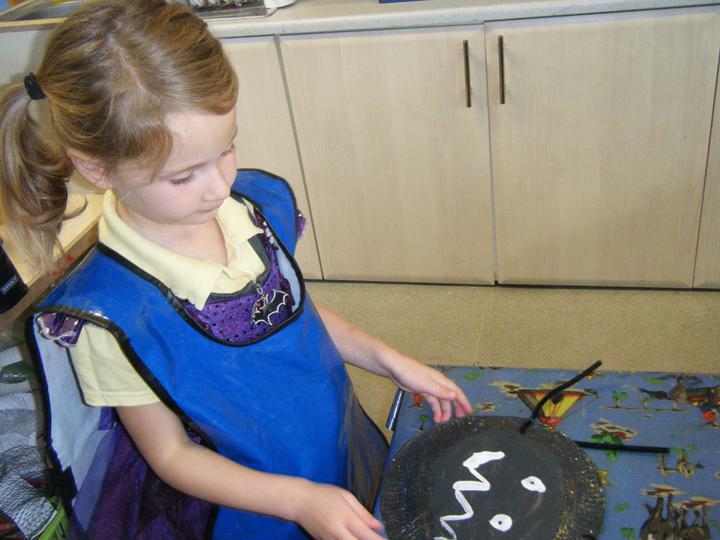 Year 1 are learning about the properties of 2D shapes. 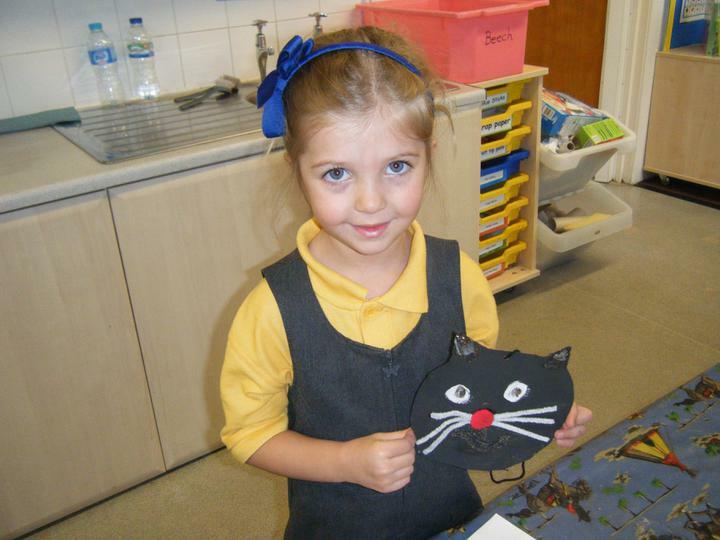 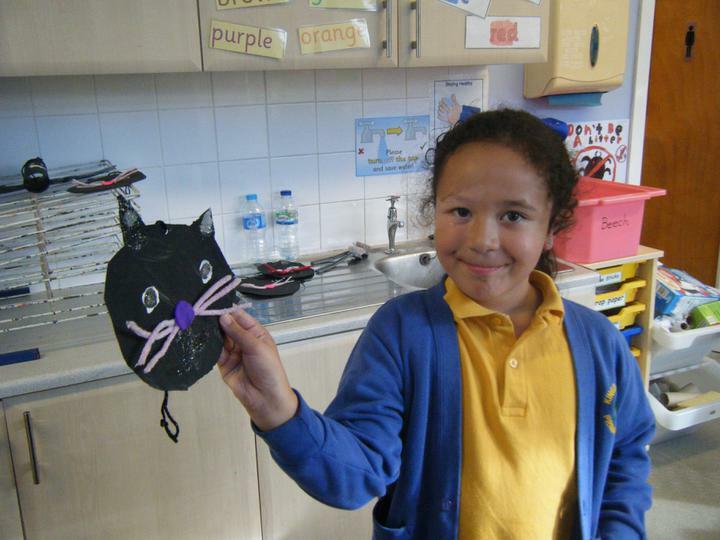 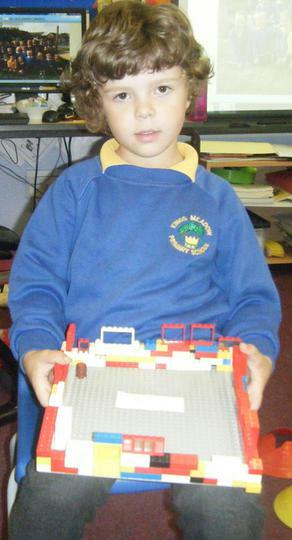 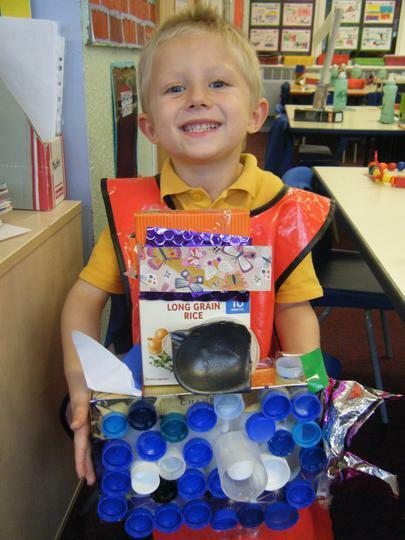 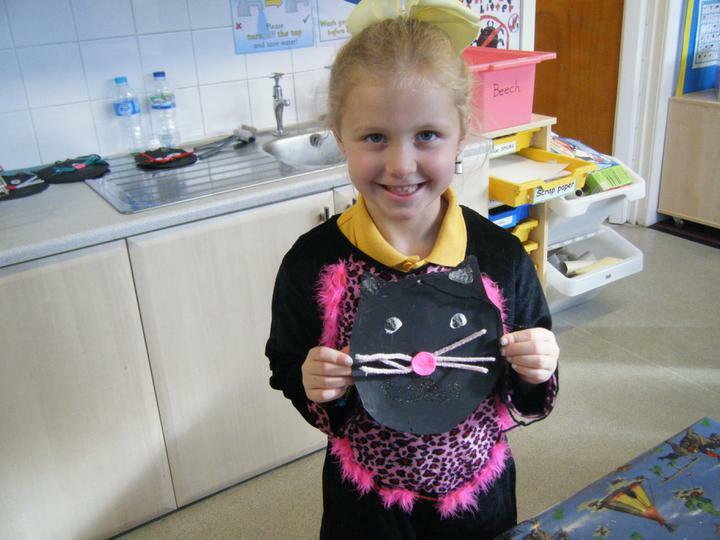 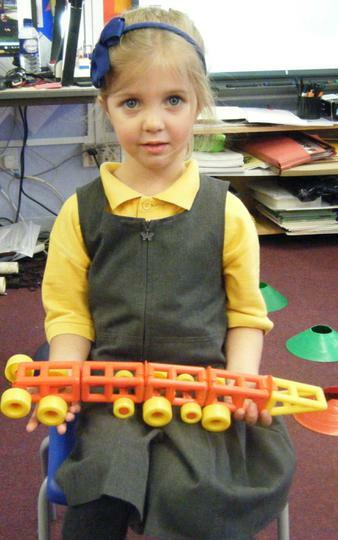 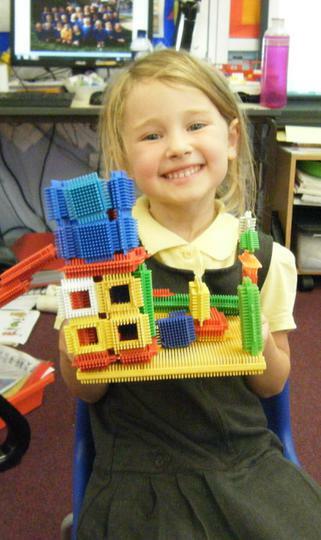 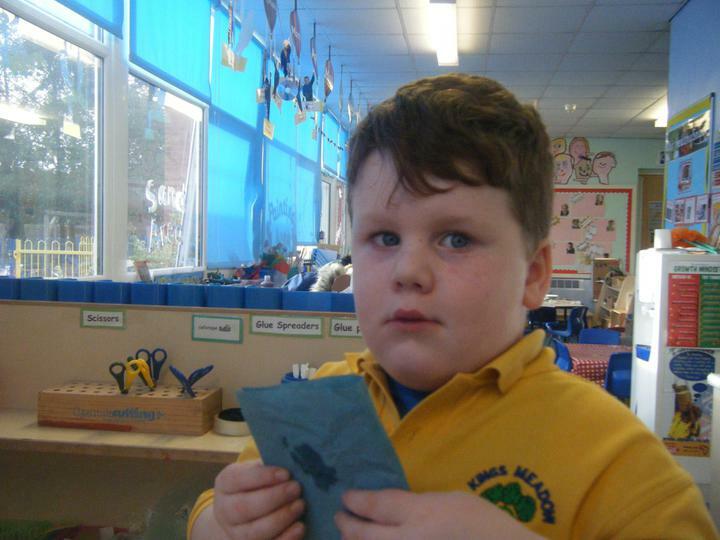 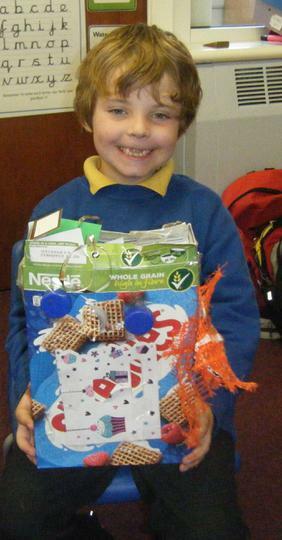 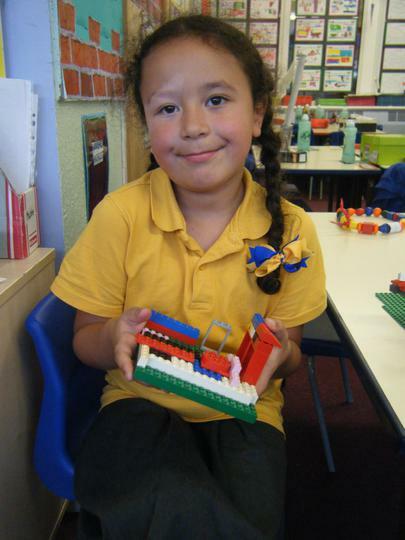 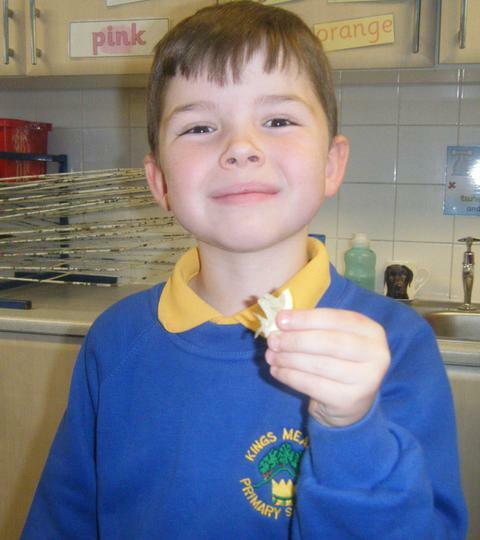 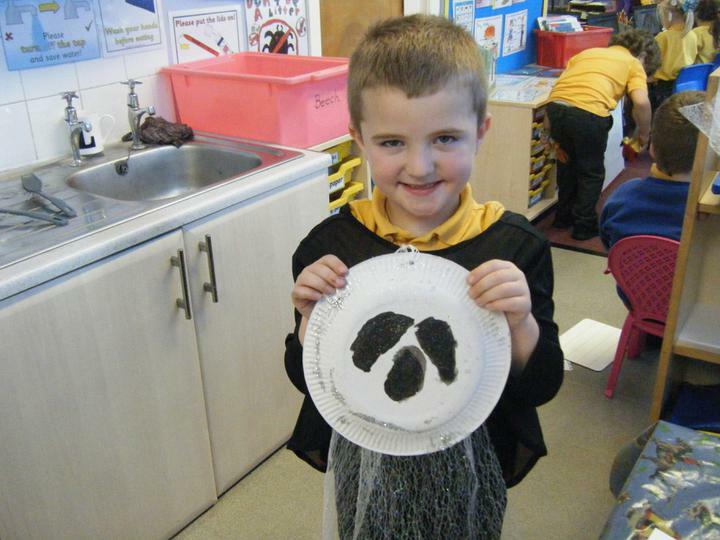 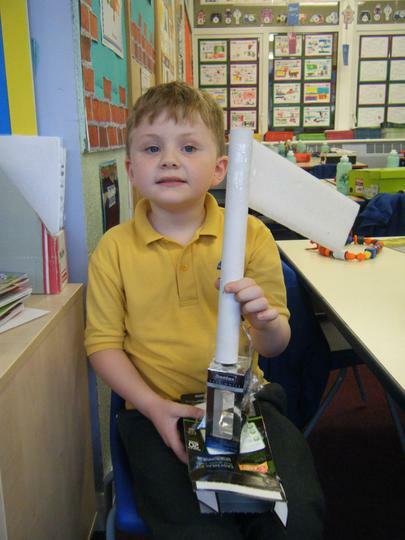 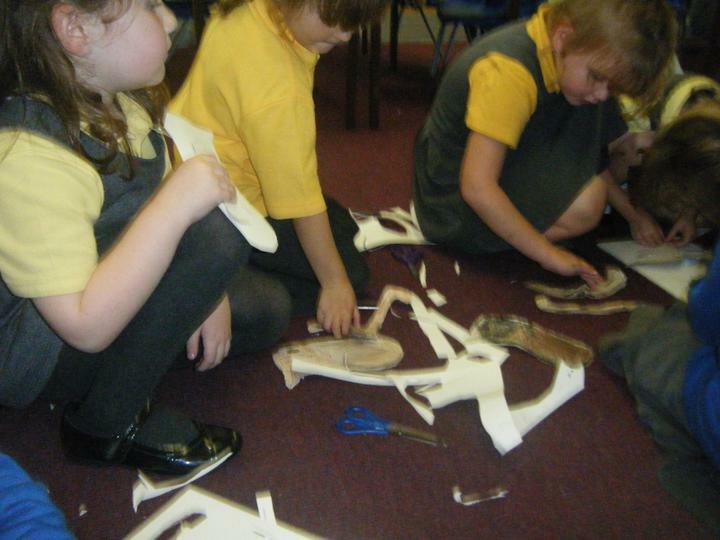 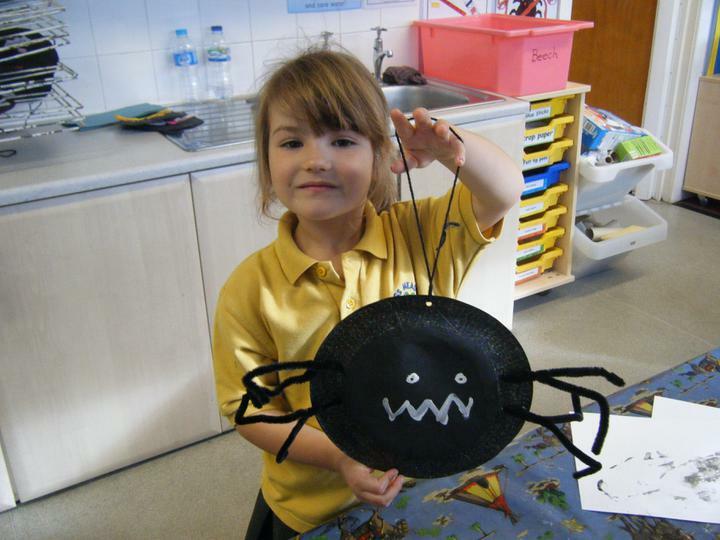 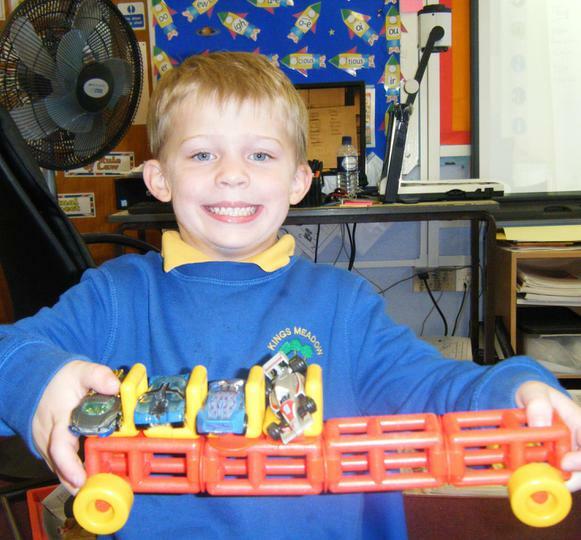 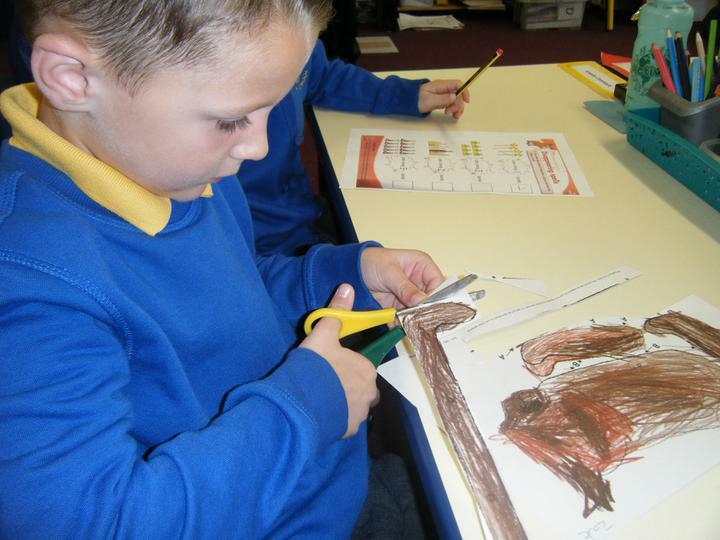 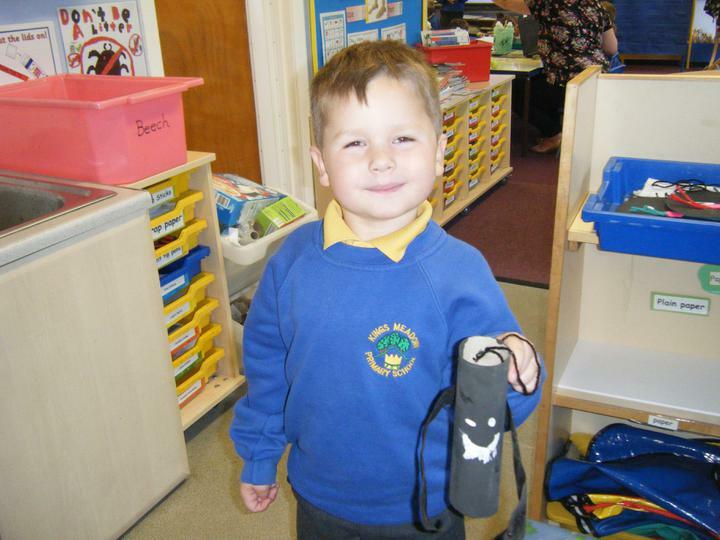 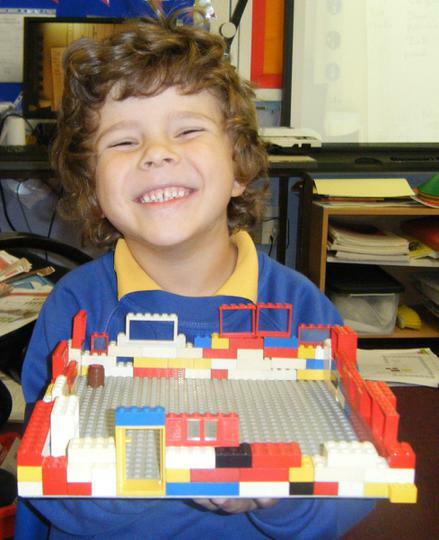 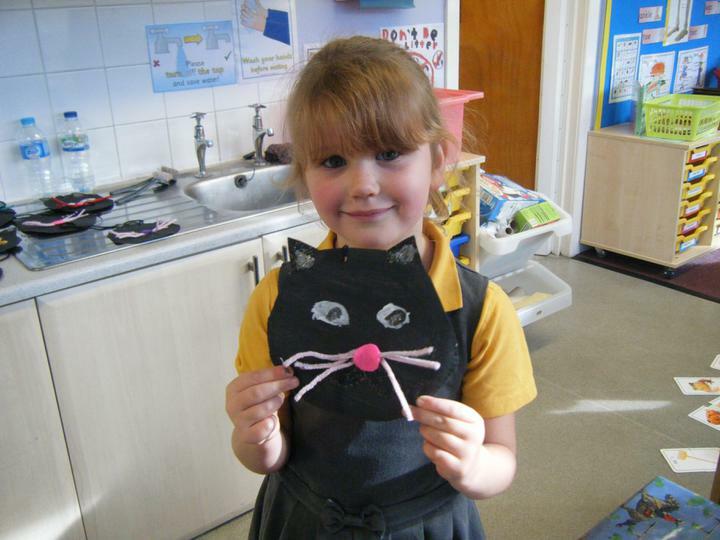 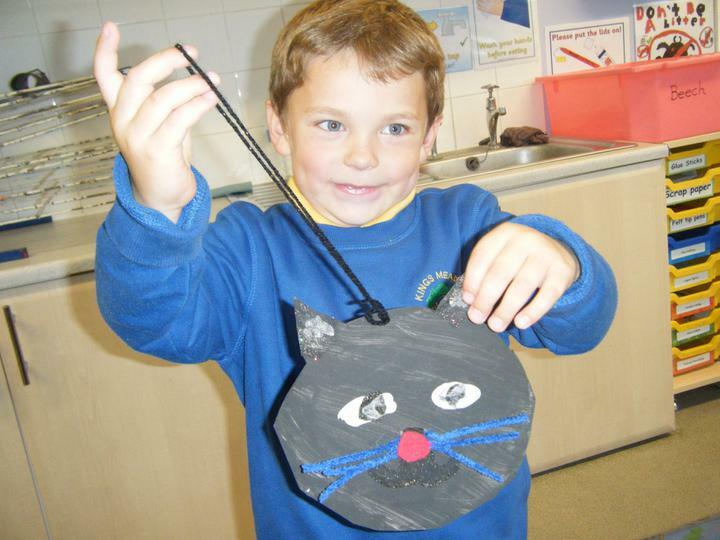 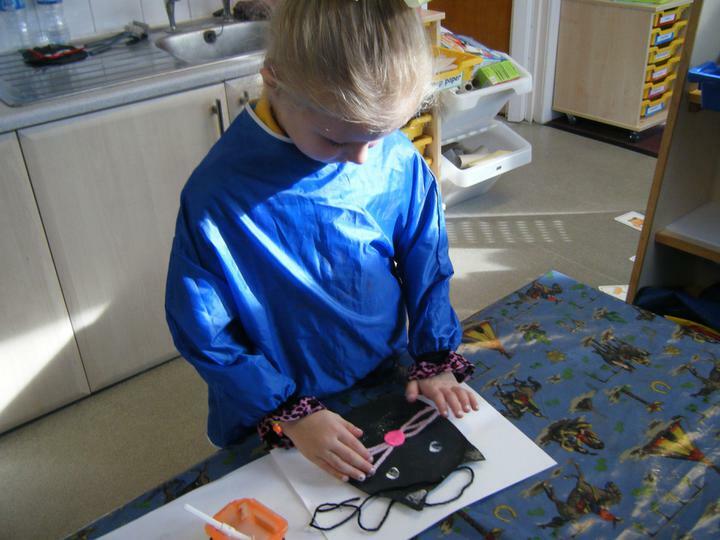 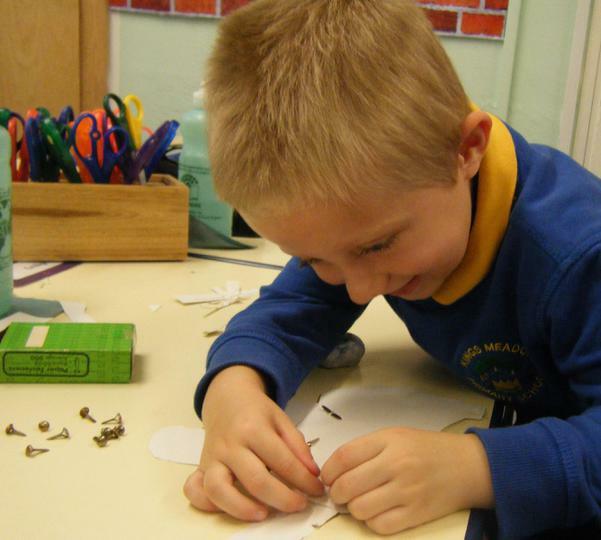 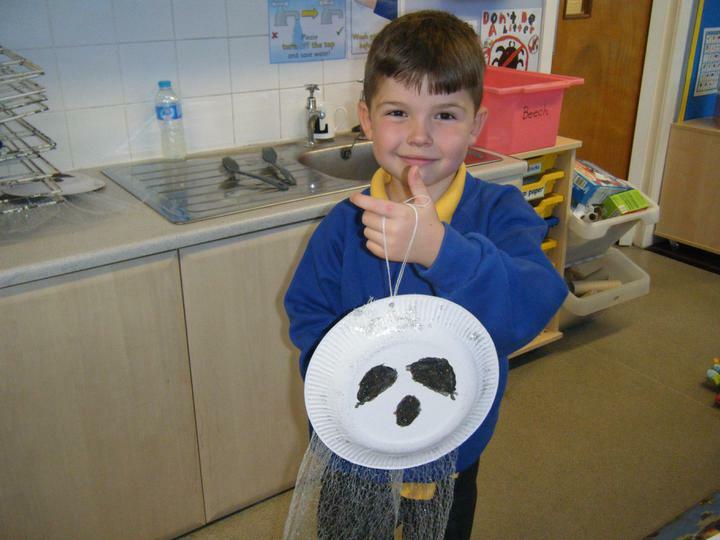 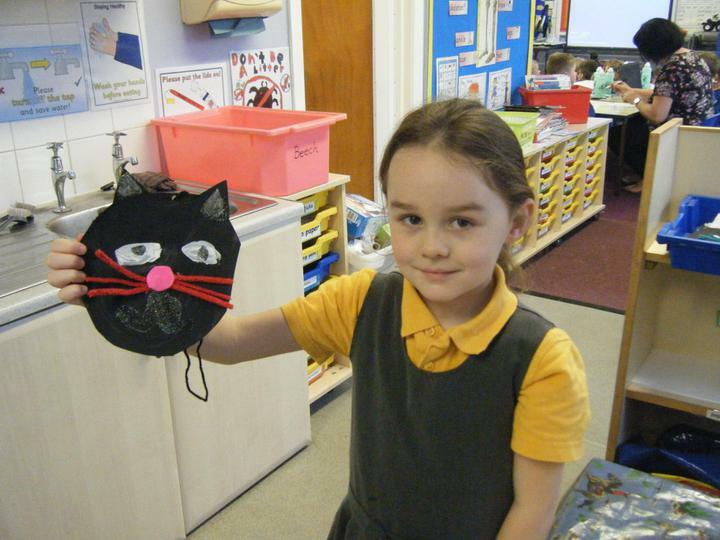 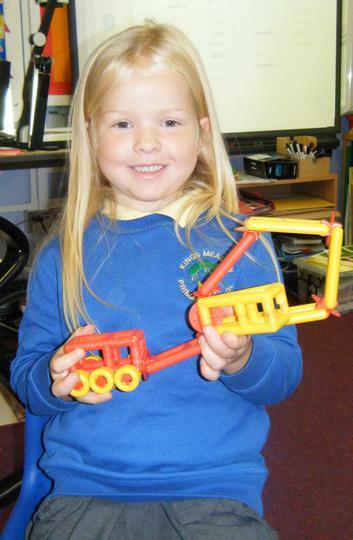 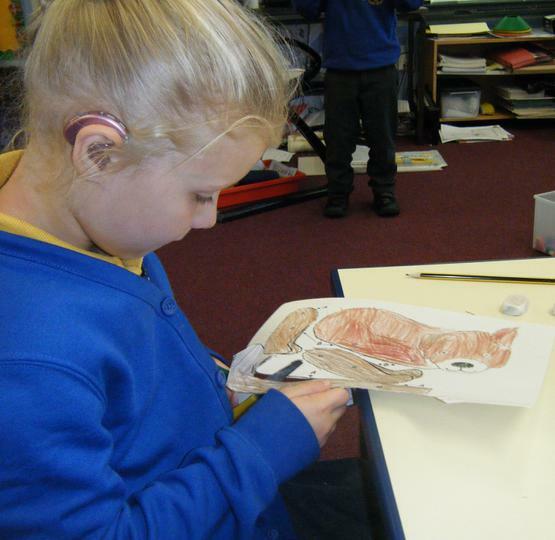 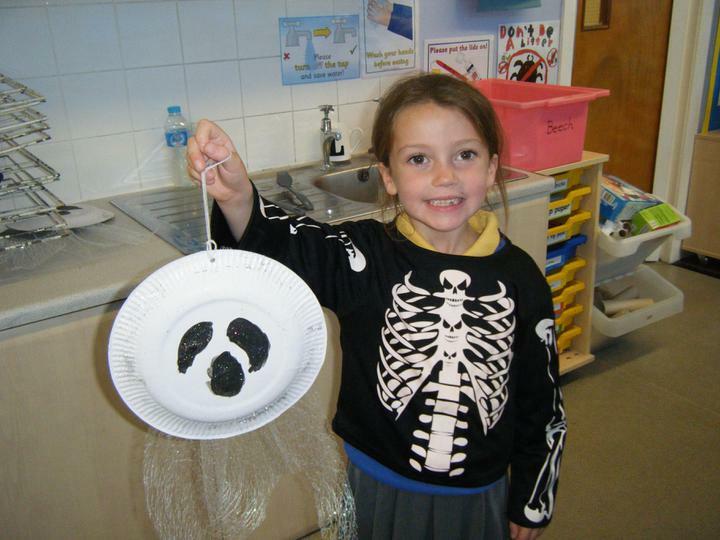 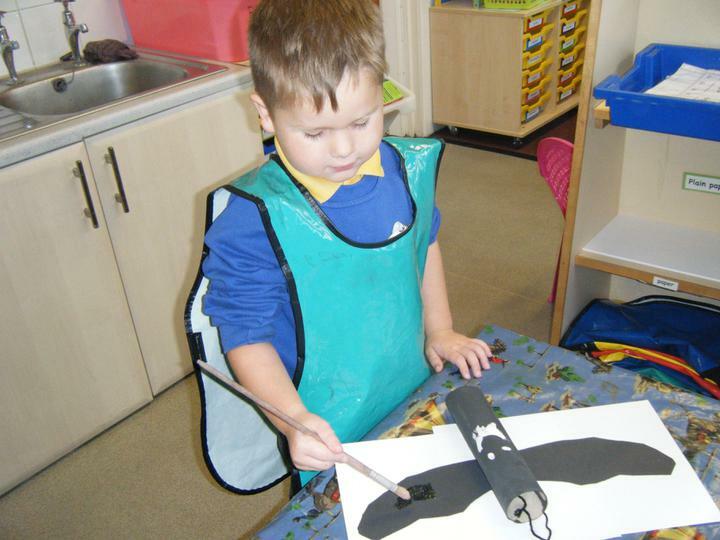 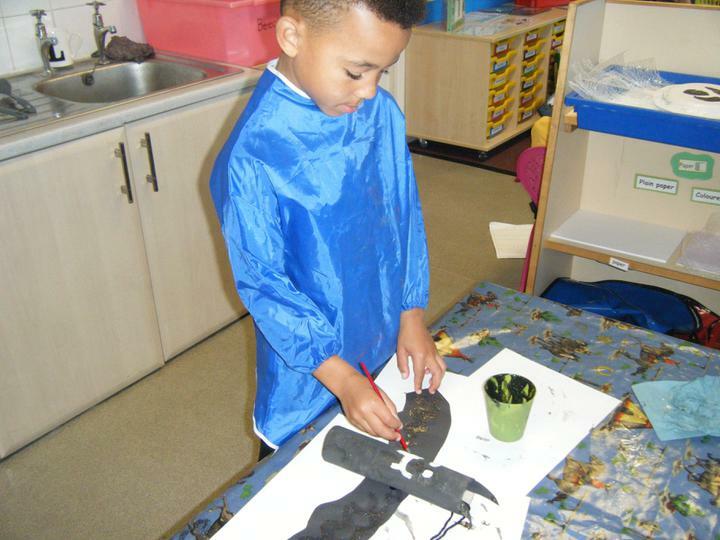 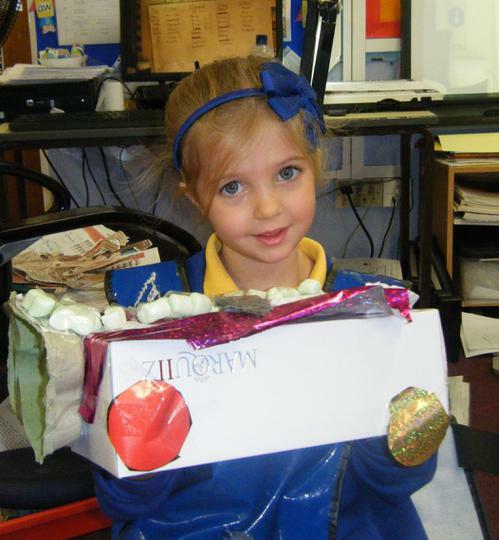 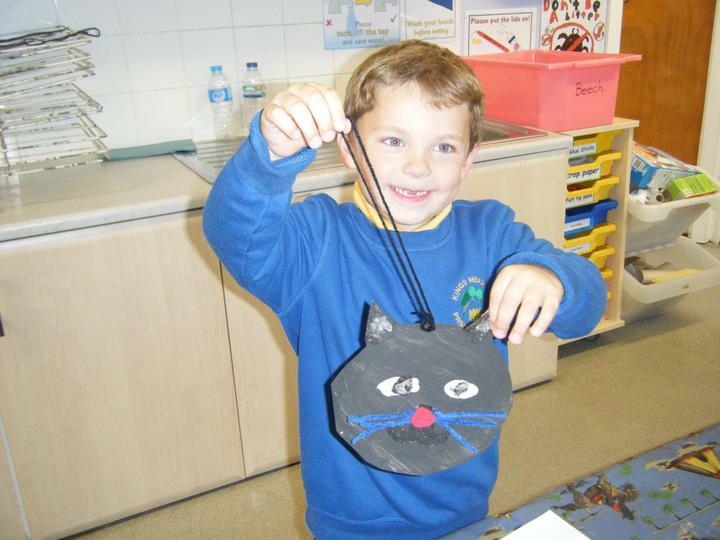 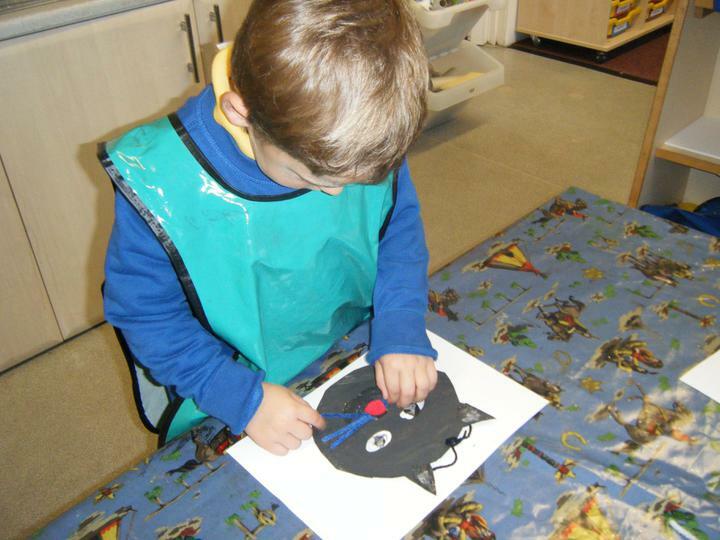 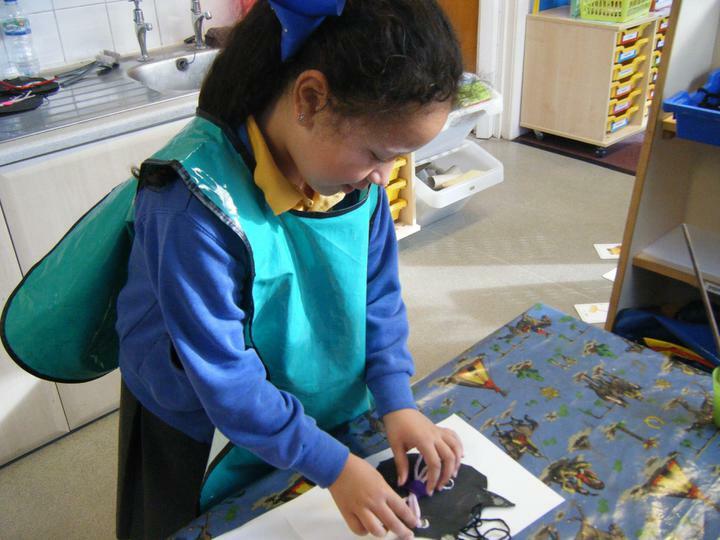 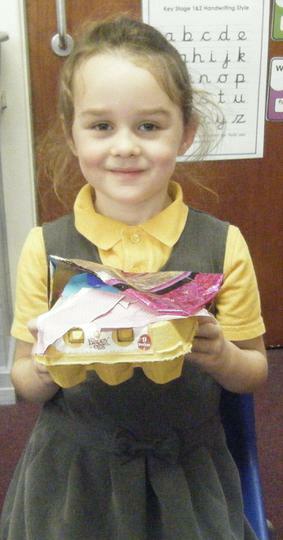 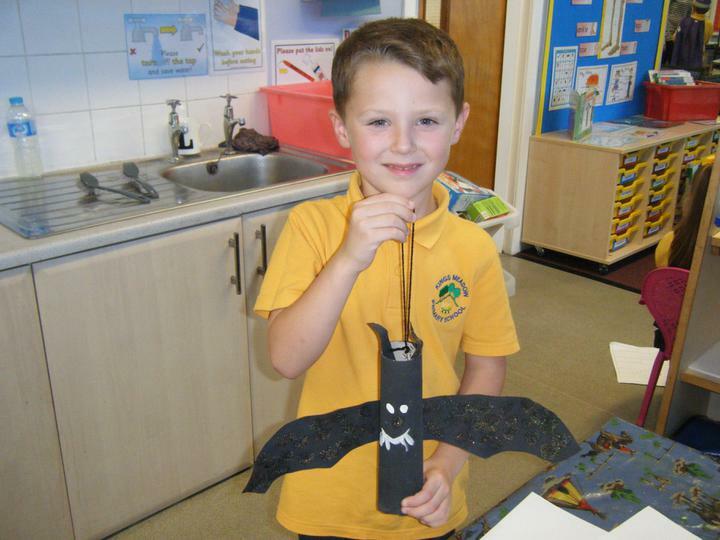 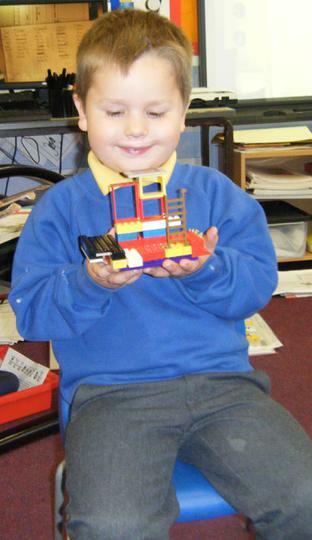 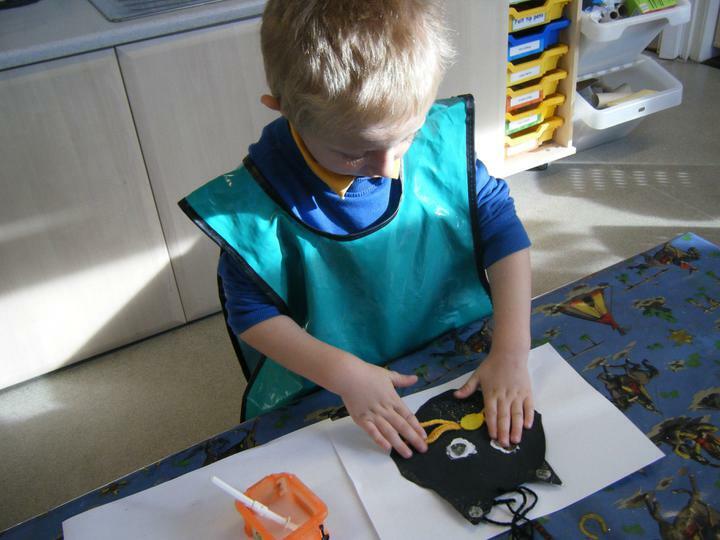 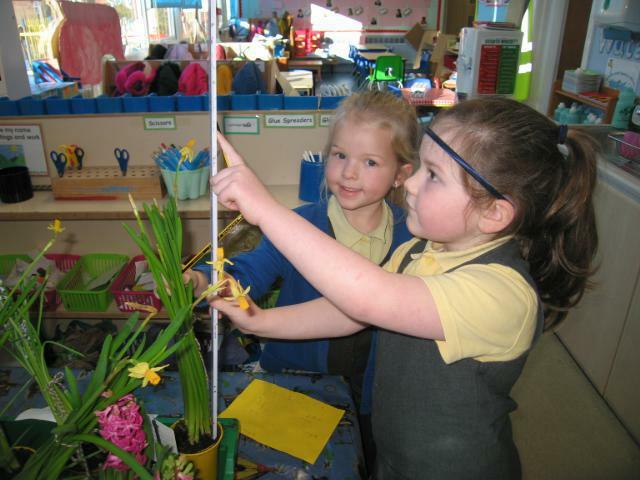 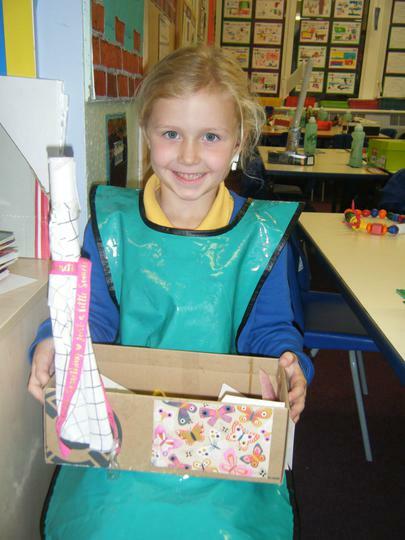 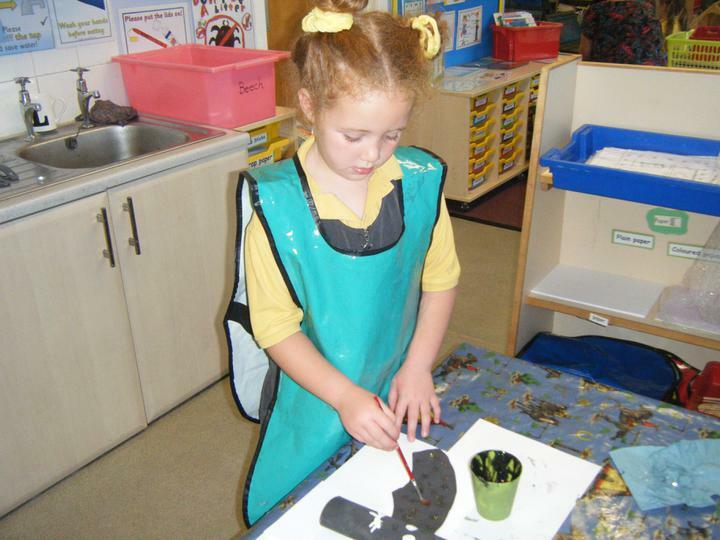 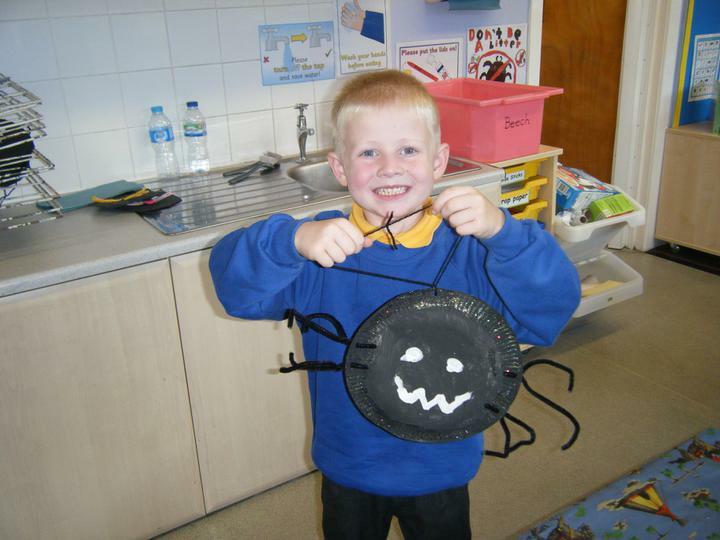 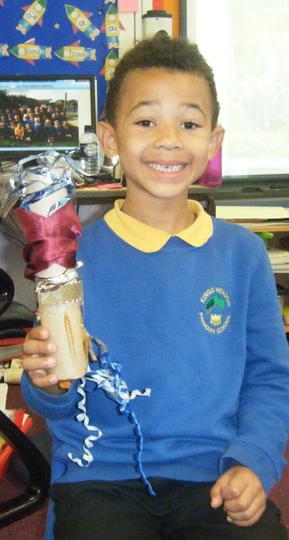 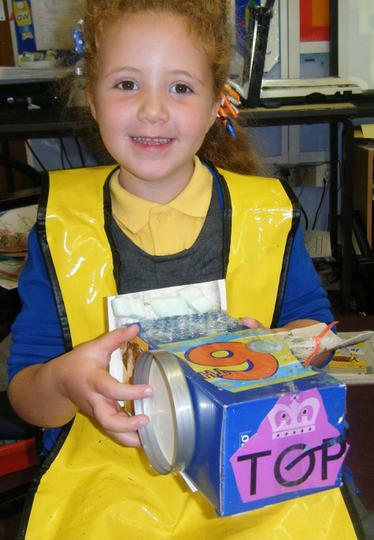 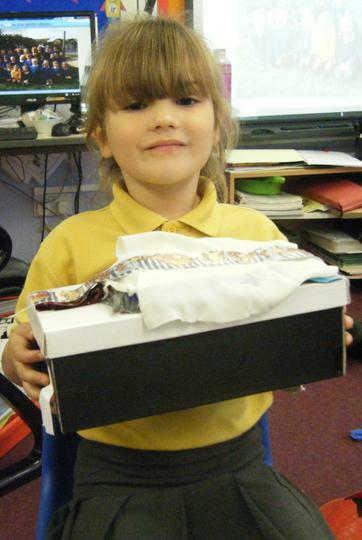 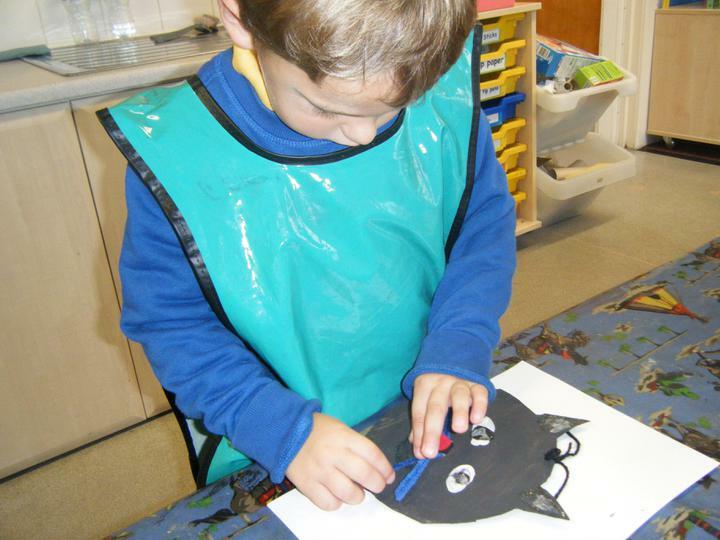 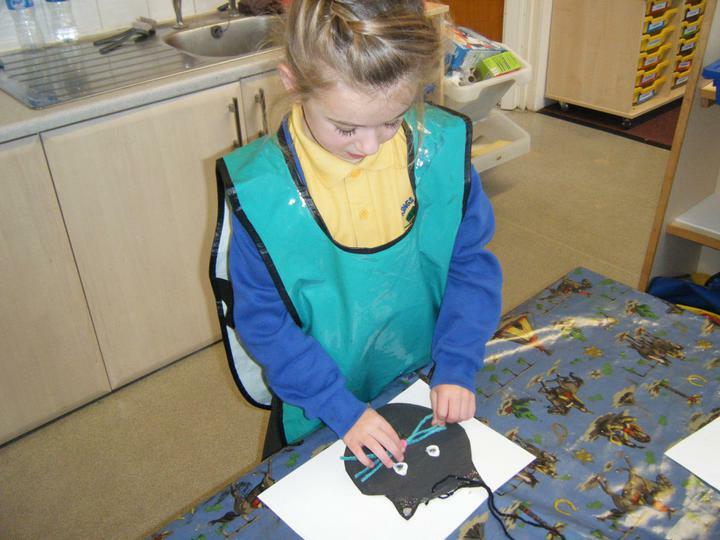 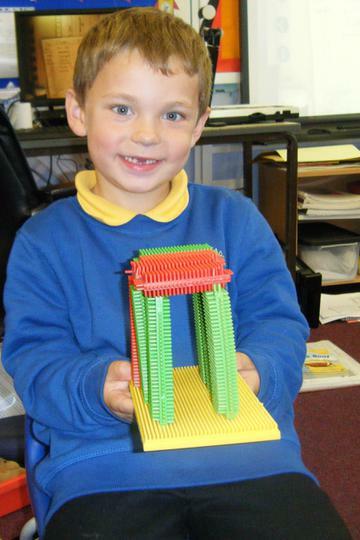 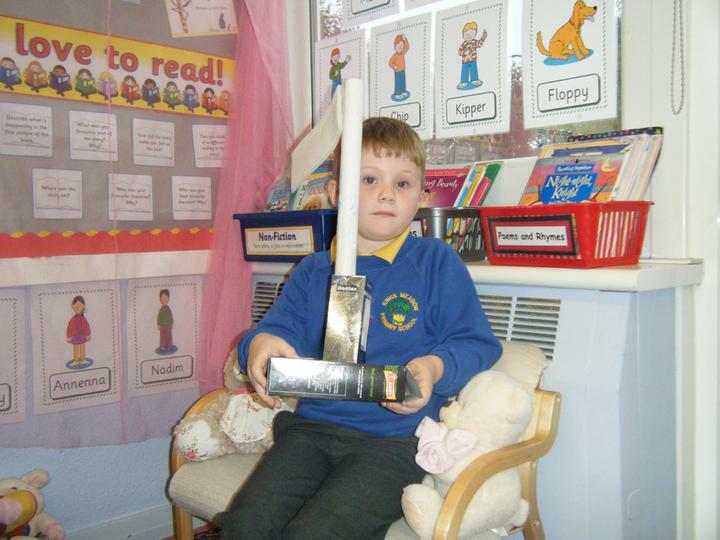 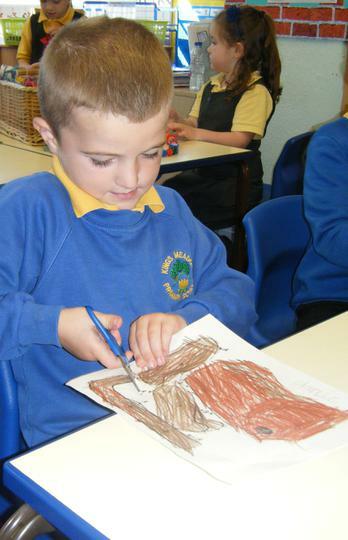 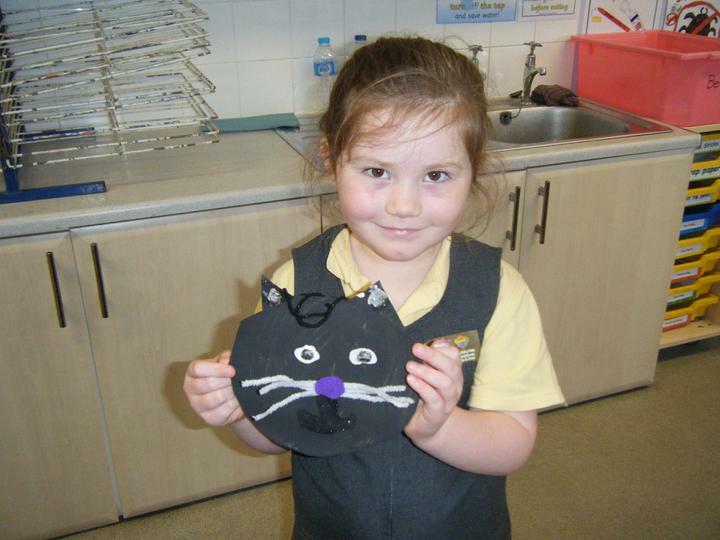 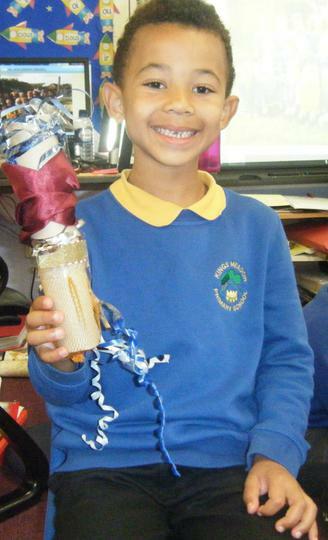 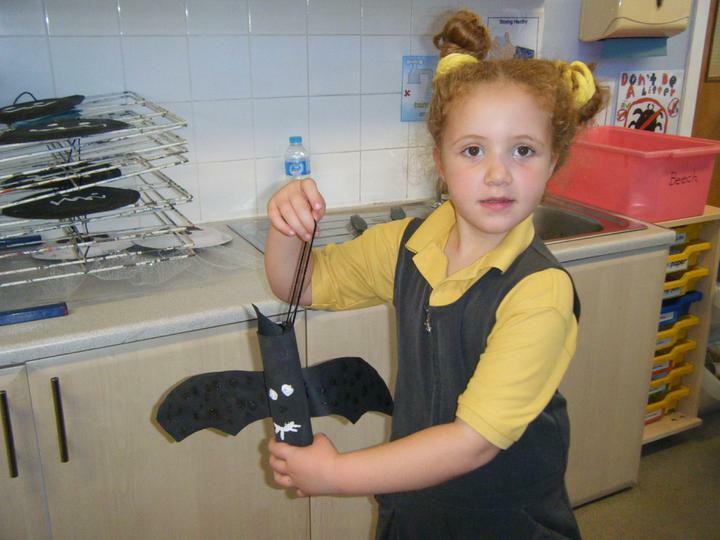 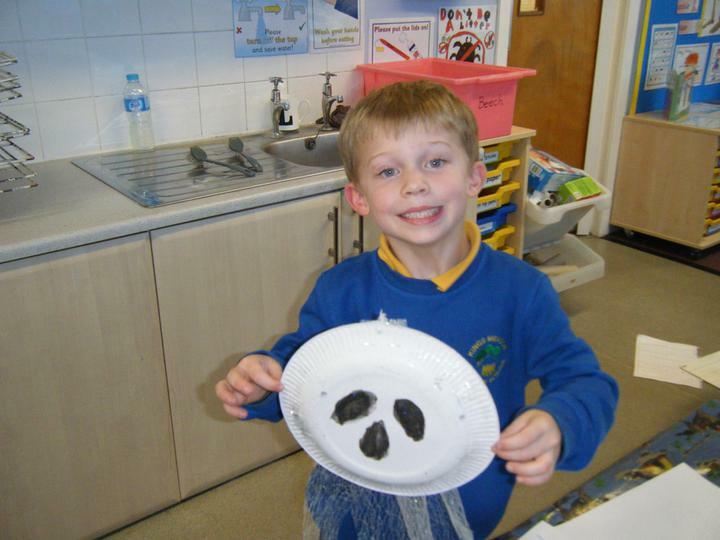 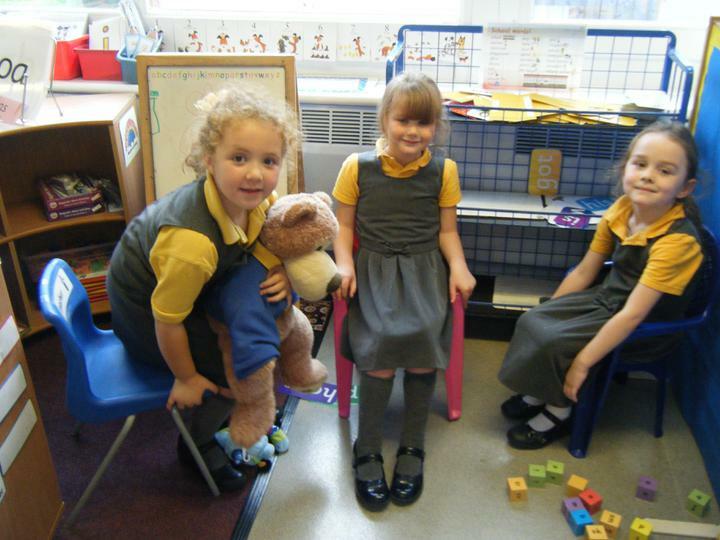 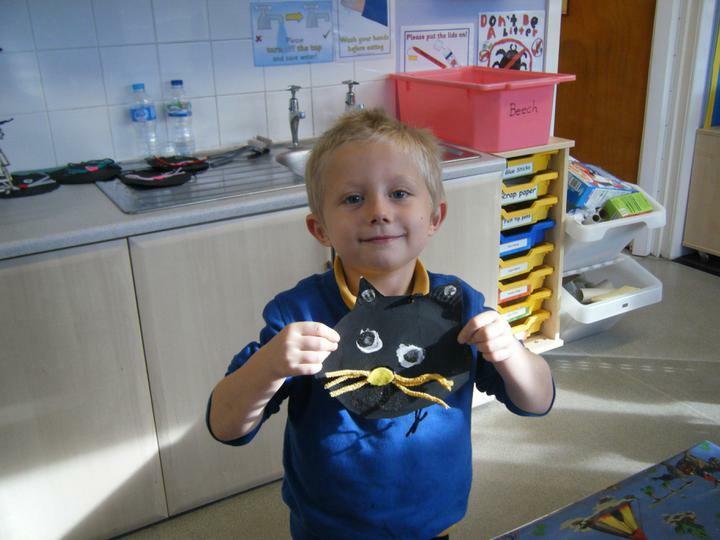 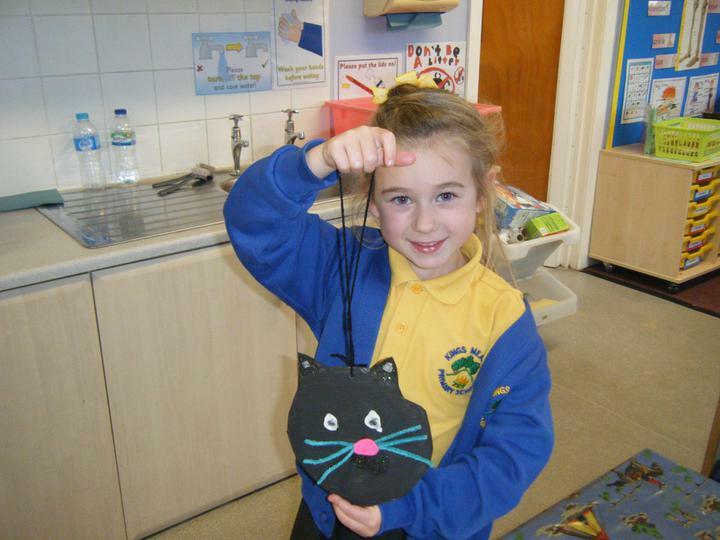 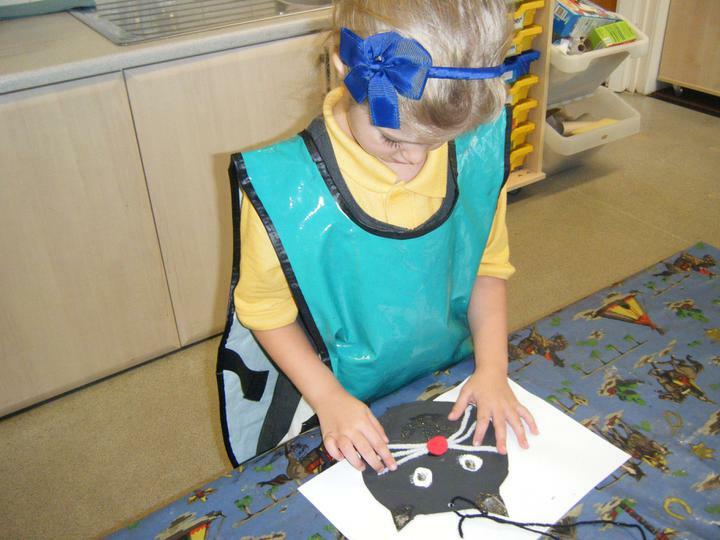 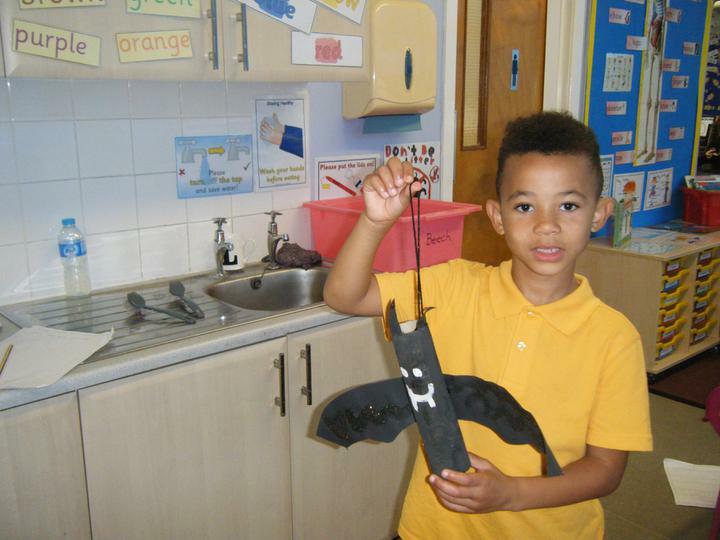 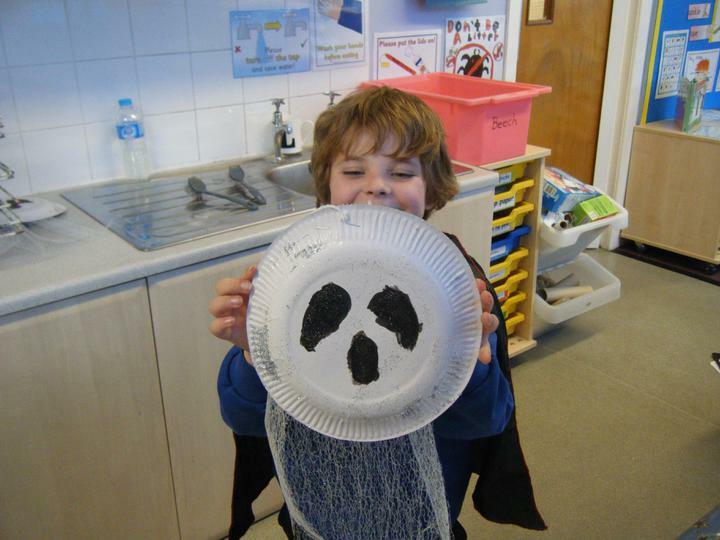 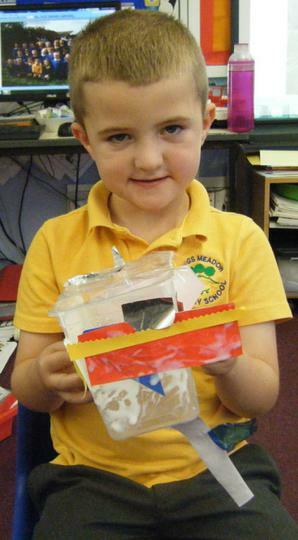 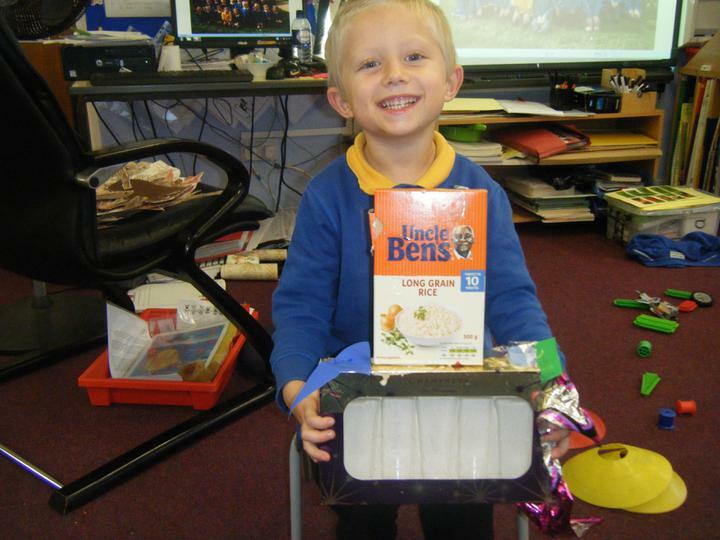 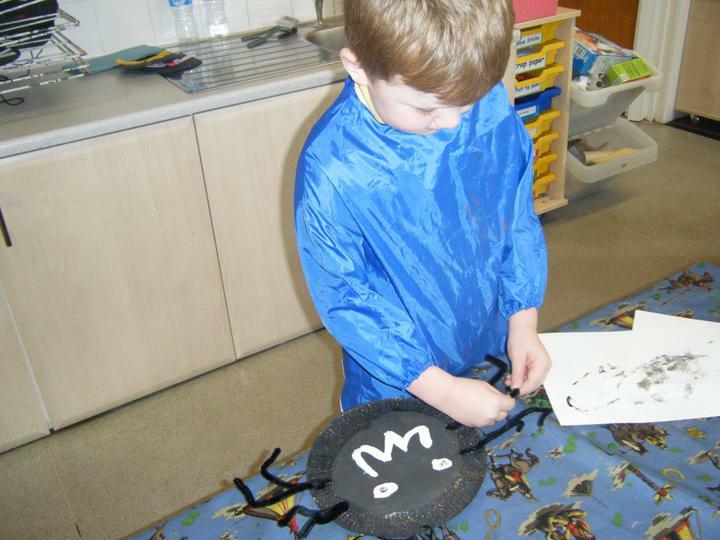 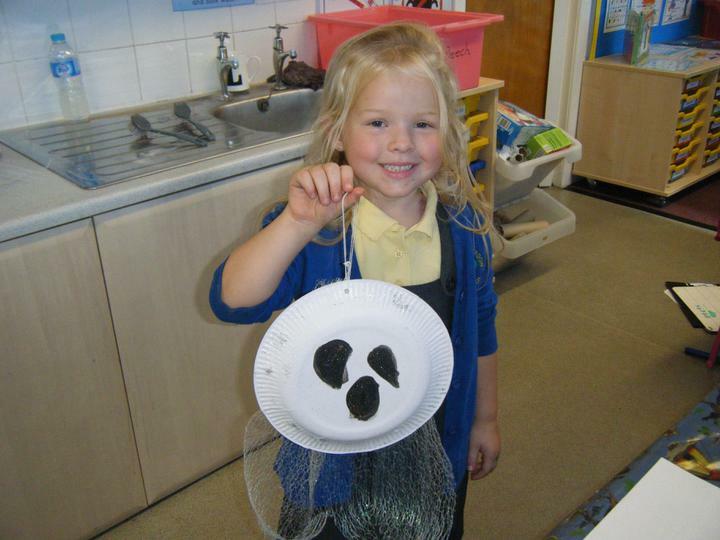 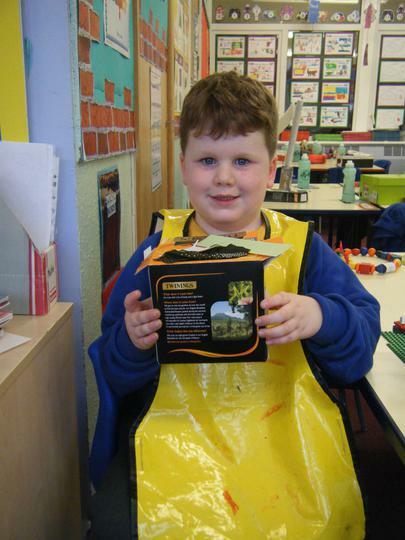 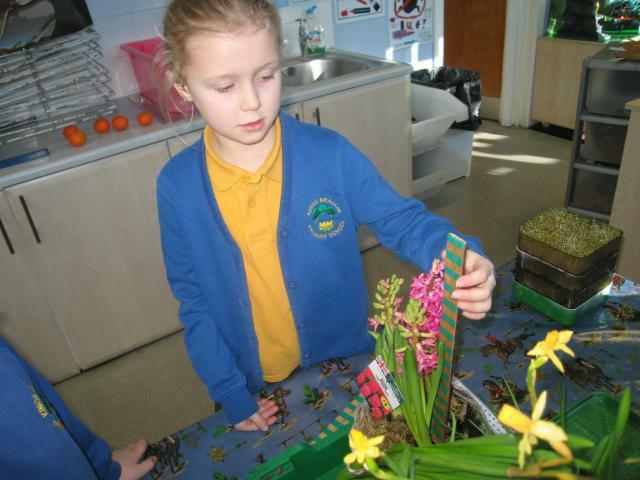 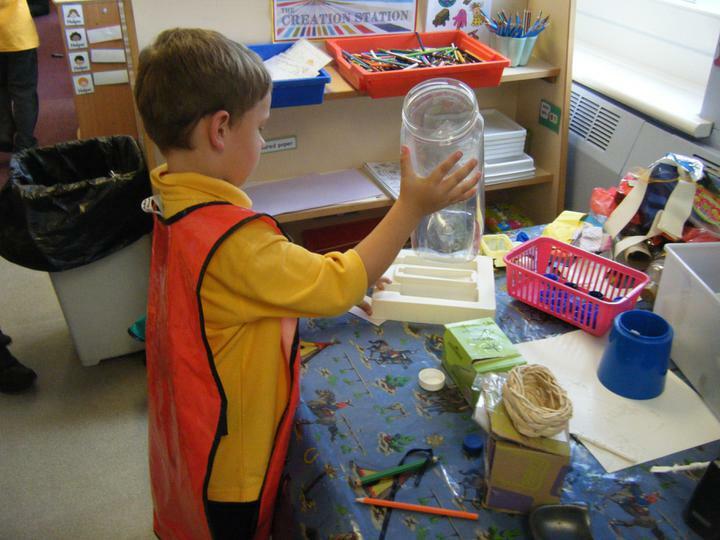 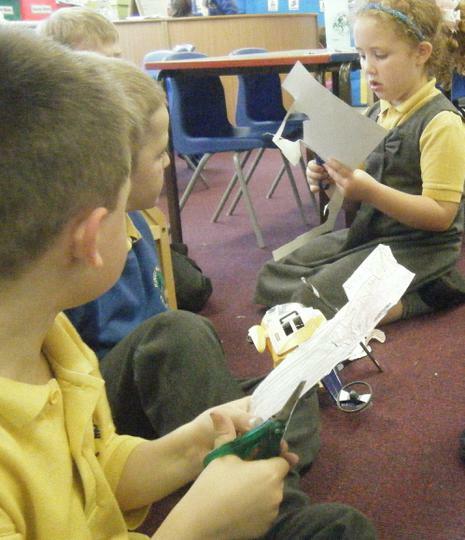 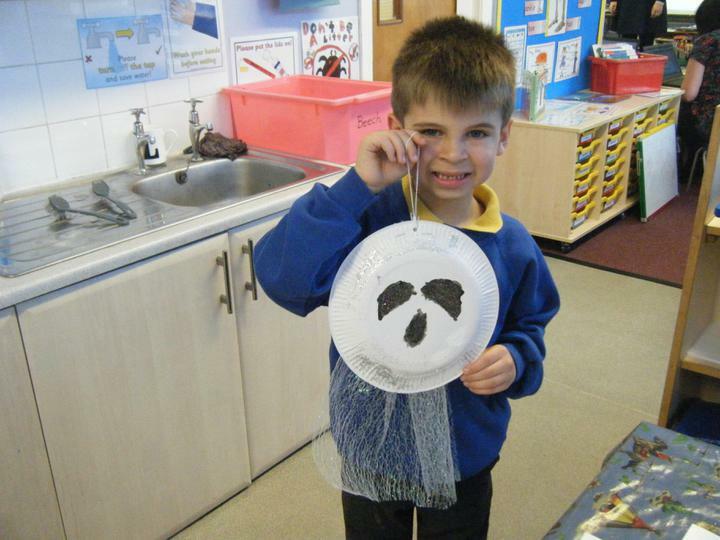 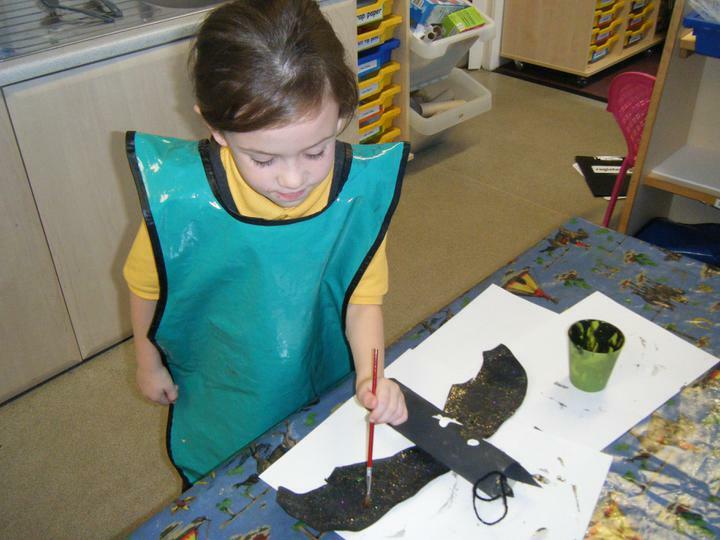 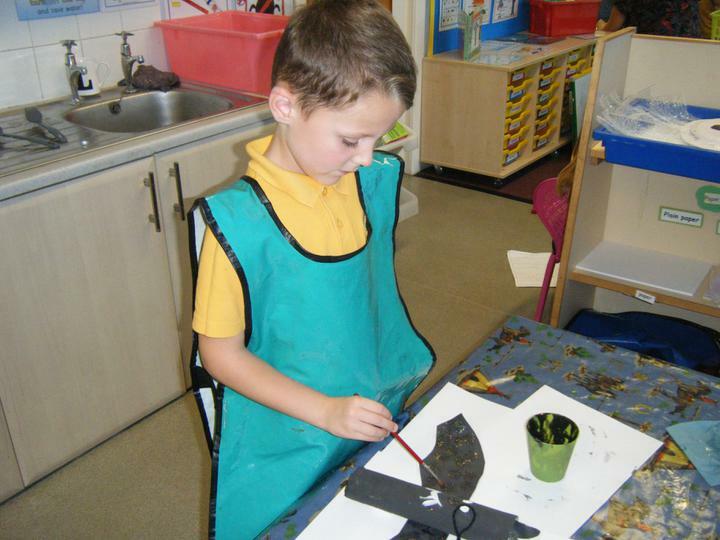 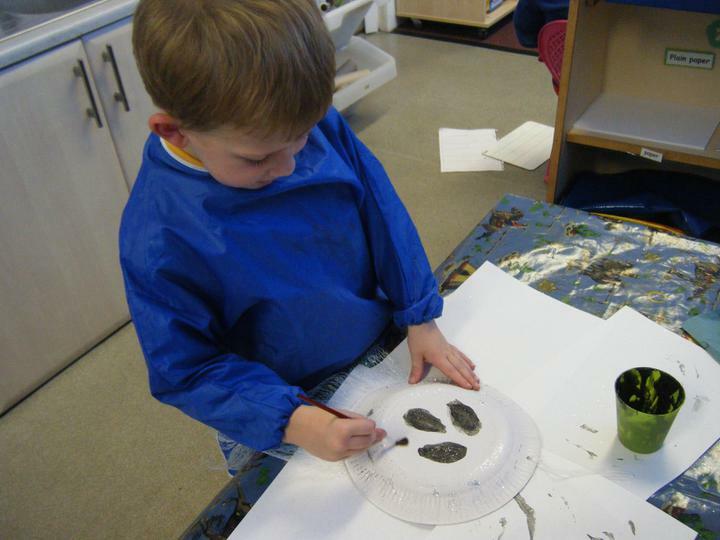 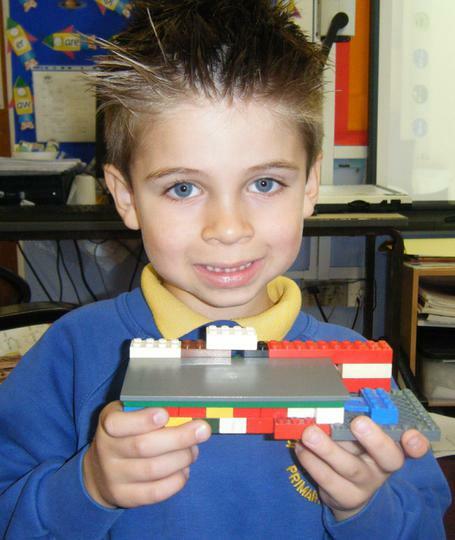 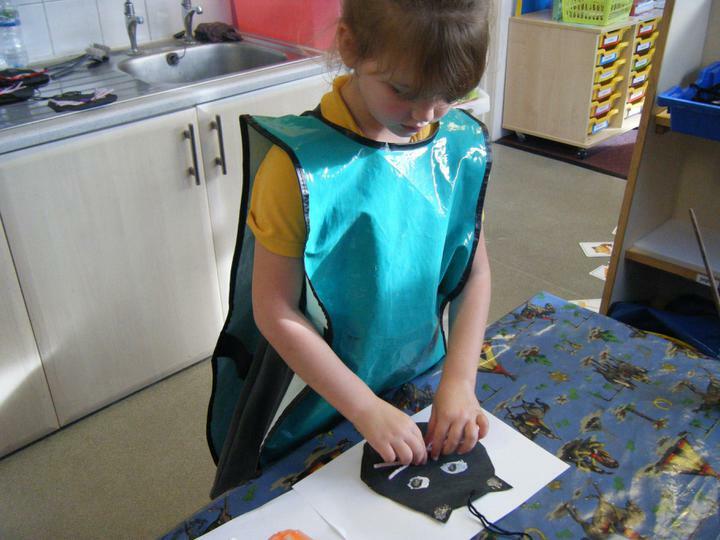 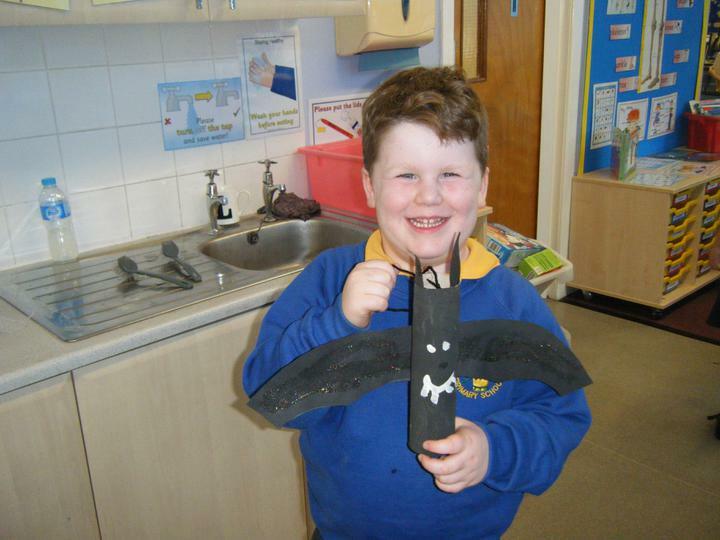 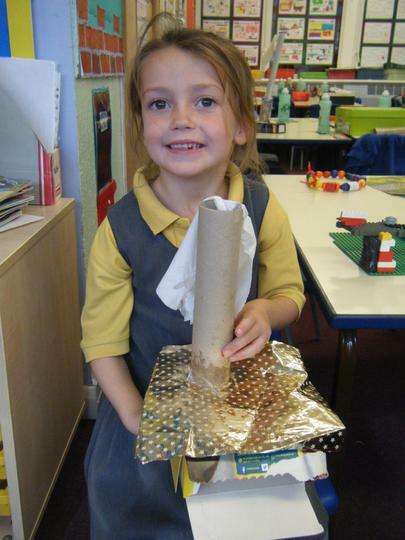 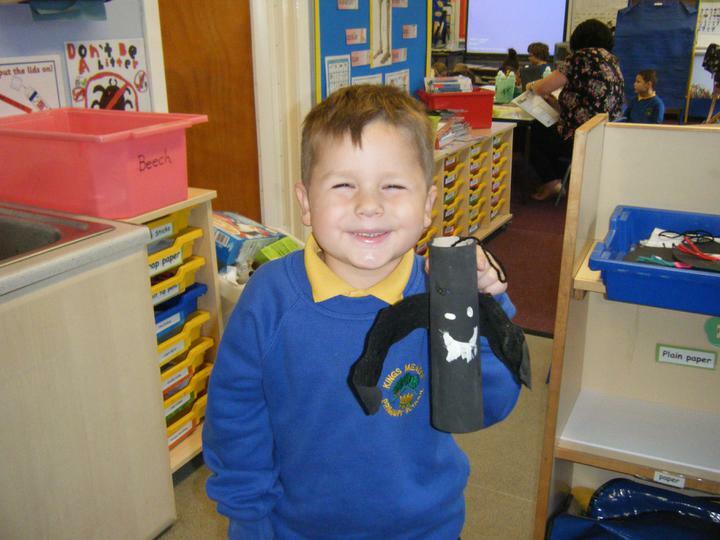 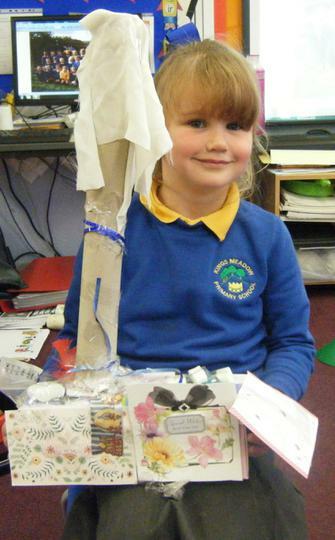 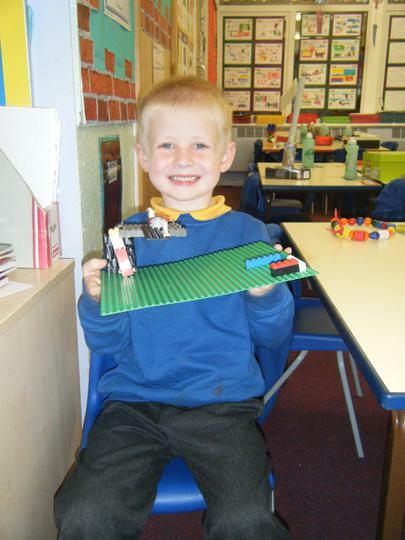 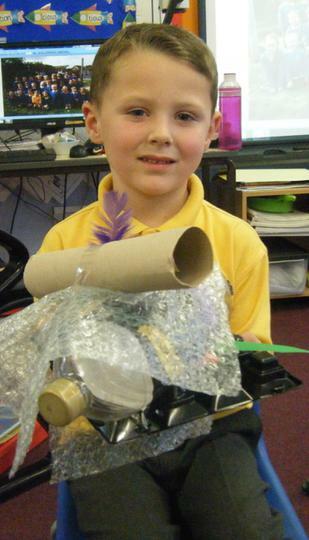 Design Technology - Year 1 made a moveable dog based on the Shirley Hughes well loved character called Dogger.